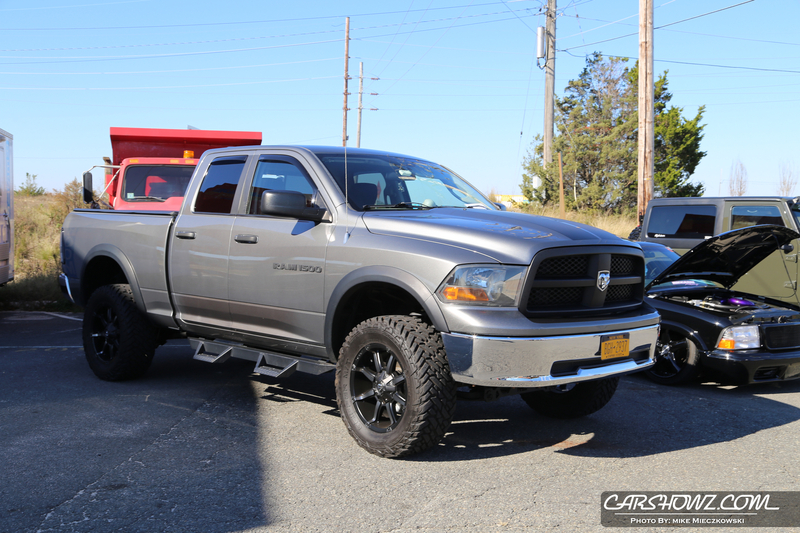 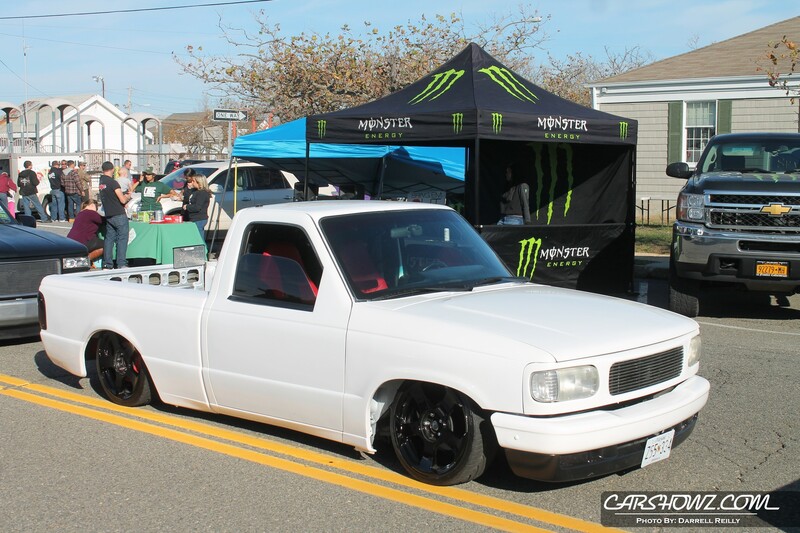 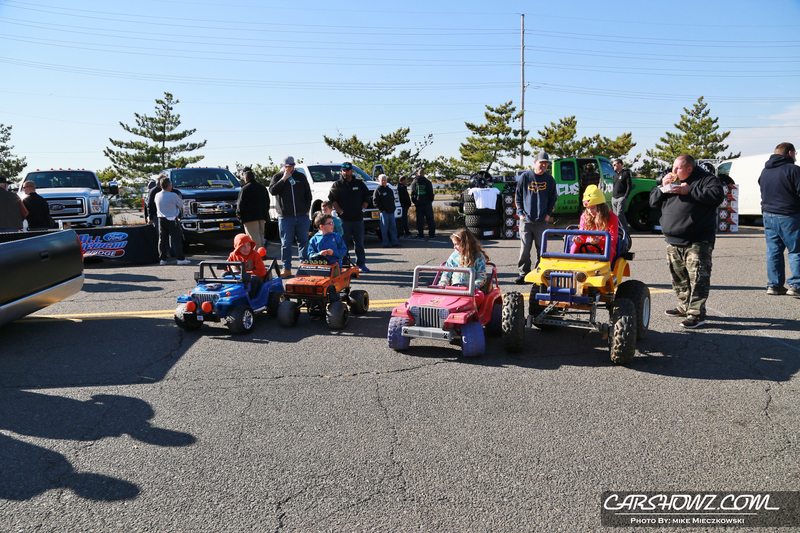 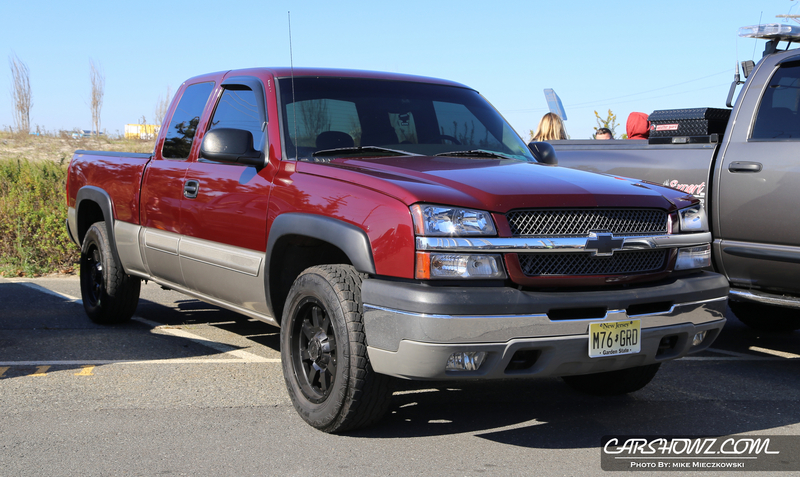 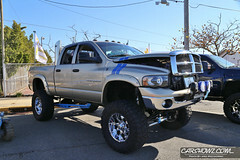 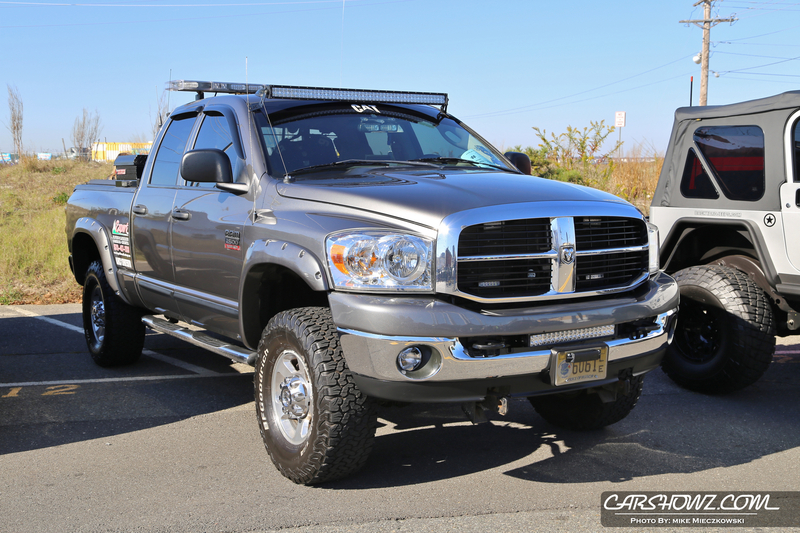 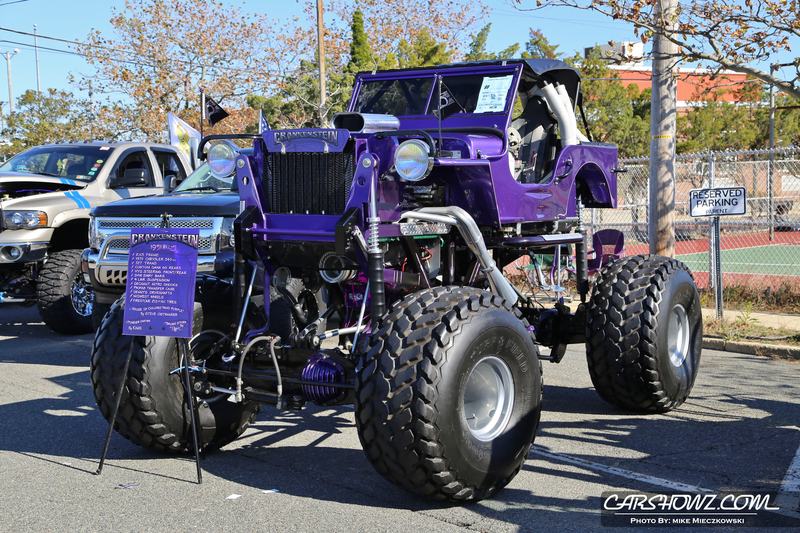 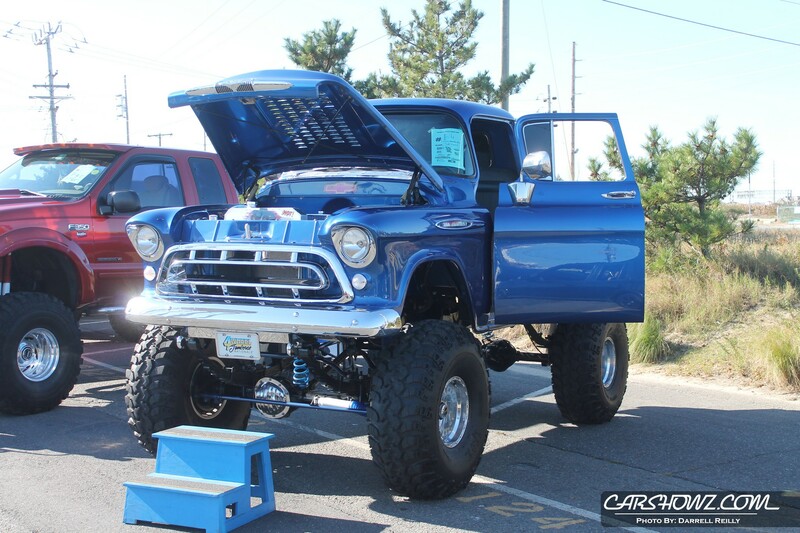 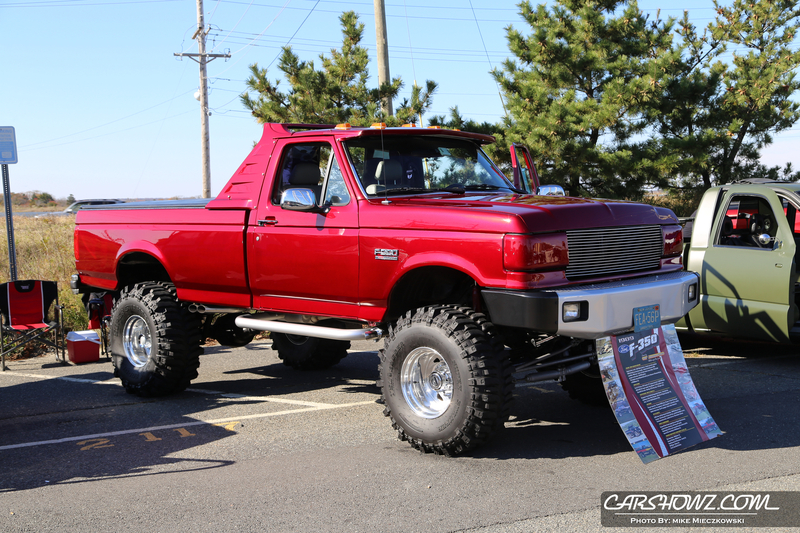 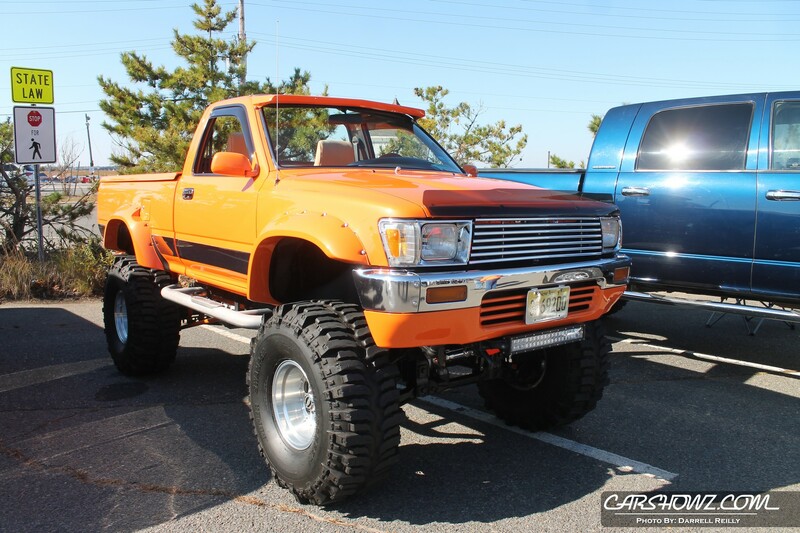 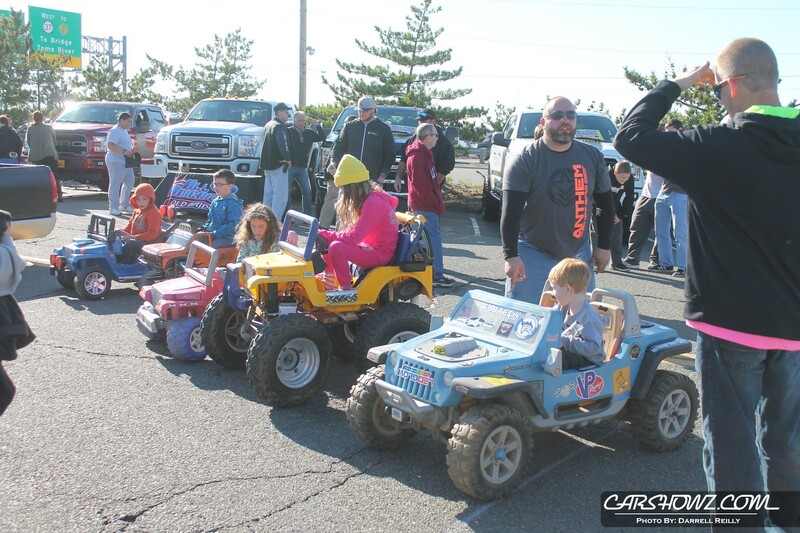 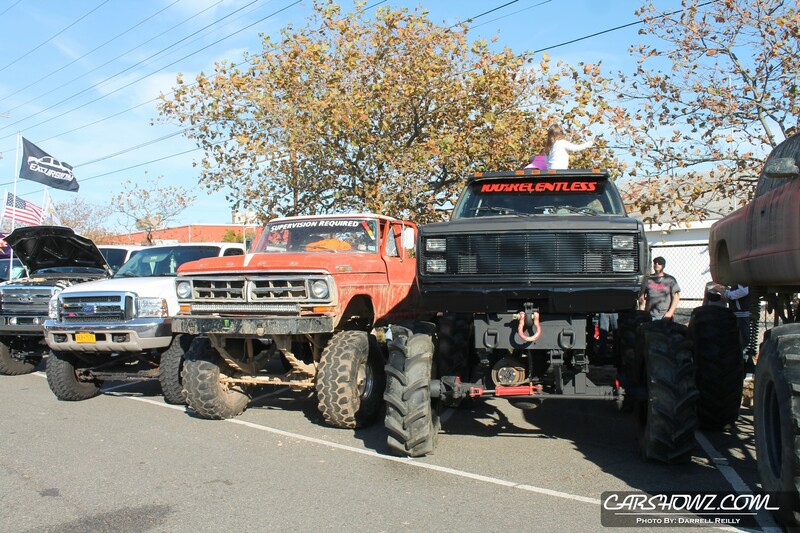 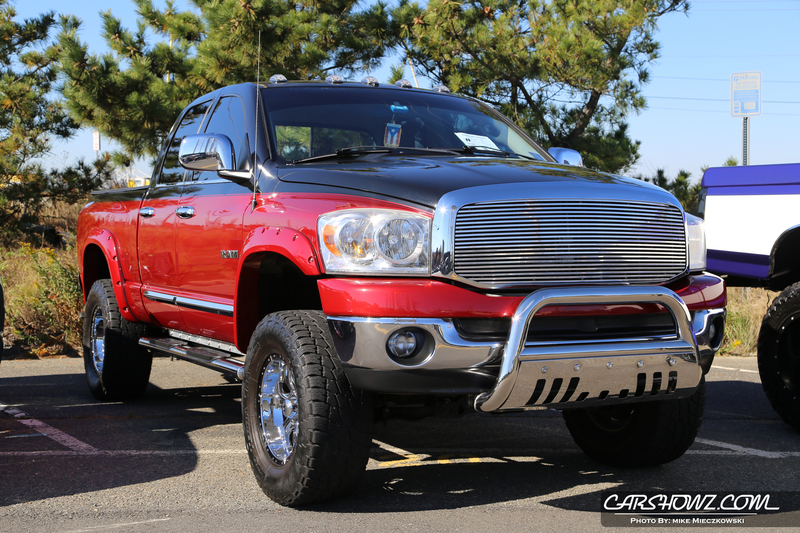 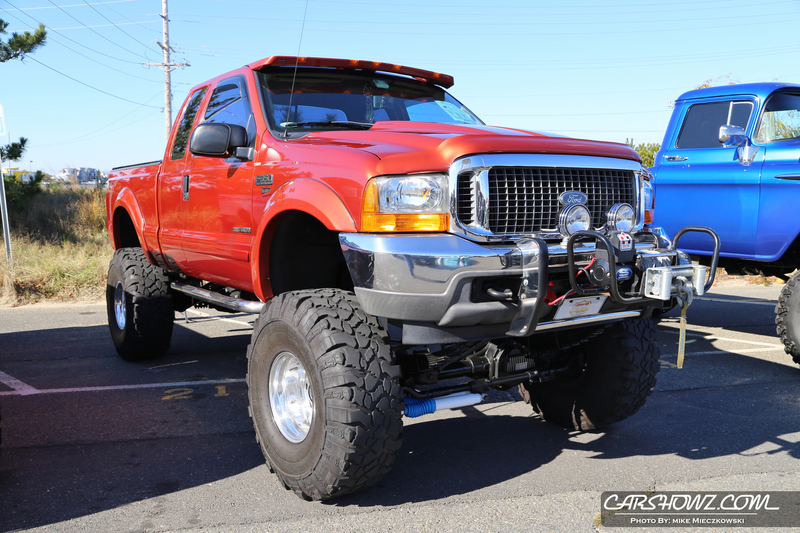 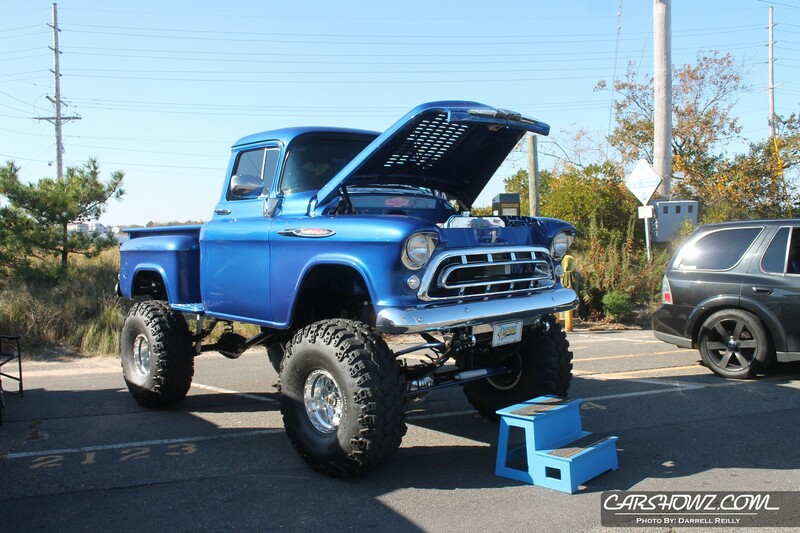 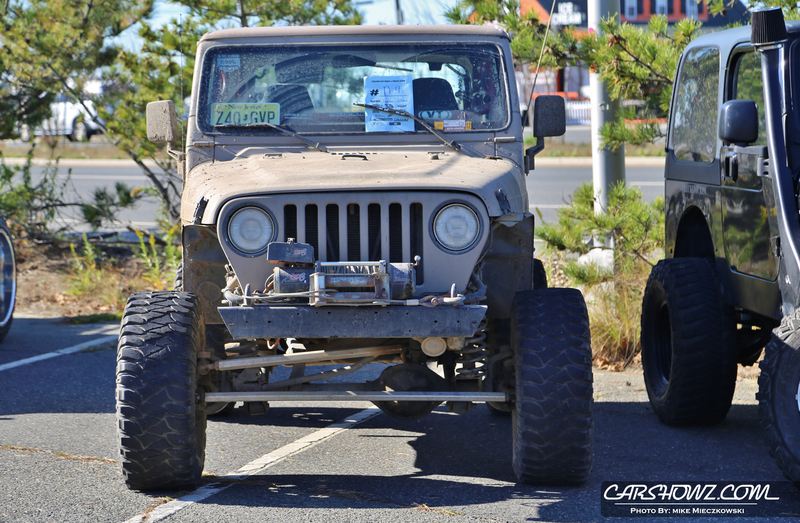 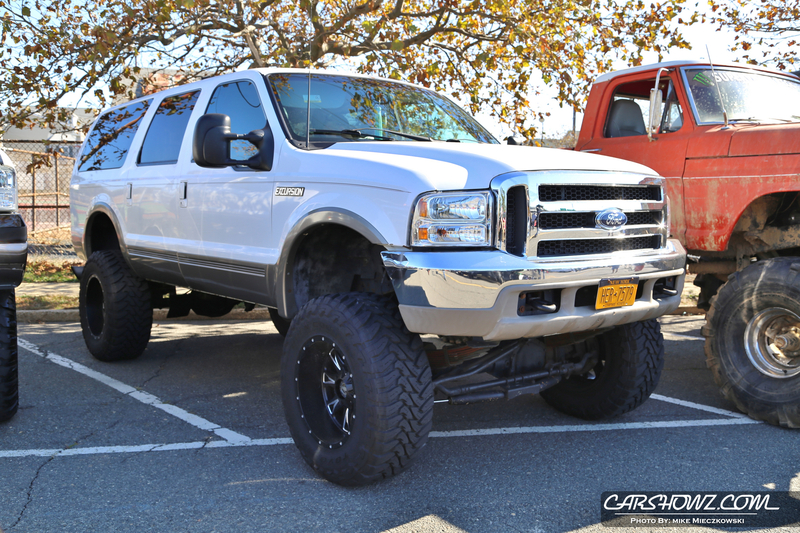 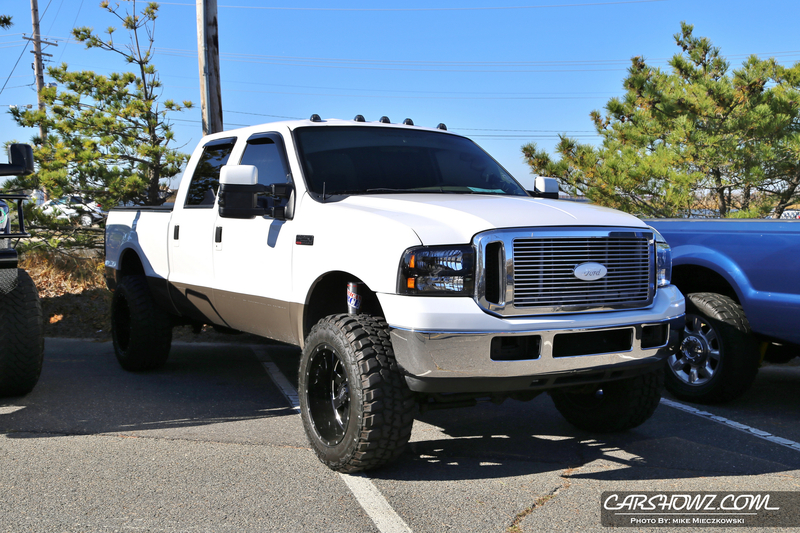 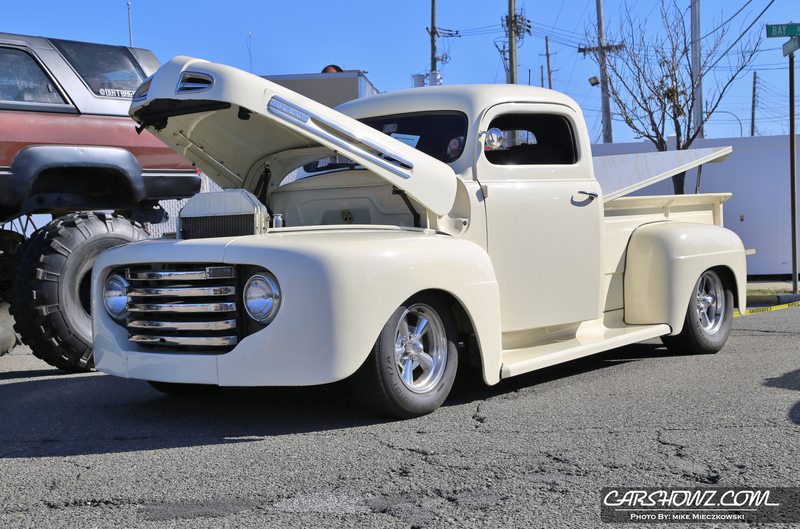 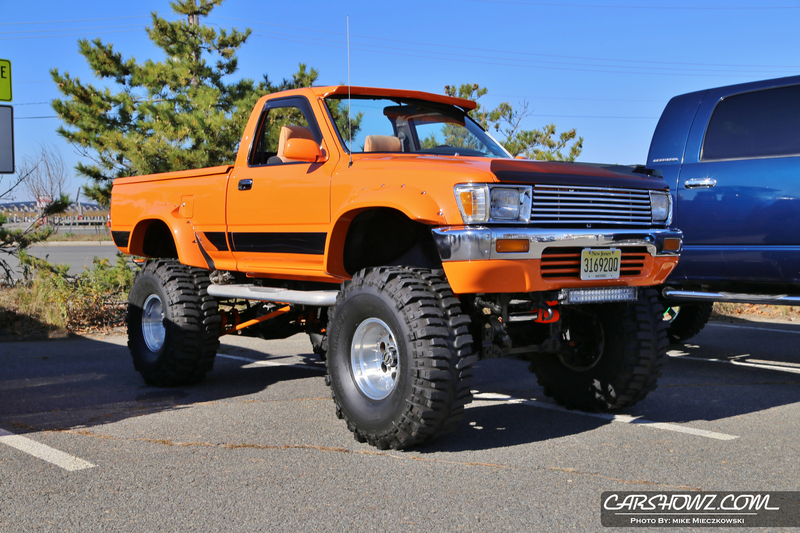 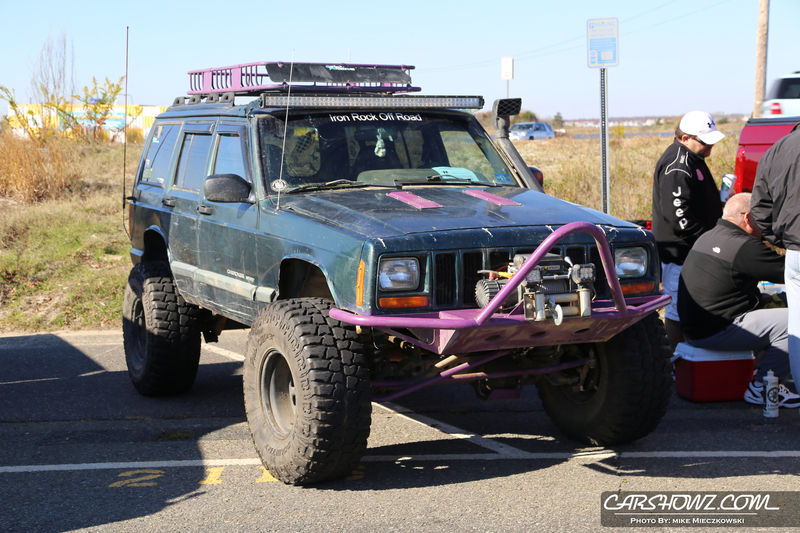 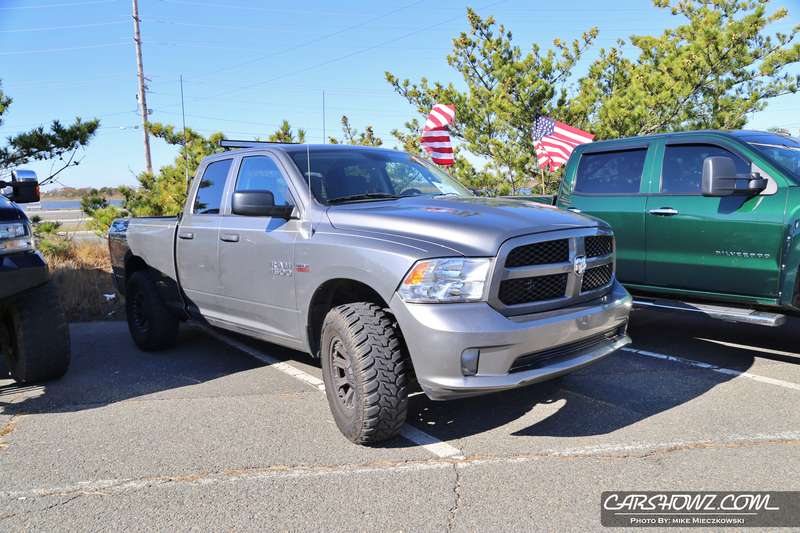 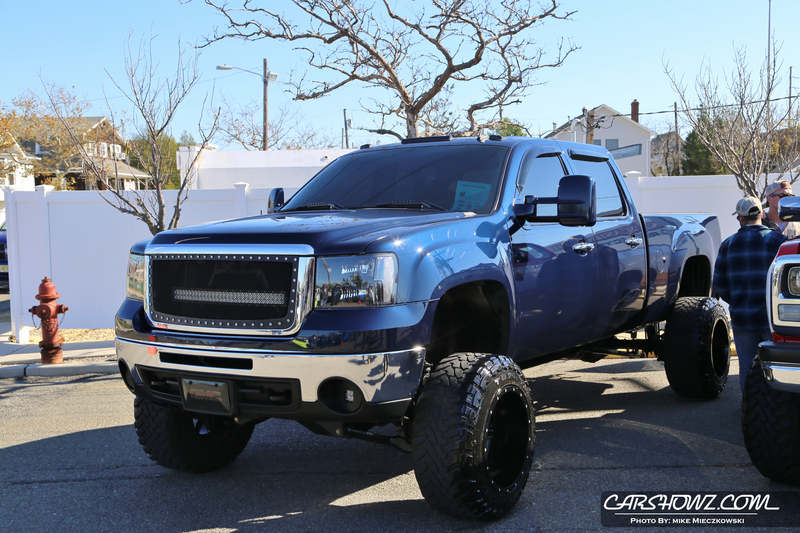 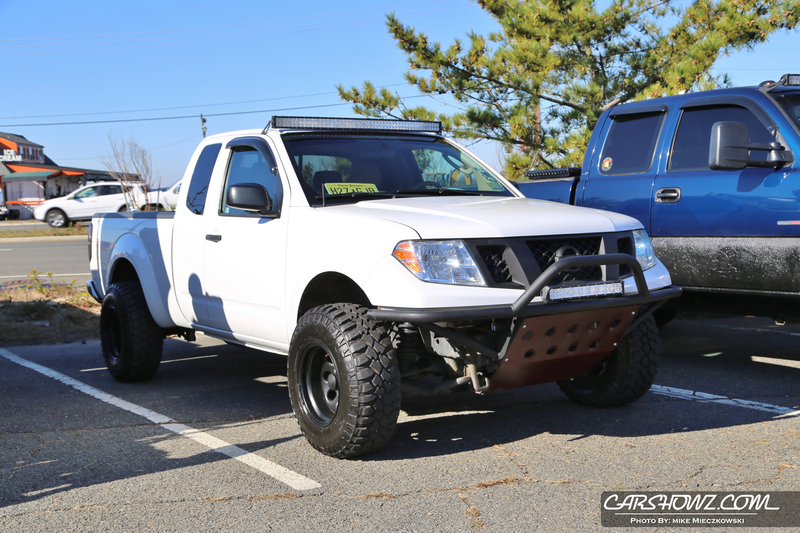 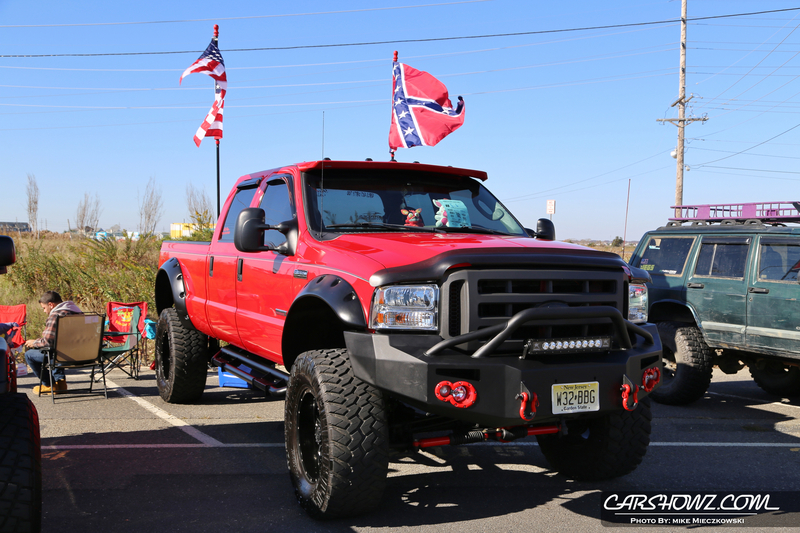 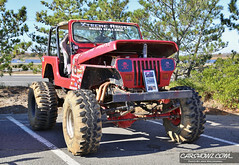 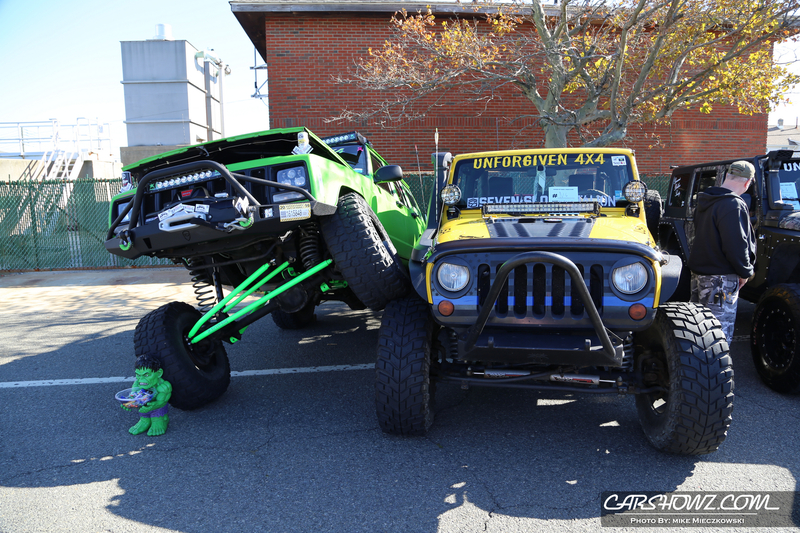 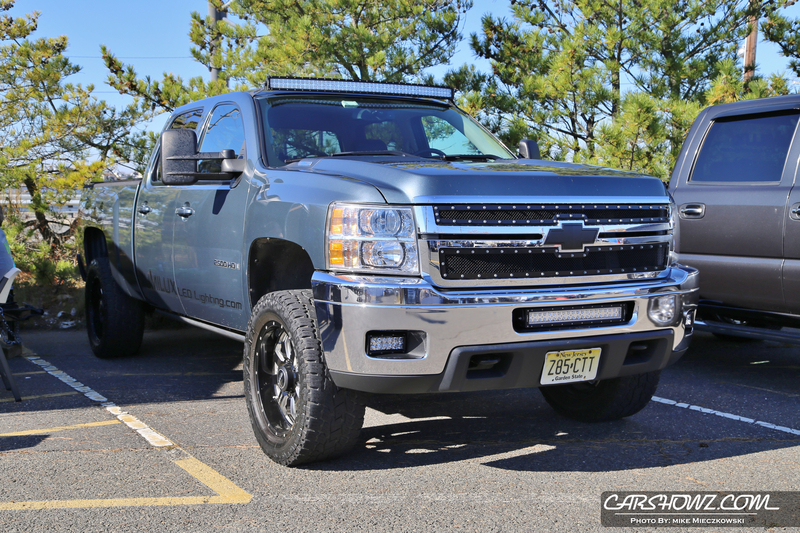 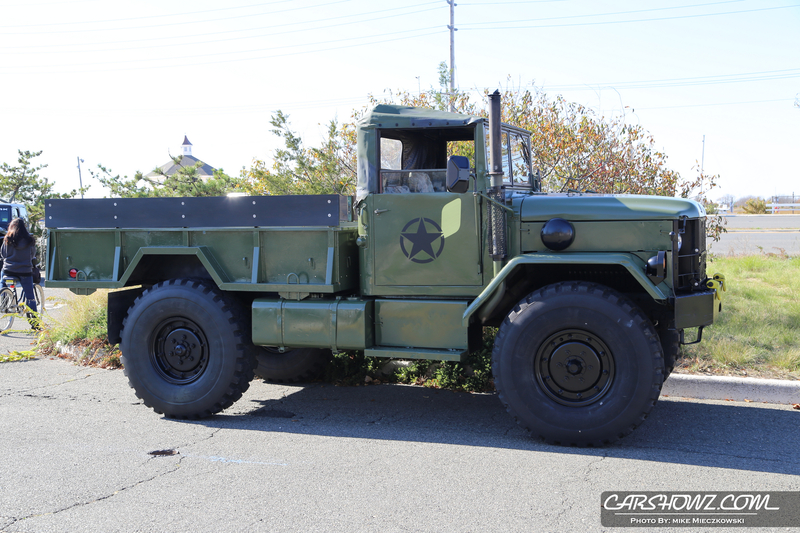 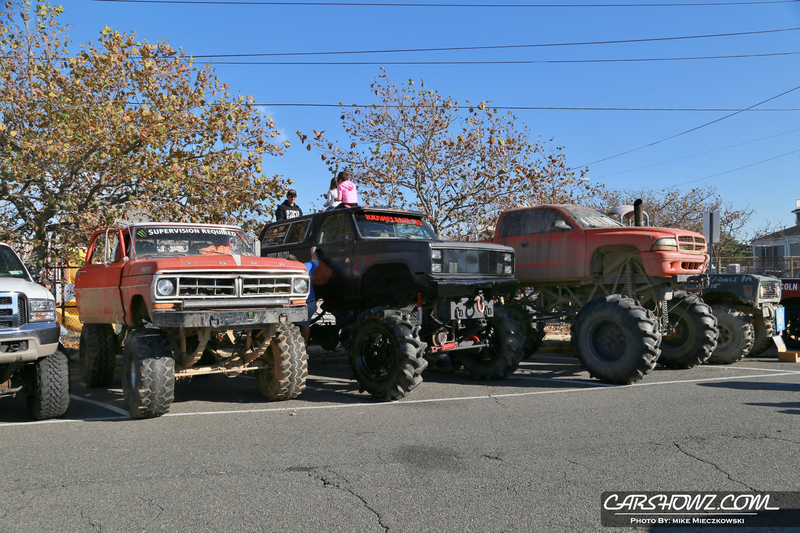 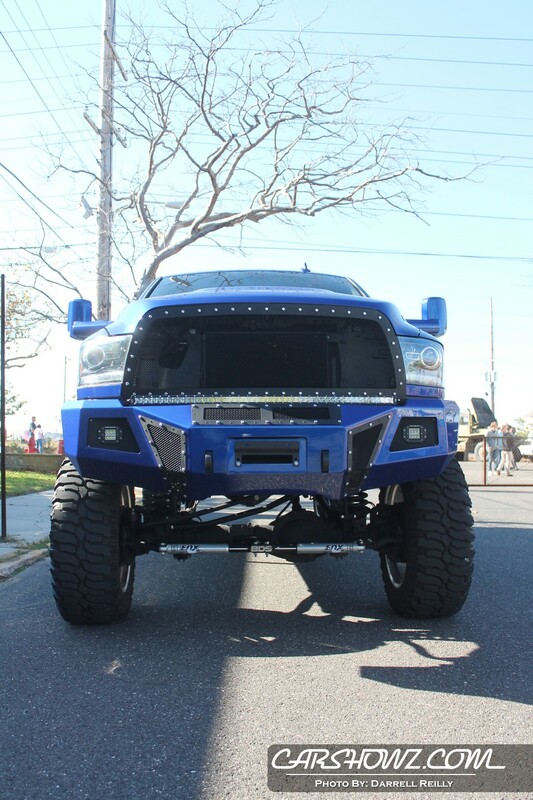 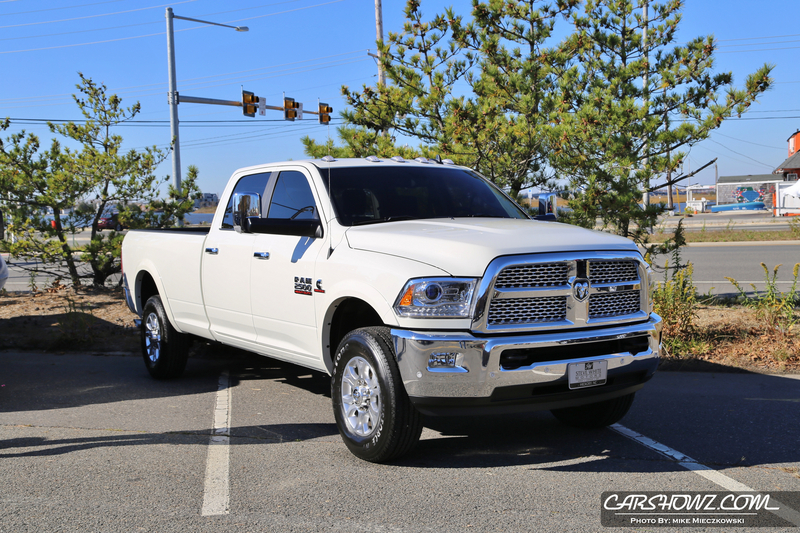 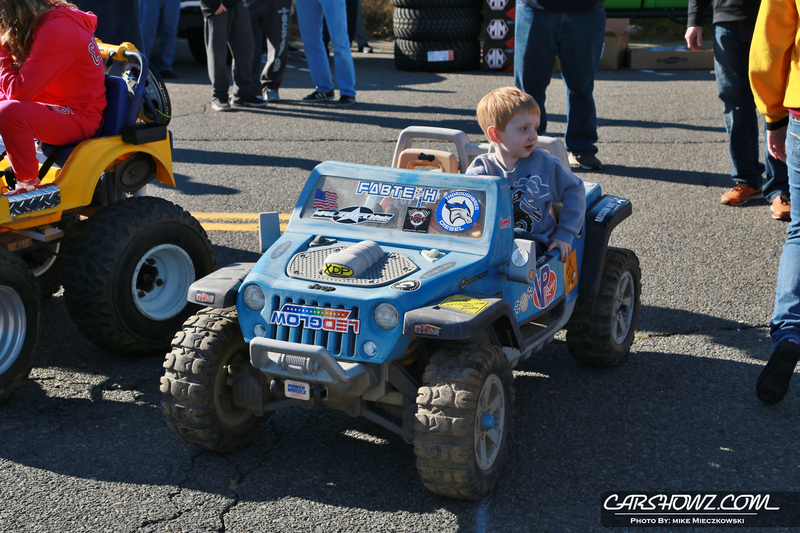 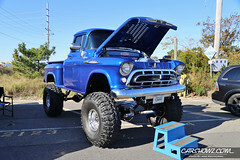 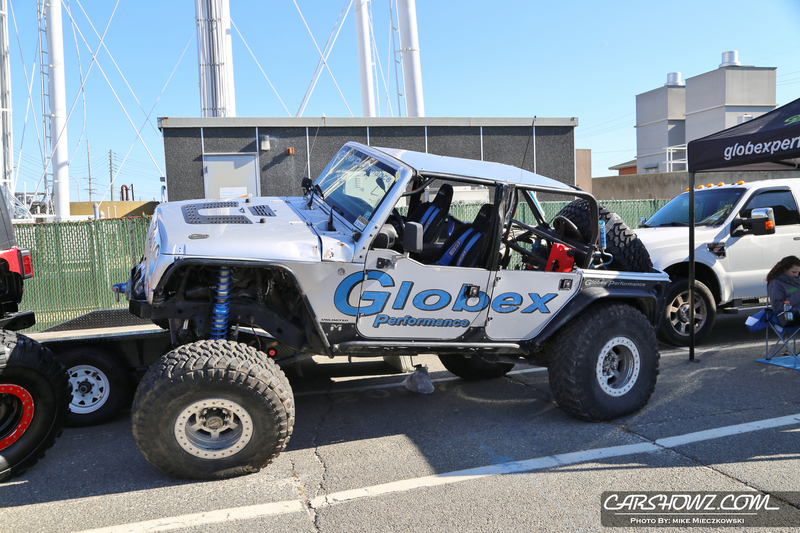 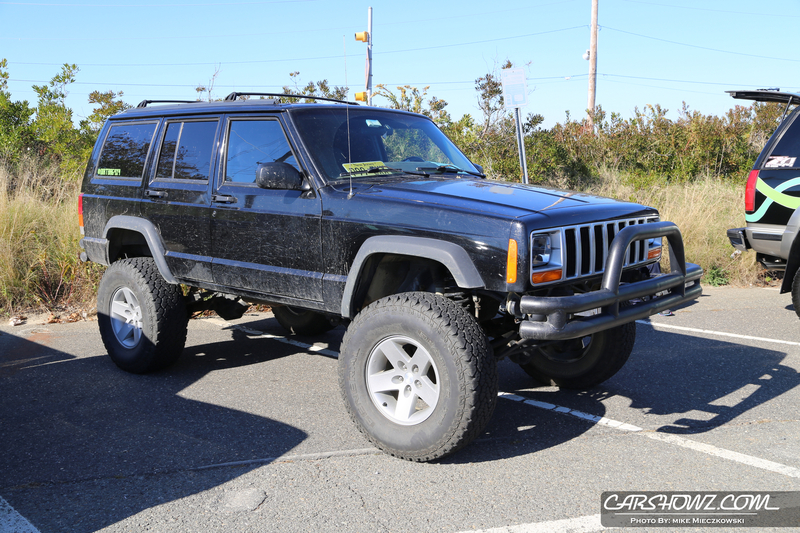 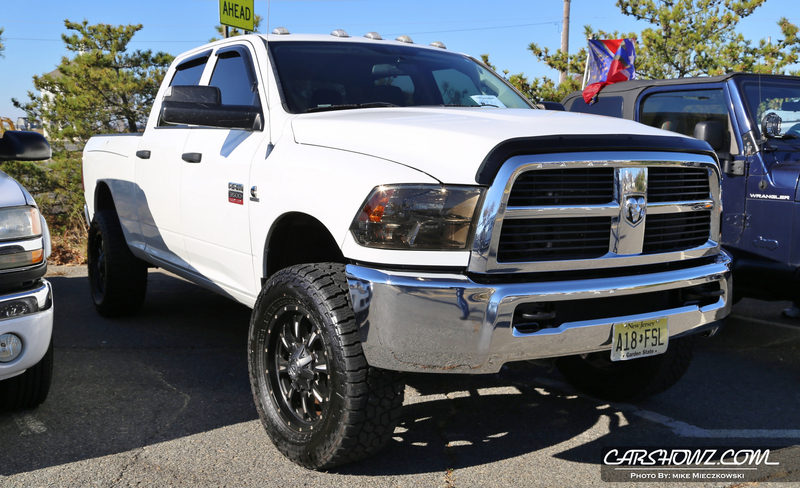 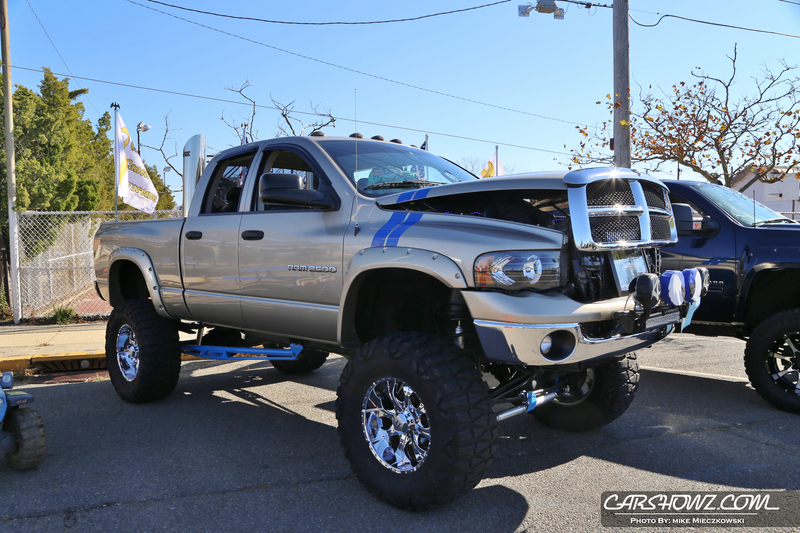 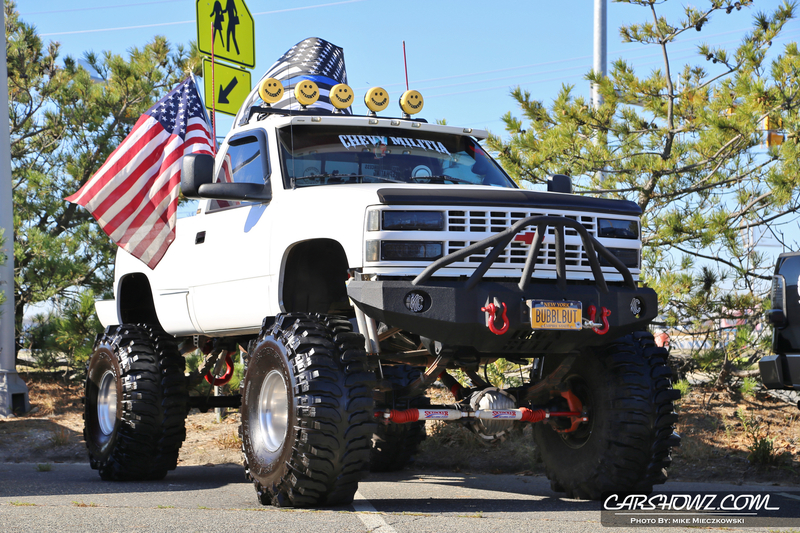 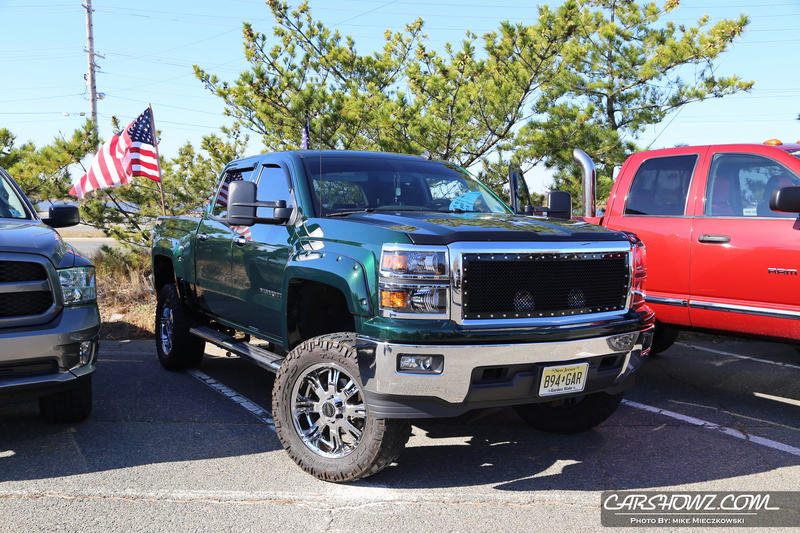 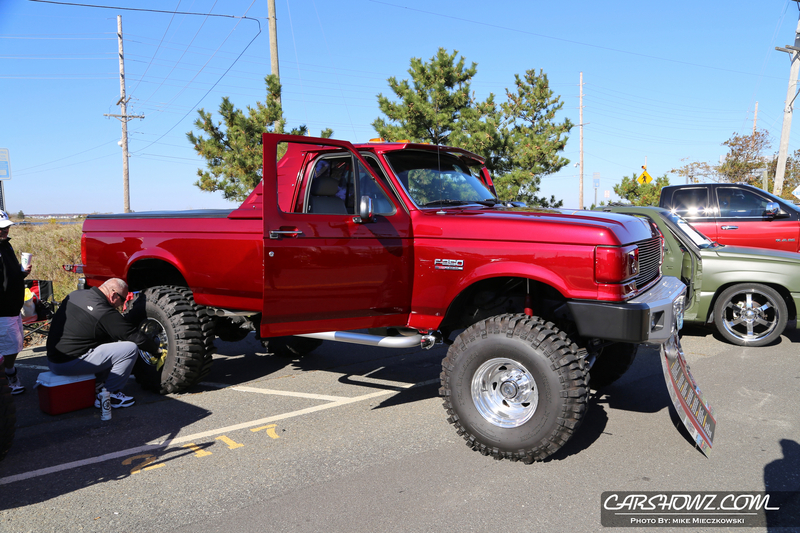 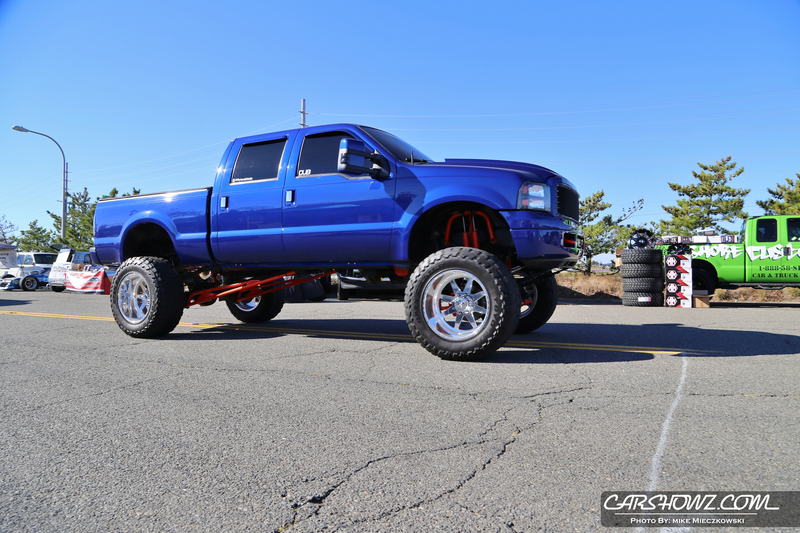 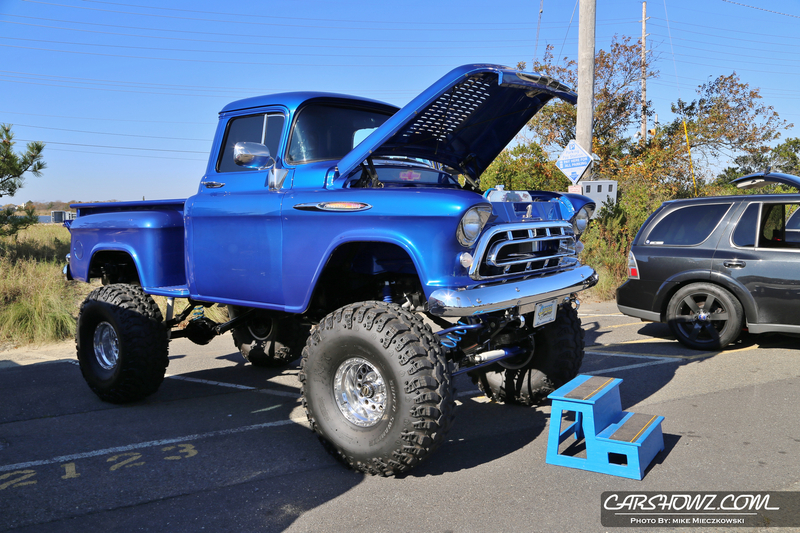 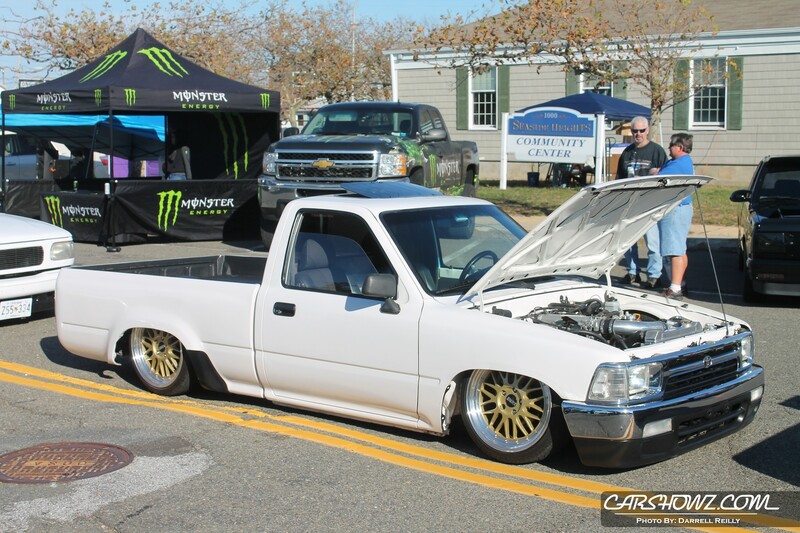 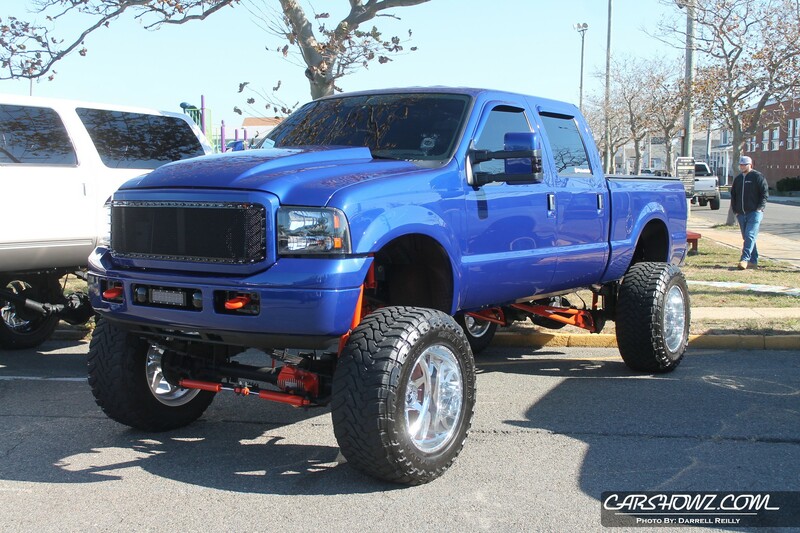 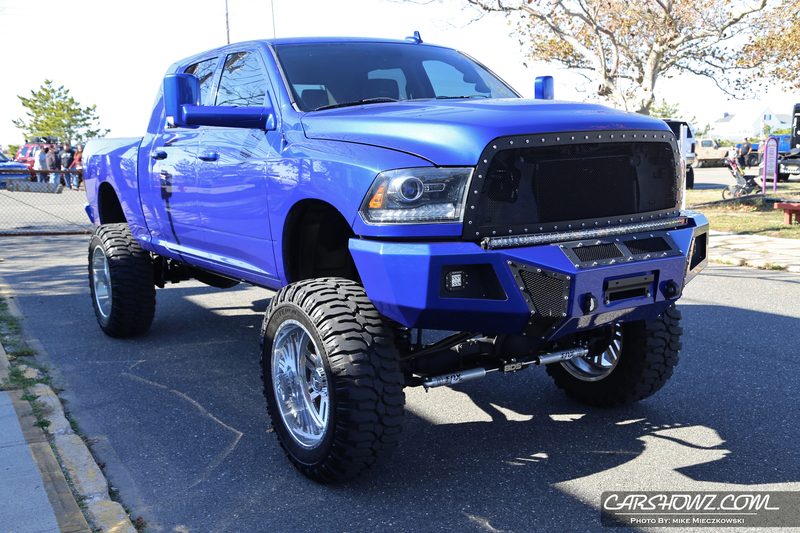 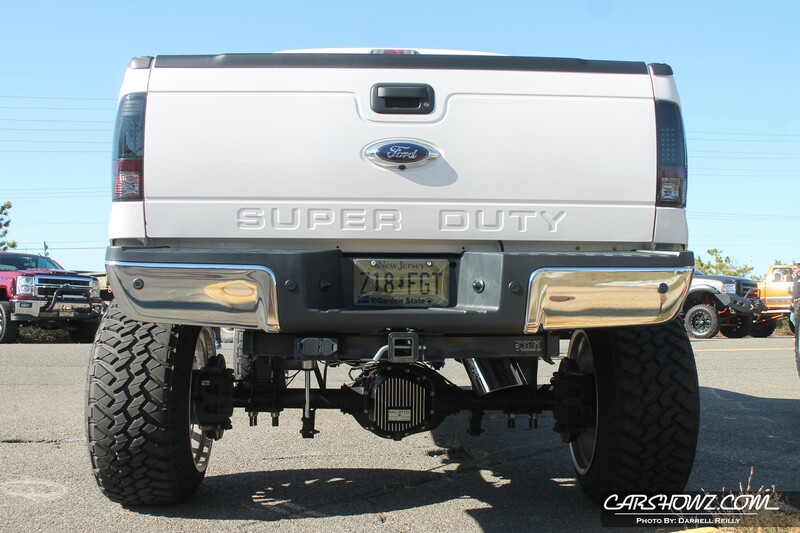 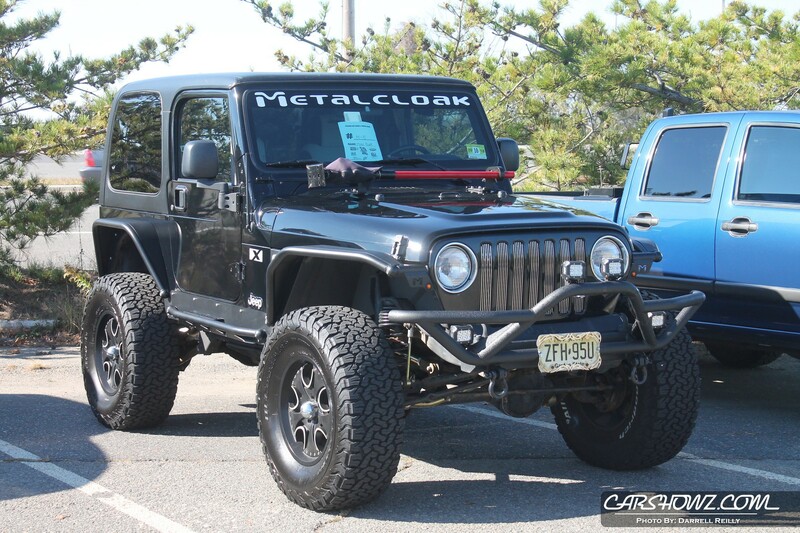 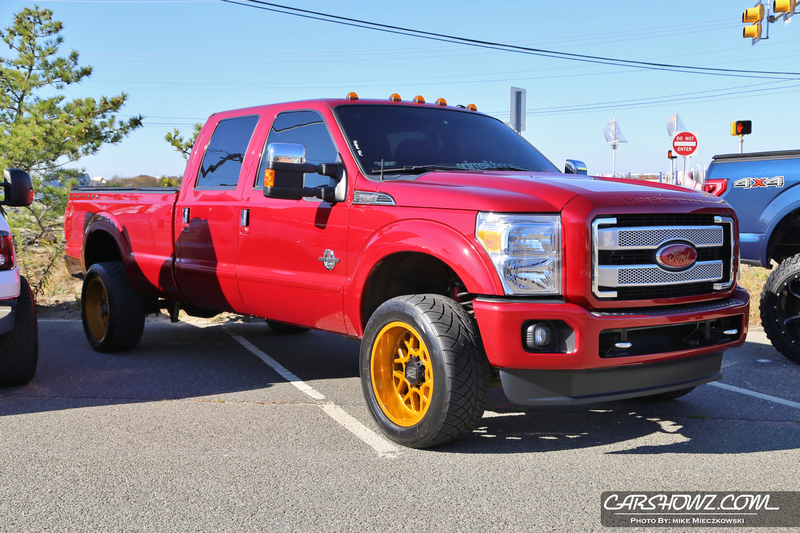 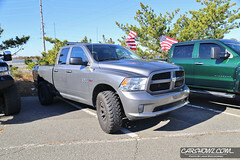 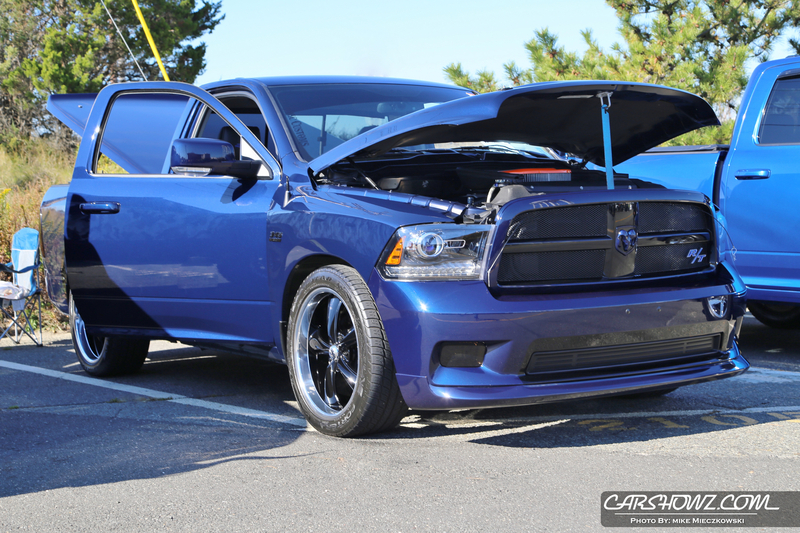 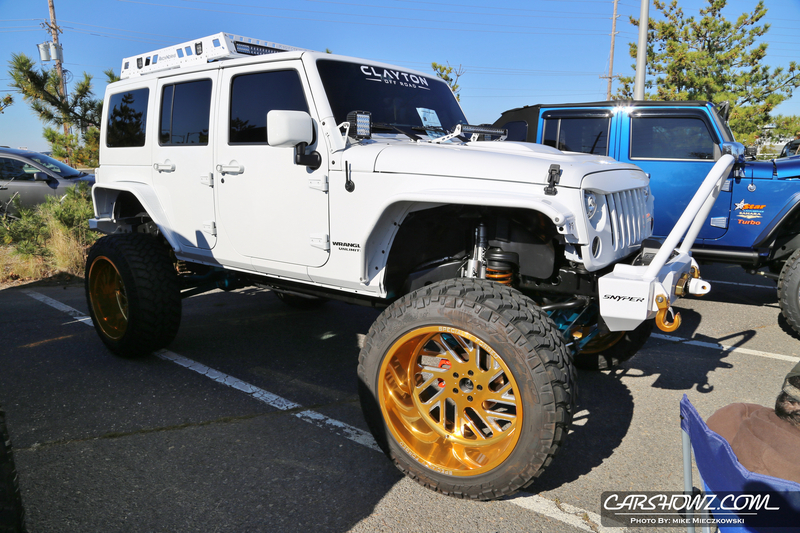 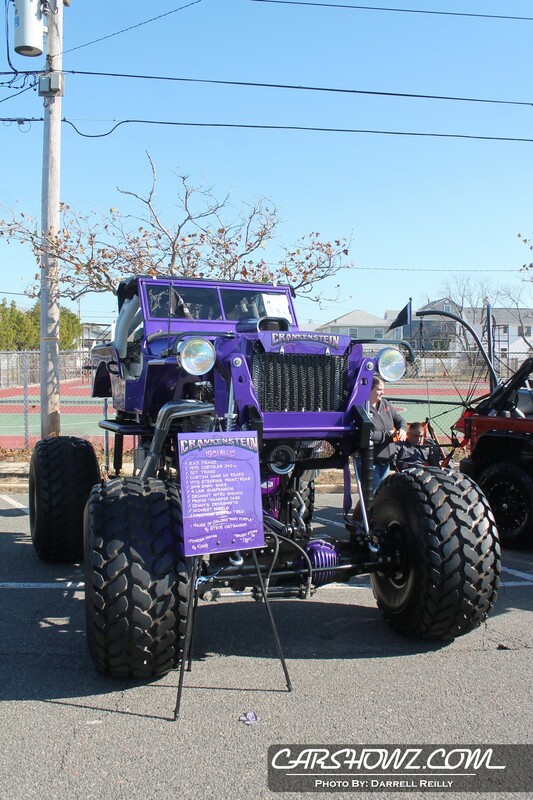 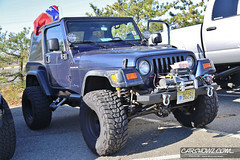 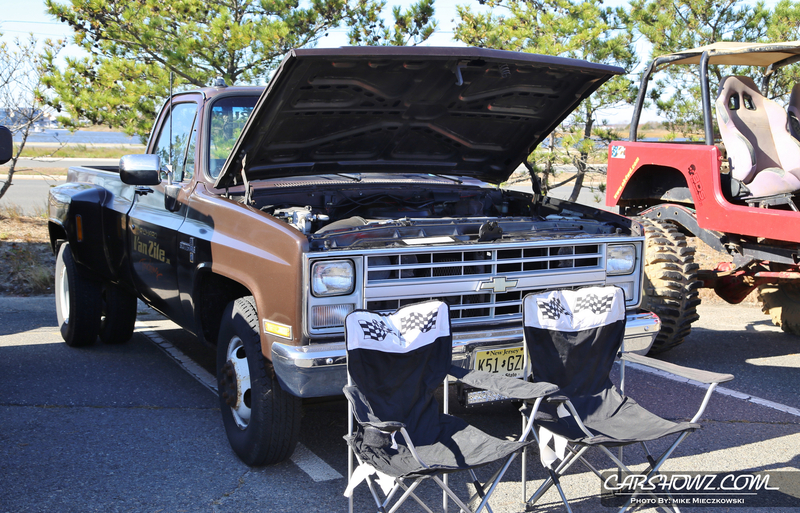 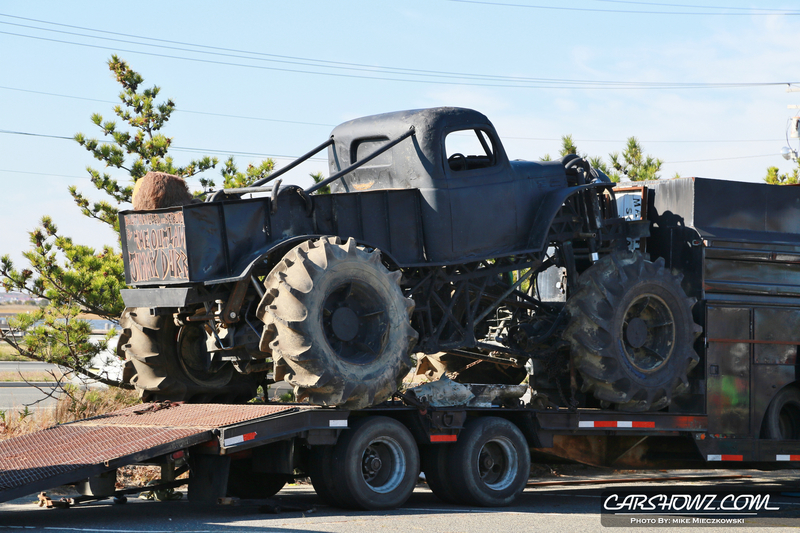 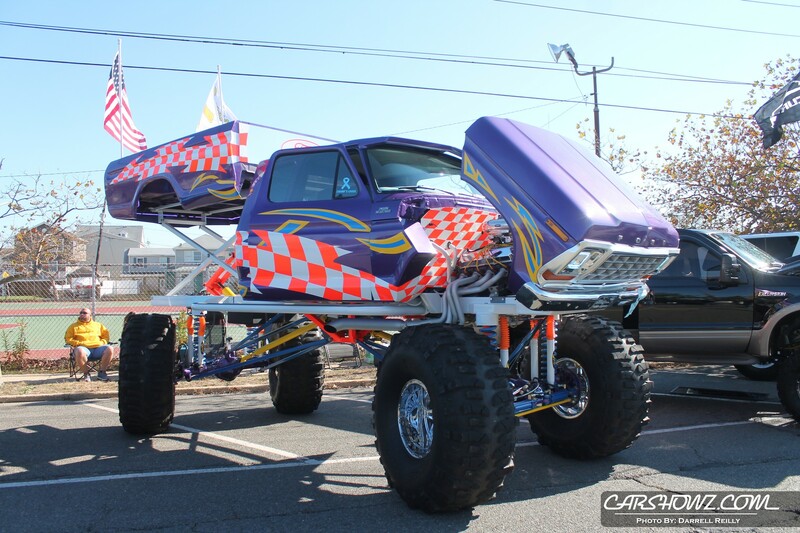 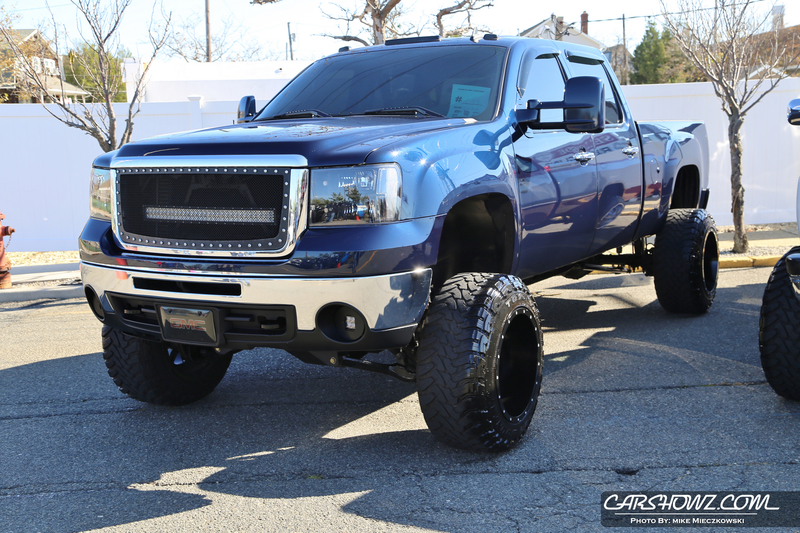 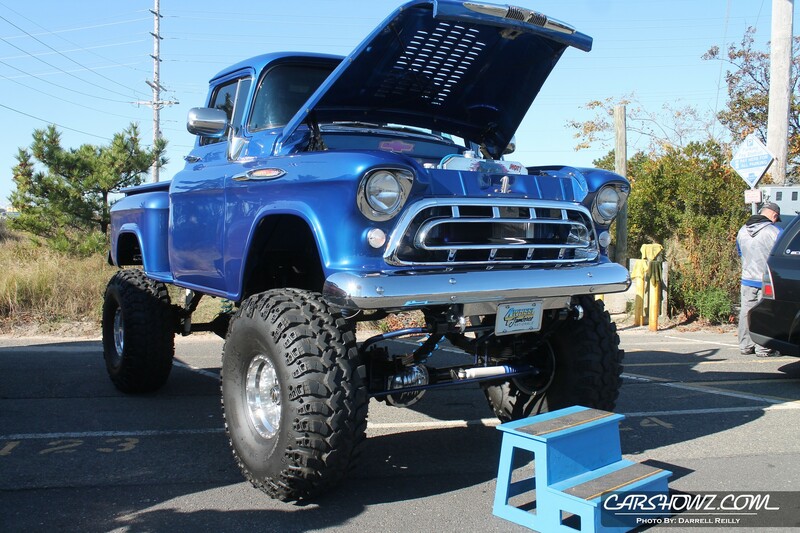 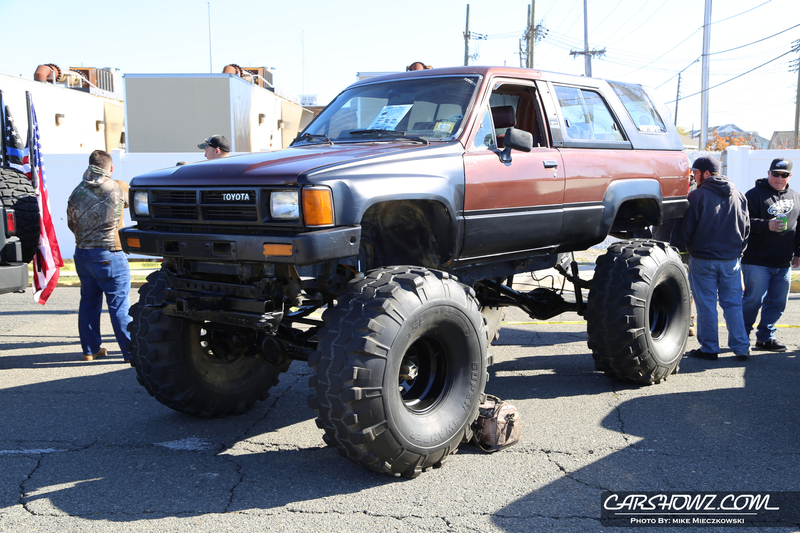 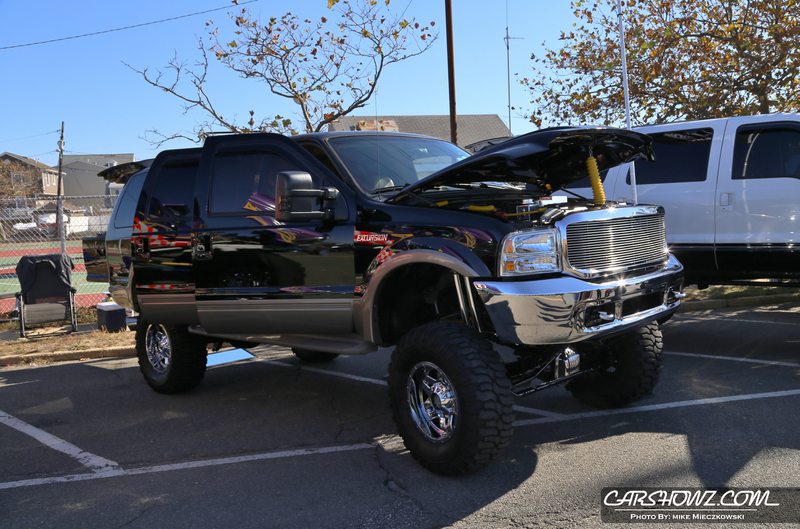 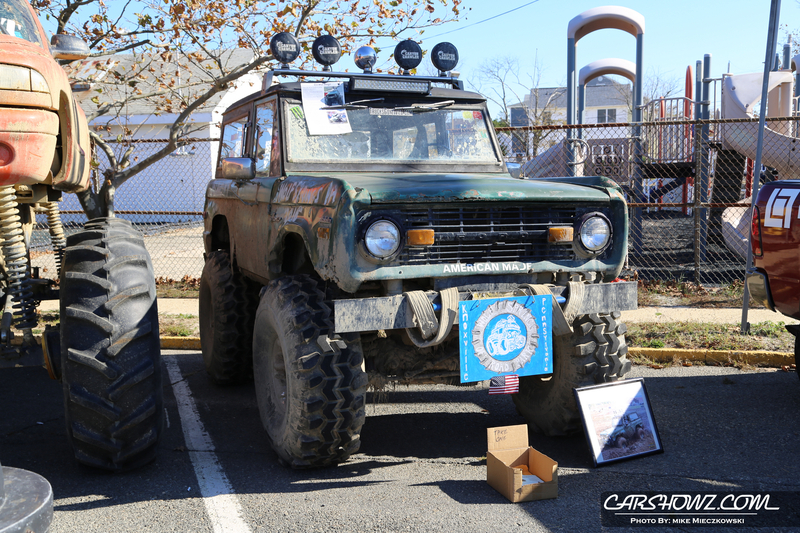 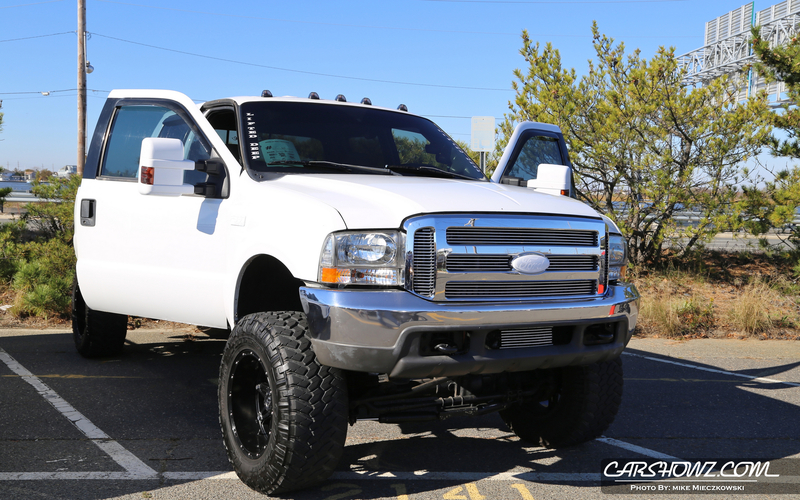 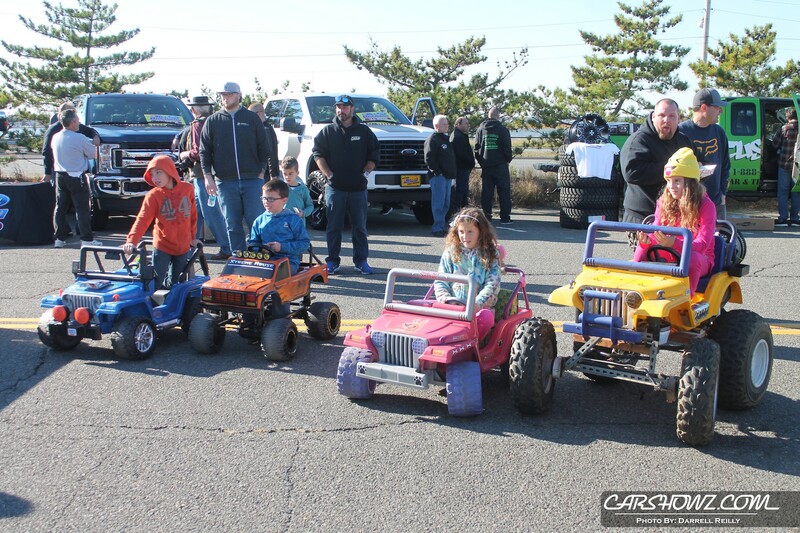 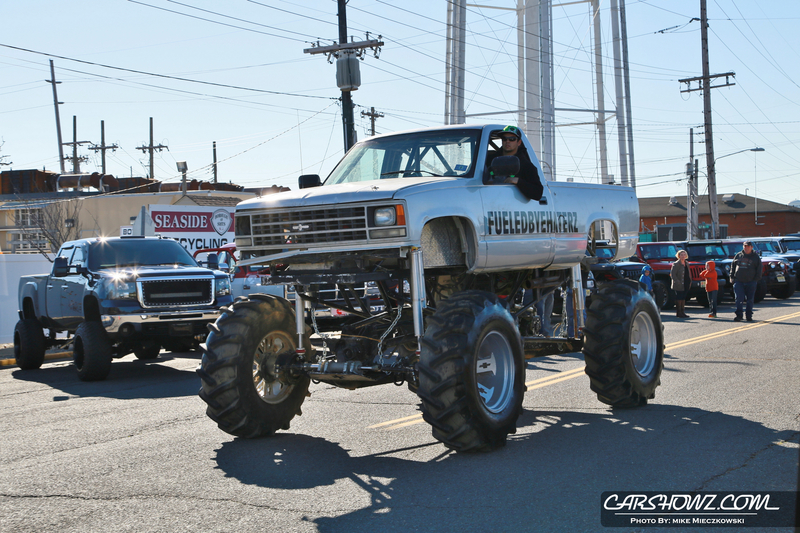 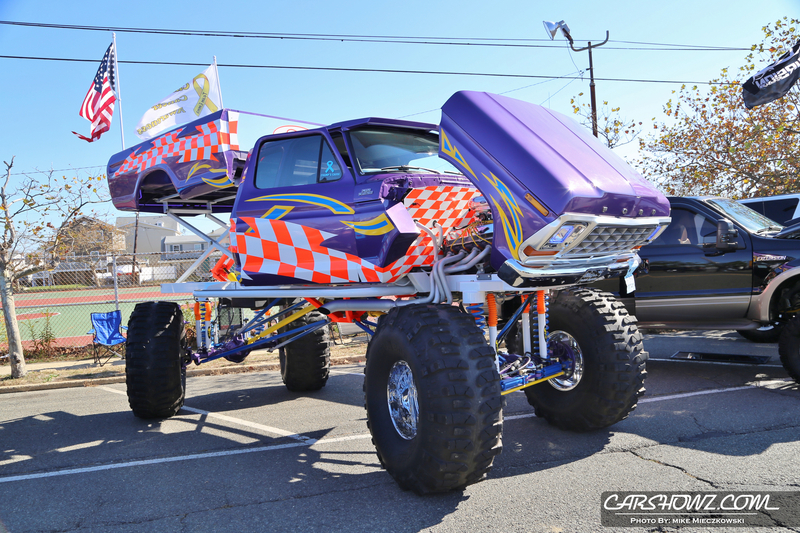 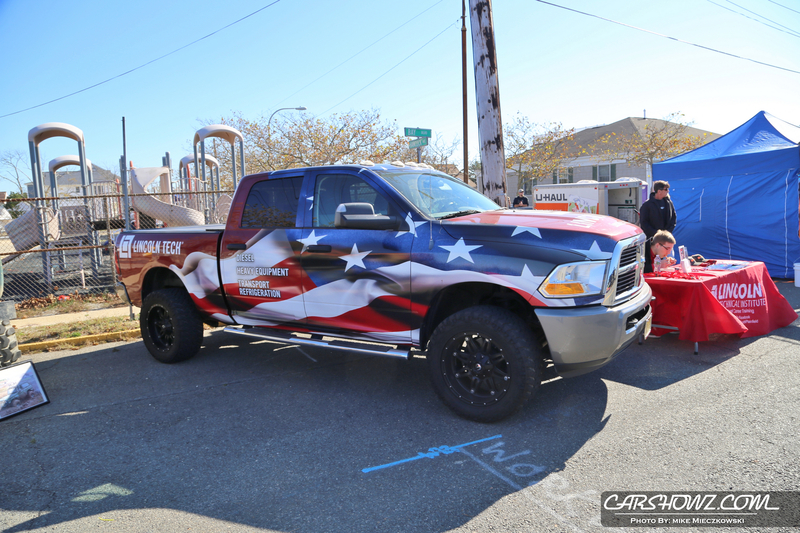 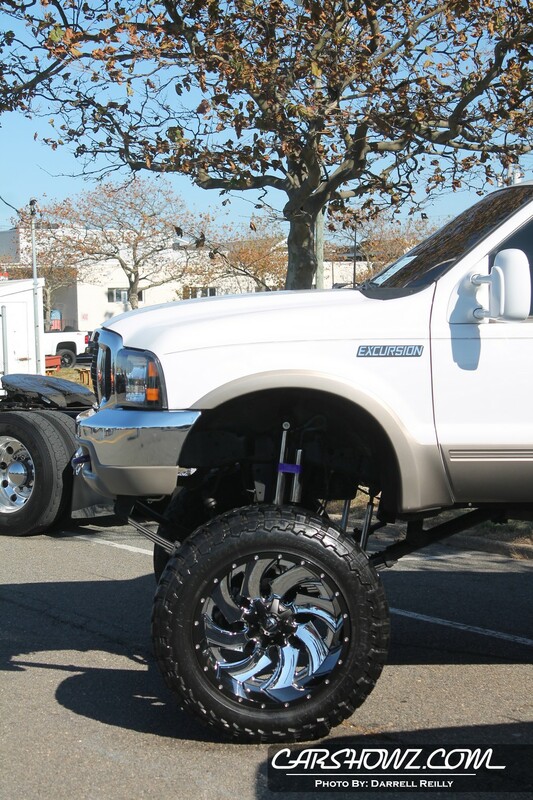 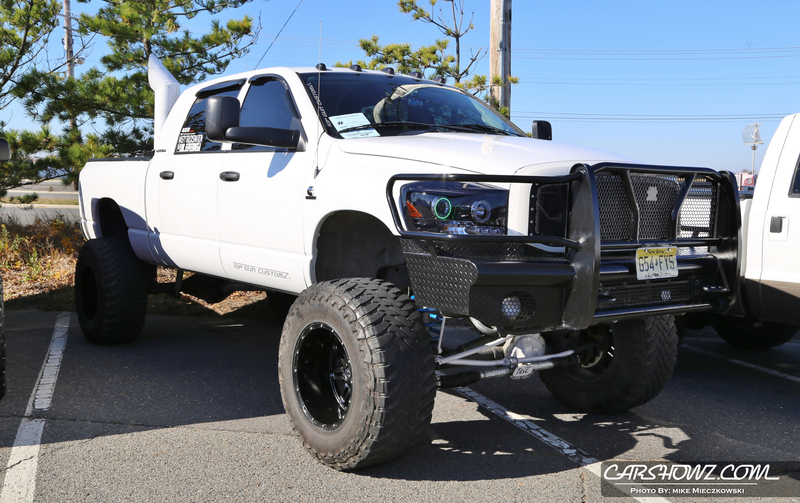 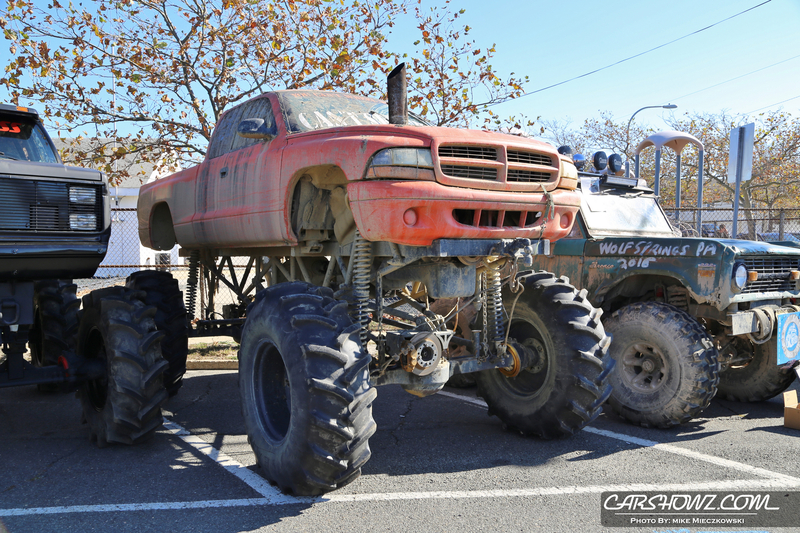 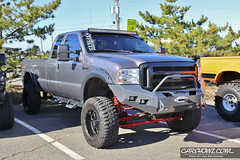 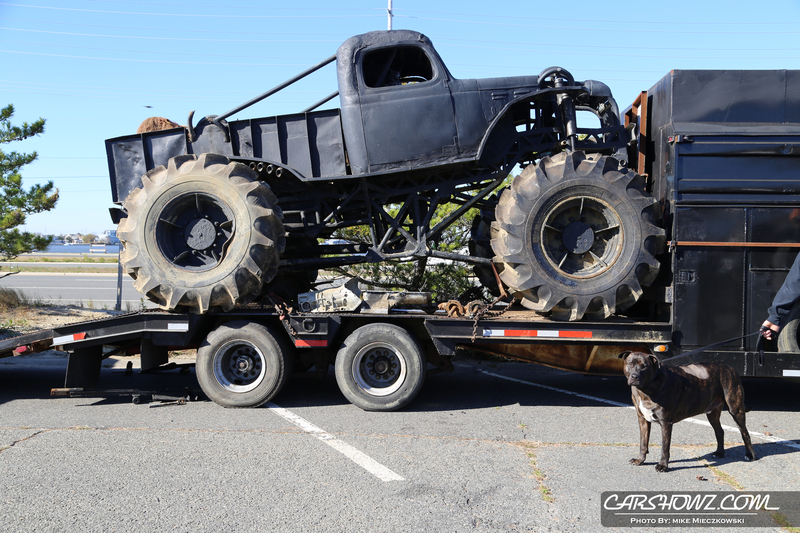 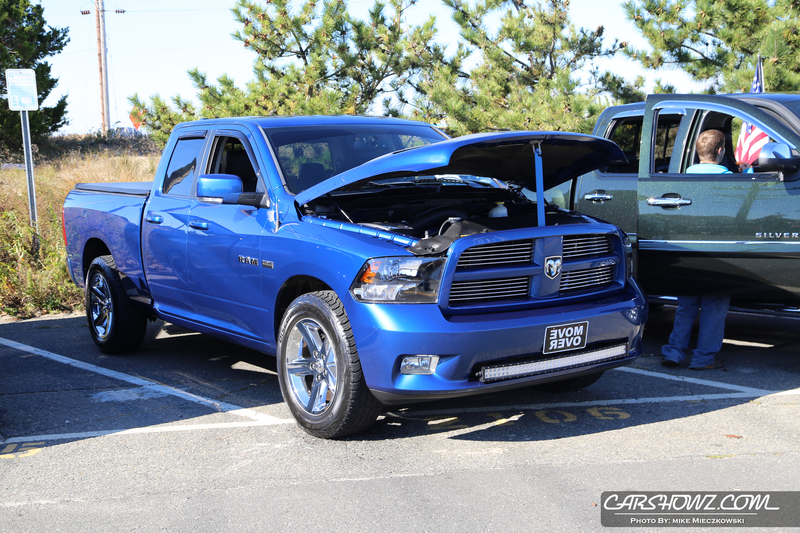 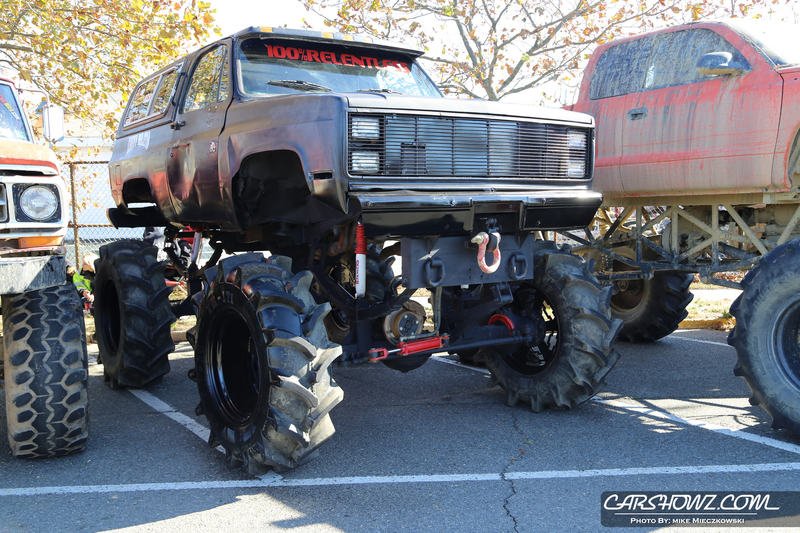 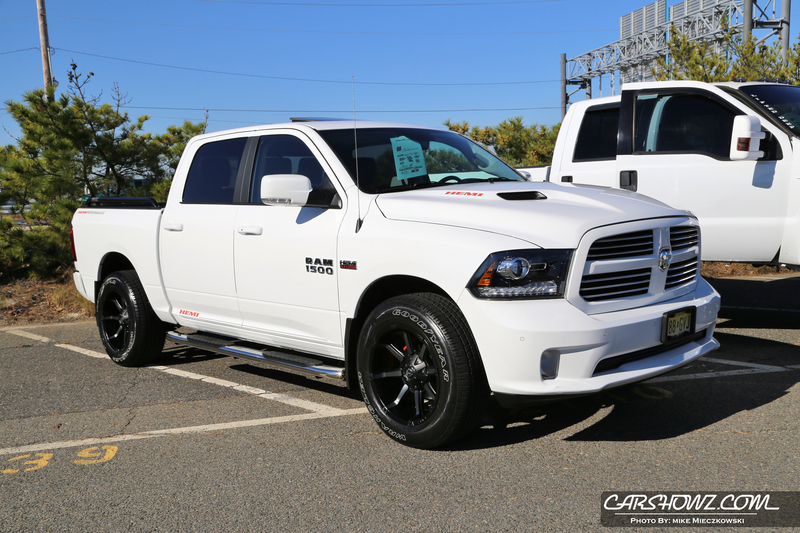 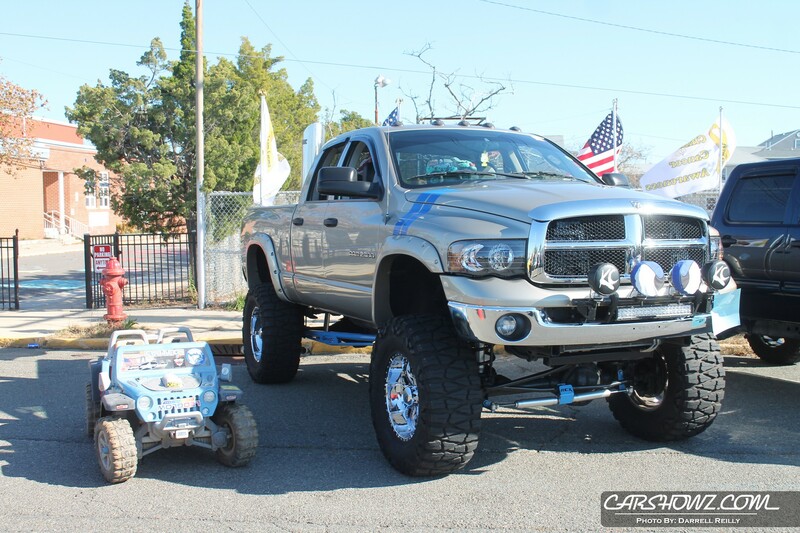 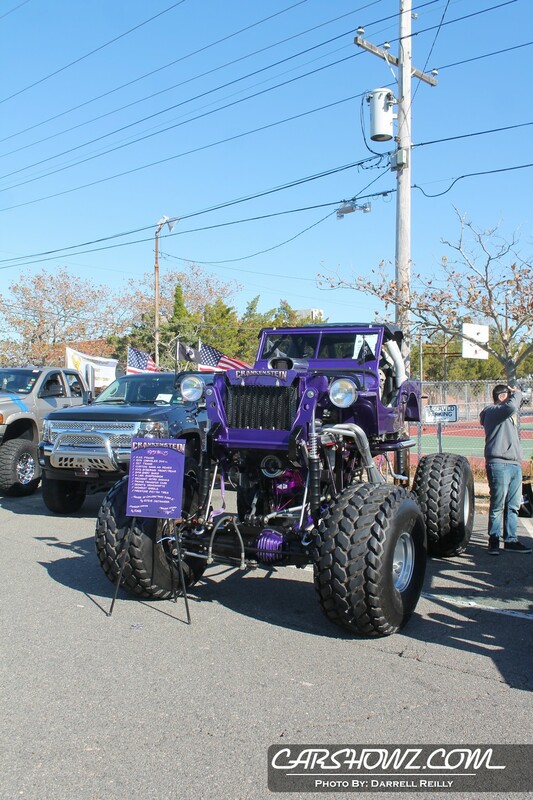 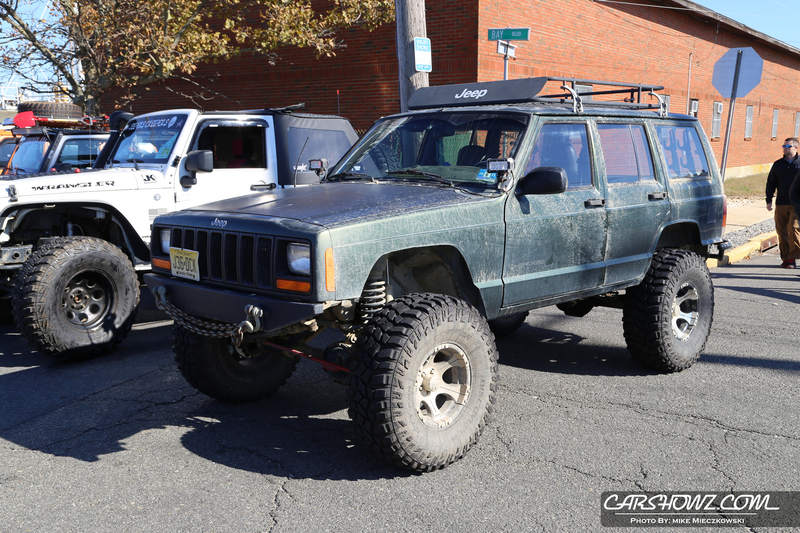 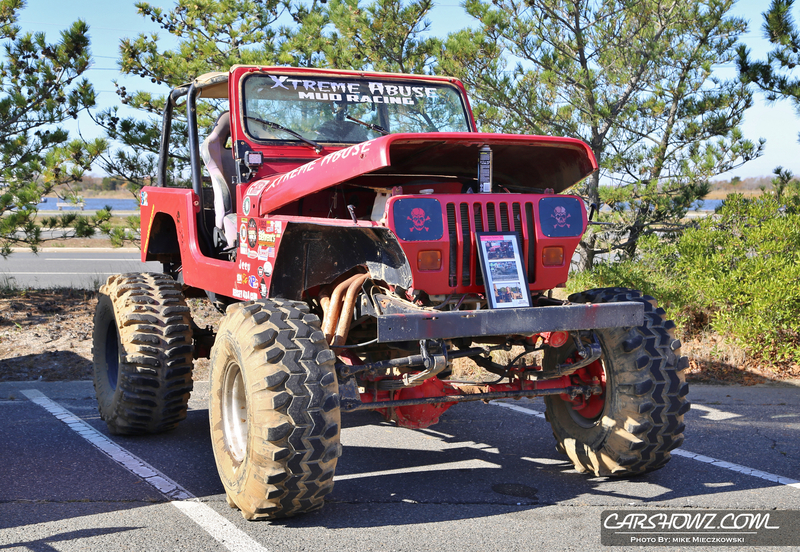 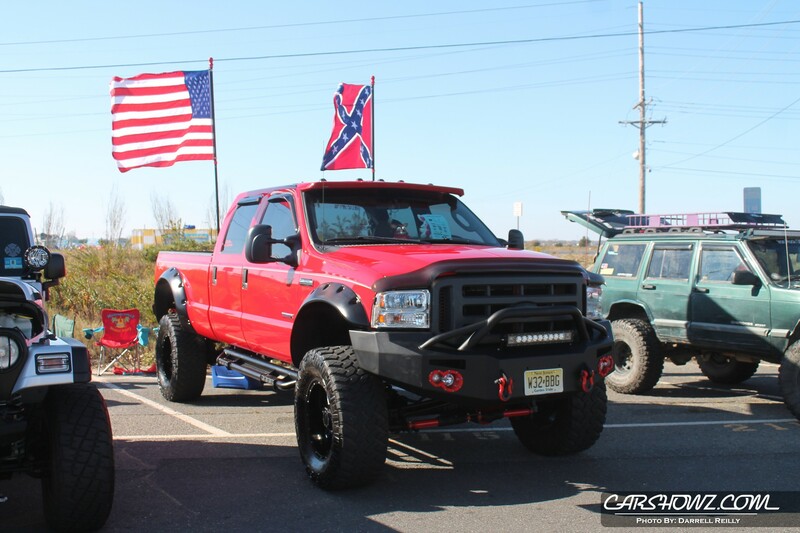 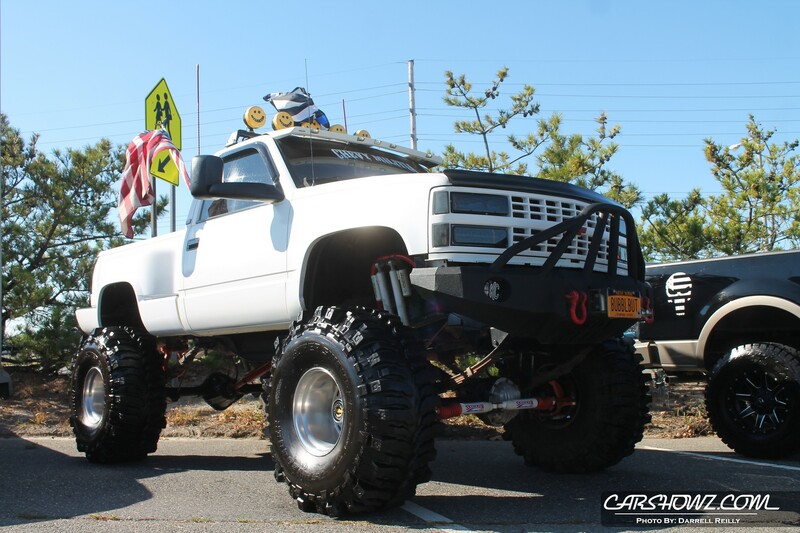 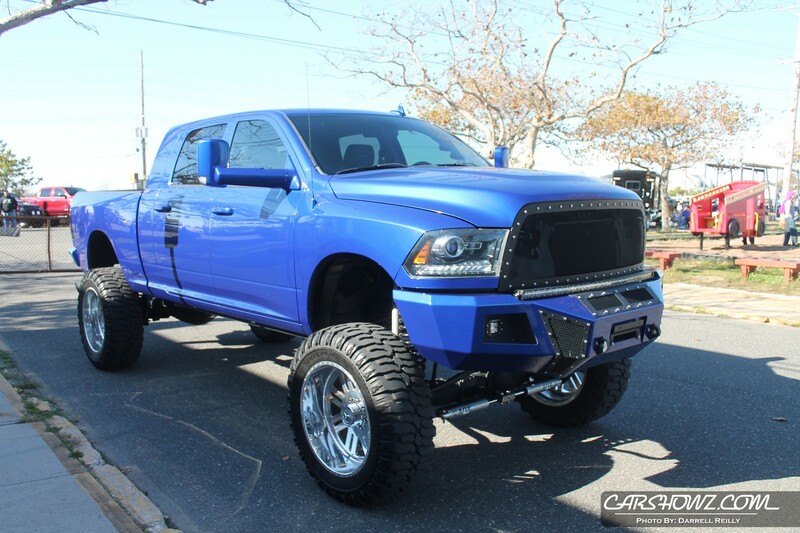 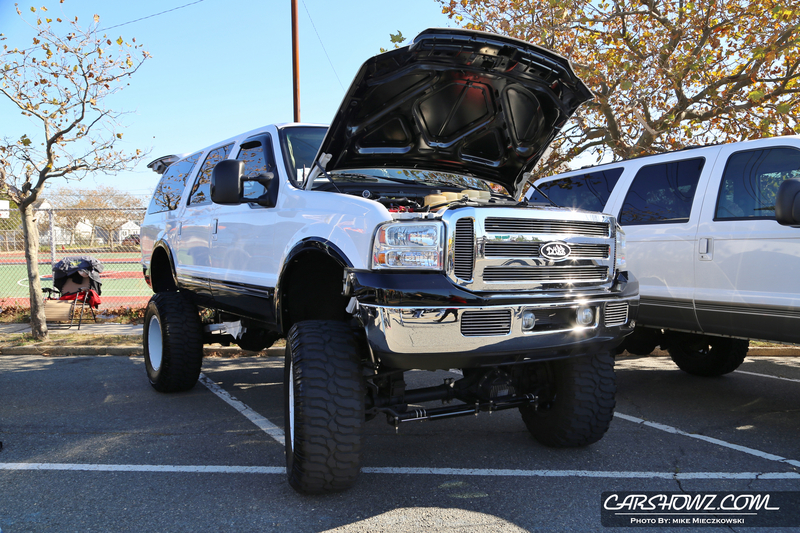 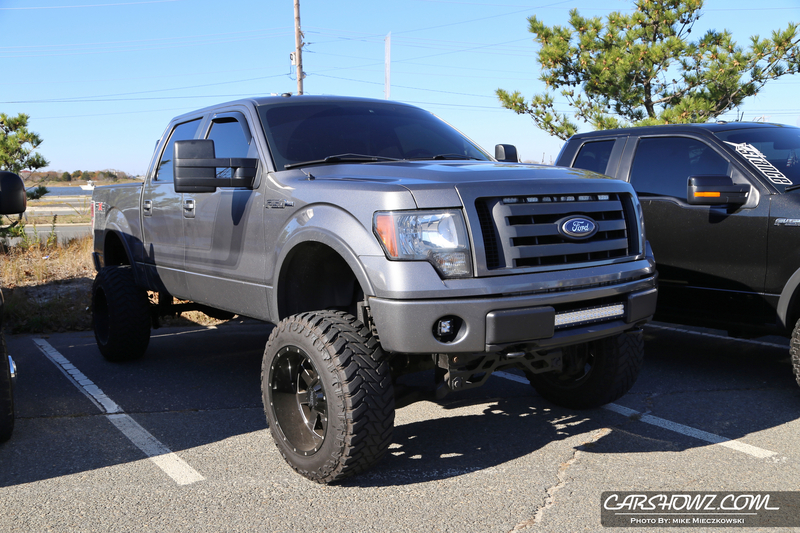 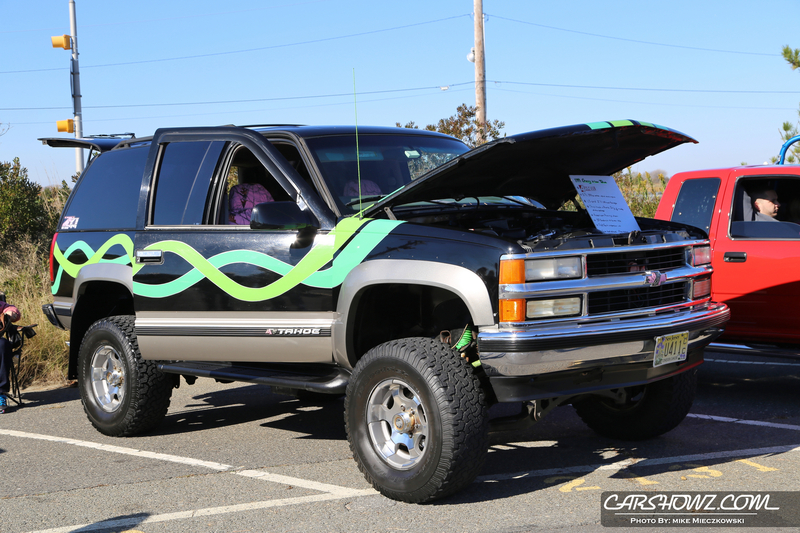 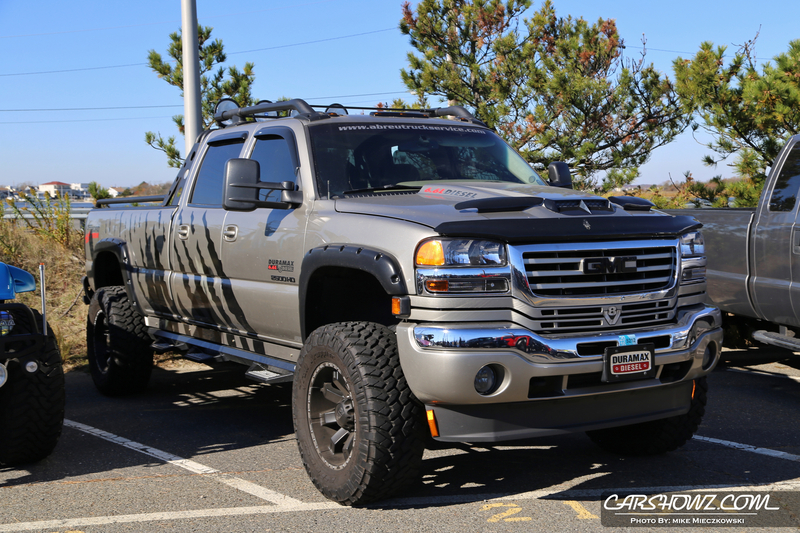 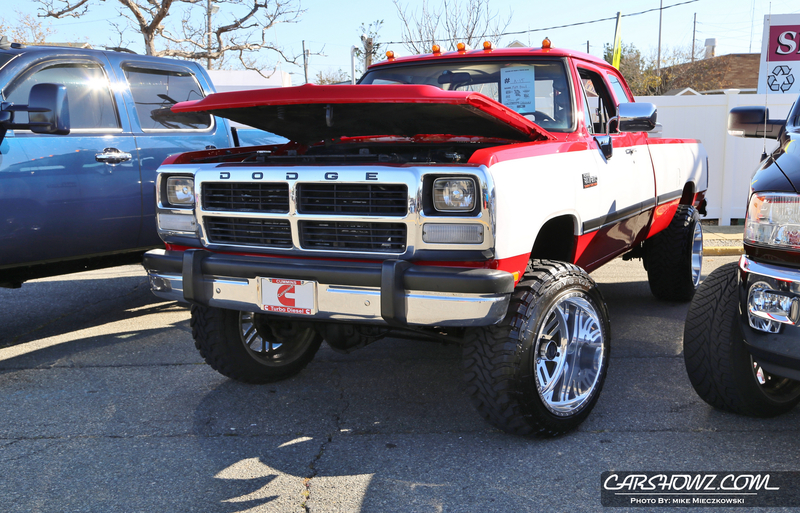 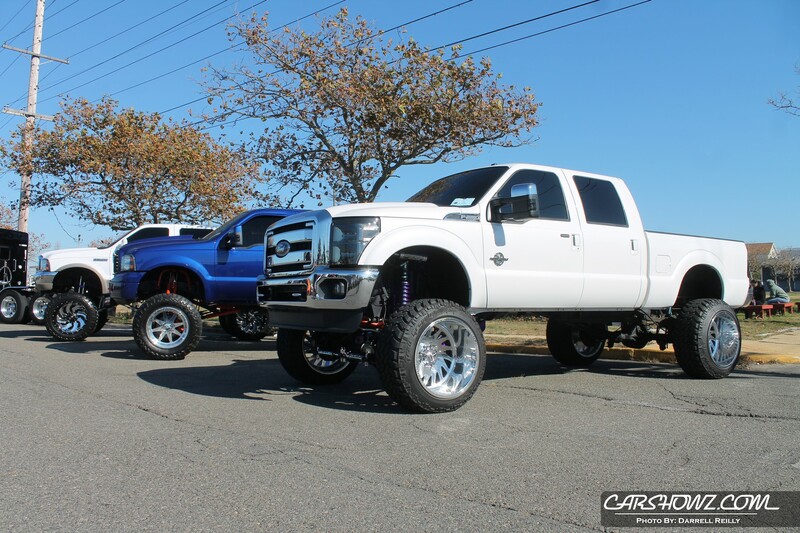 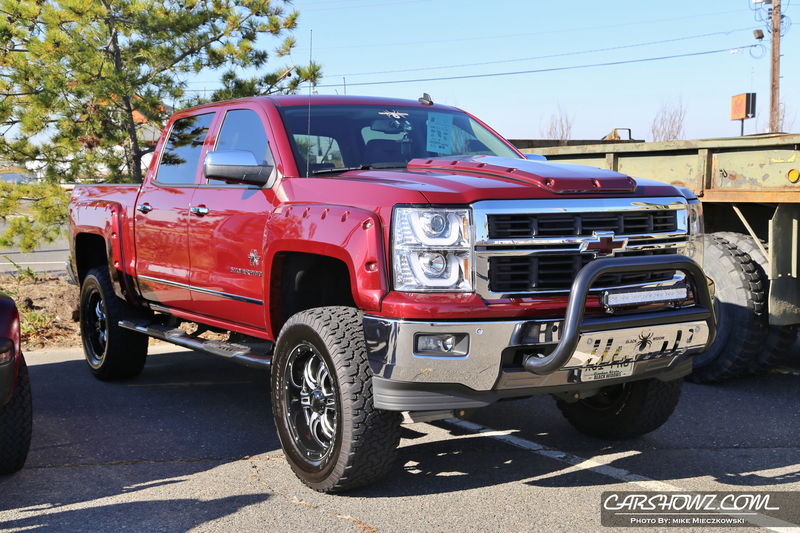 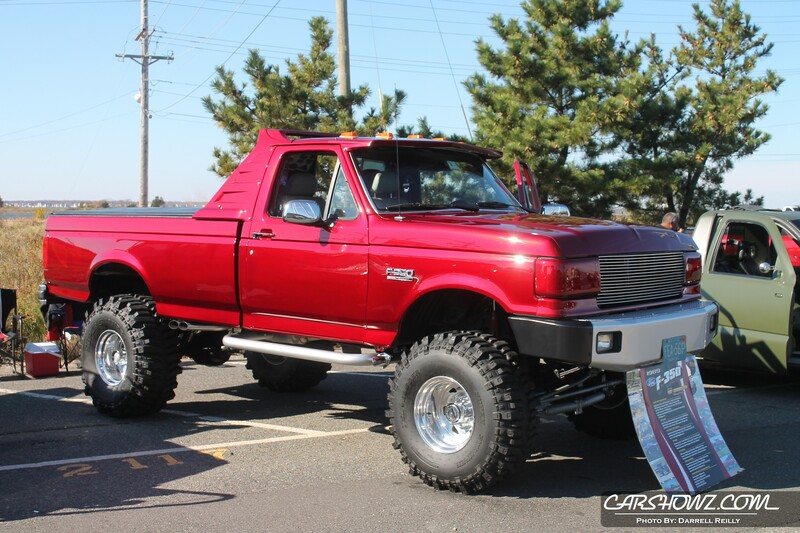 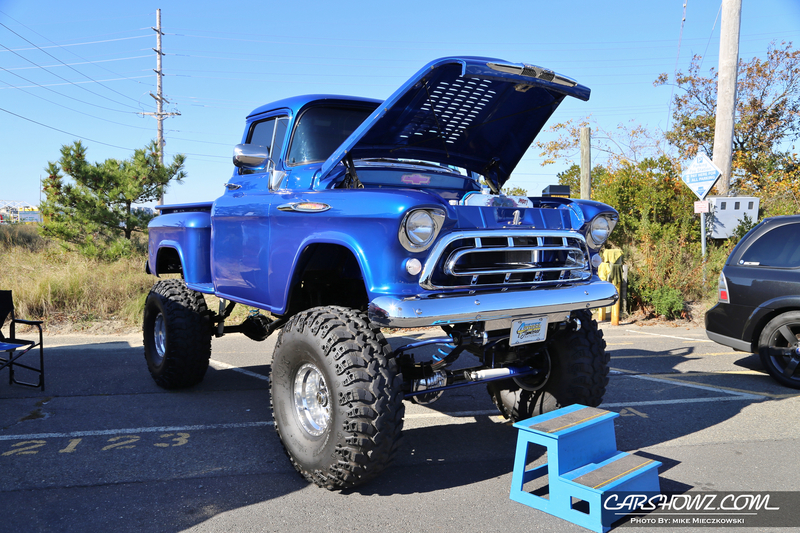 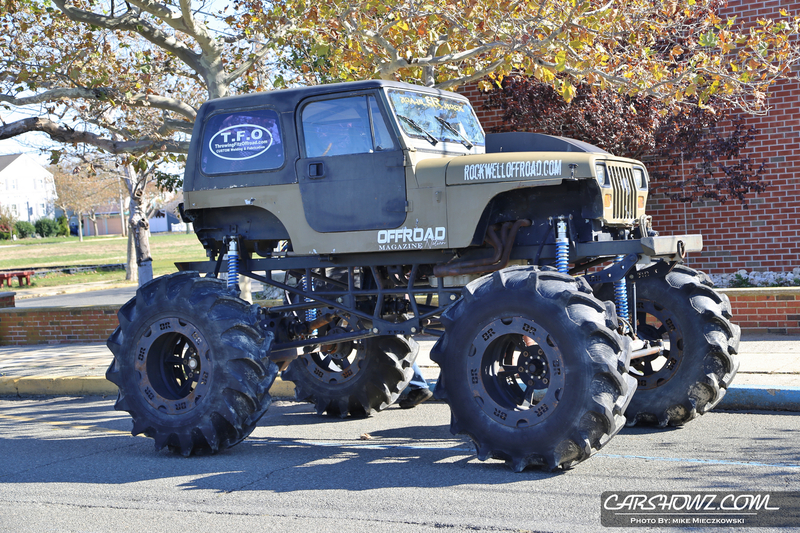 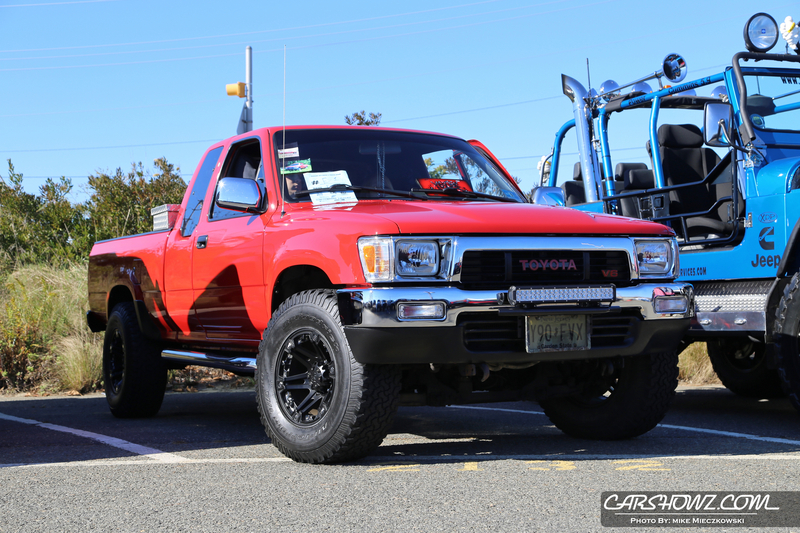 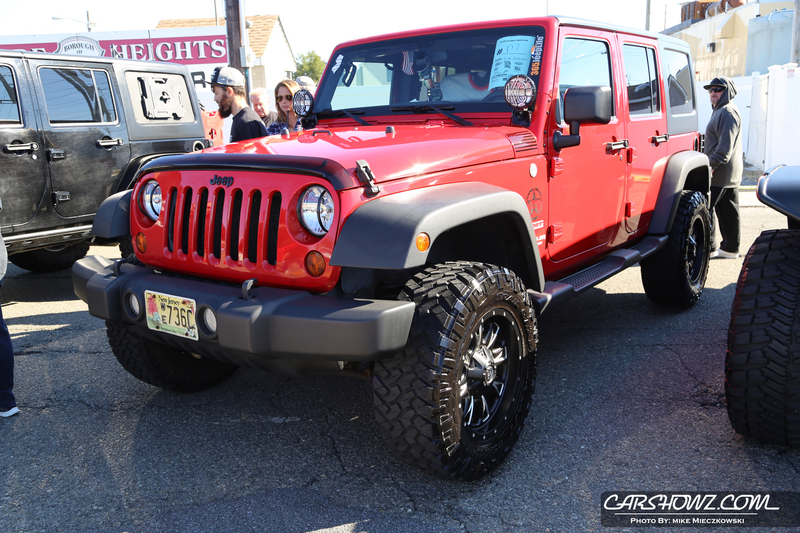 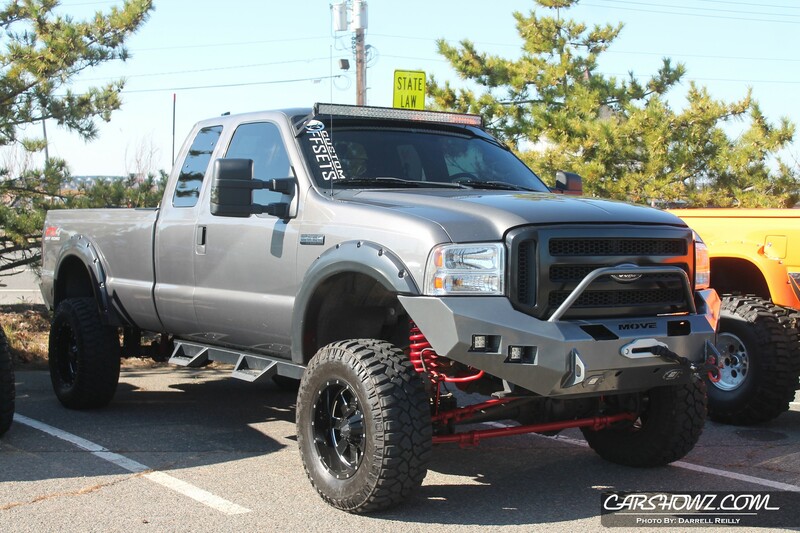 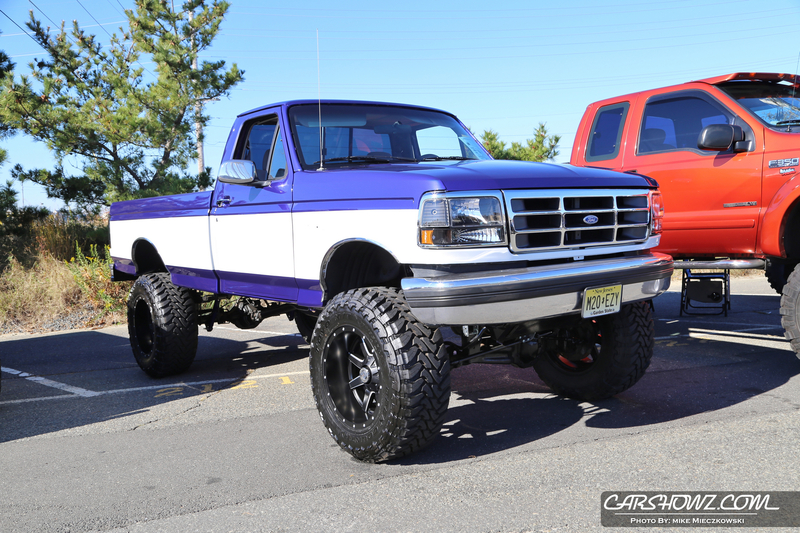 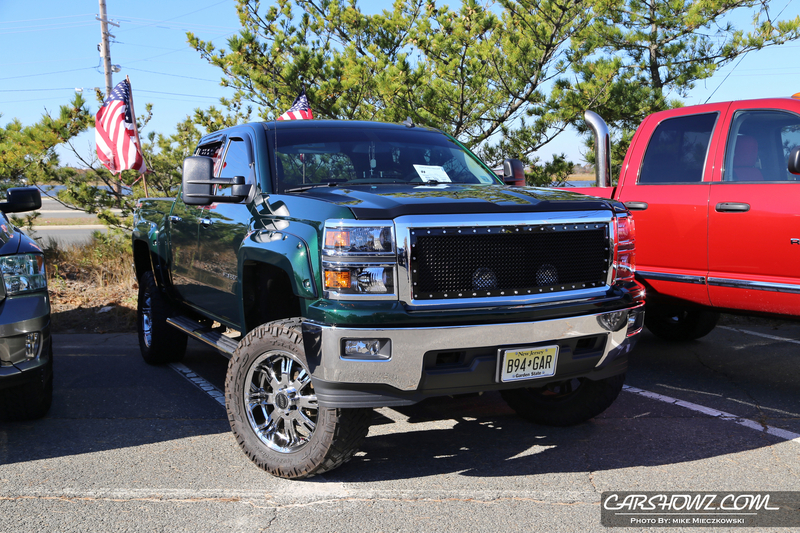 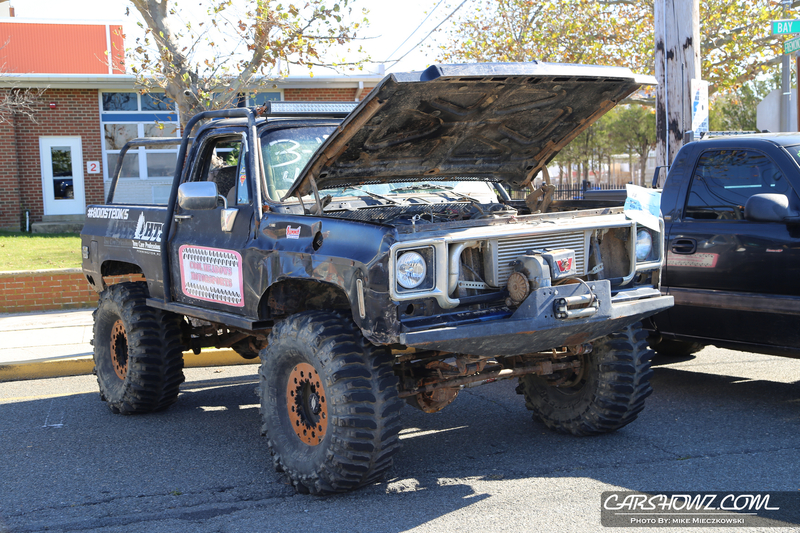 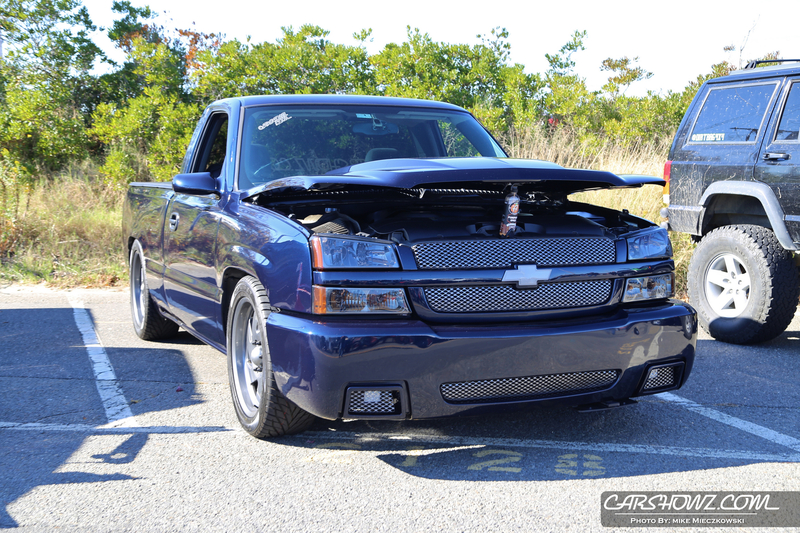 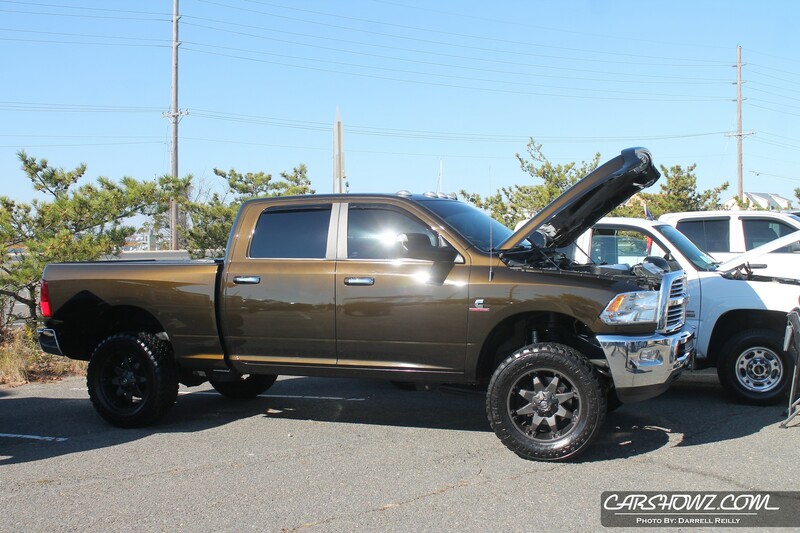 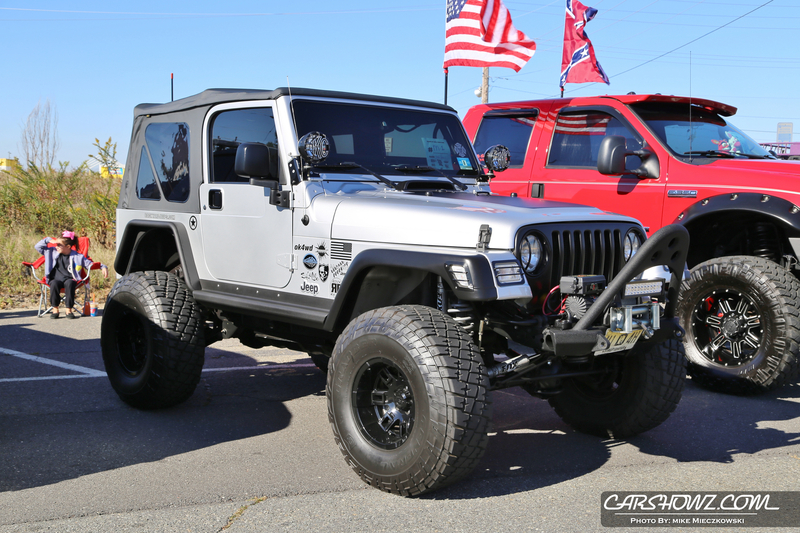 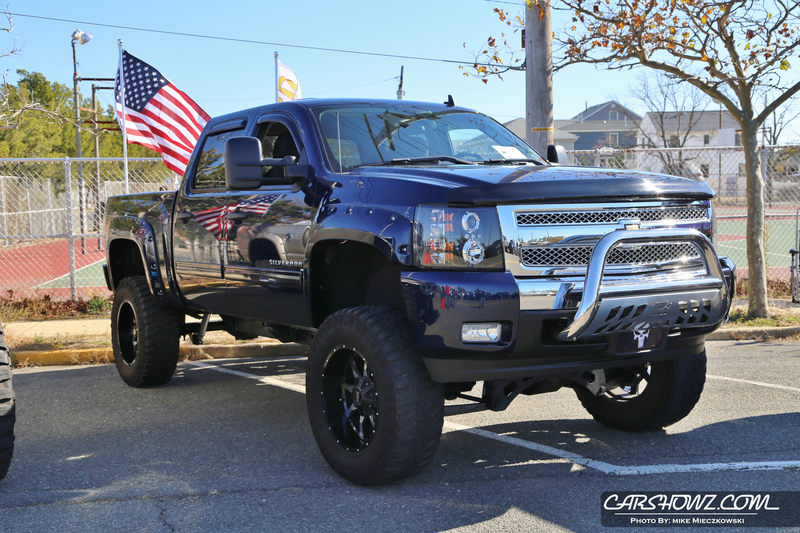 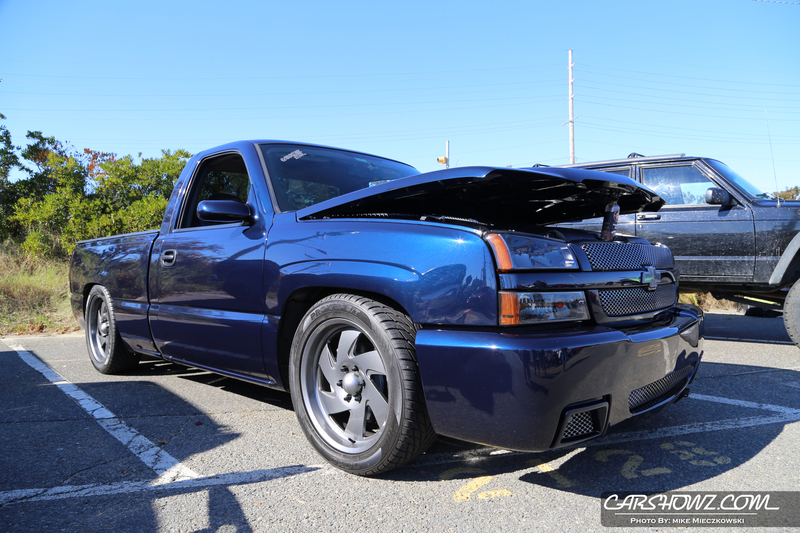 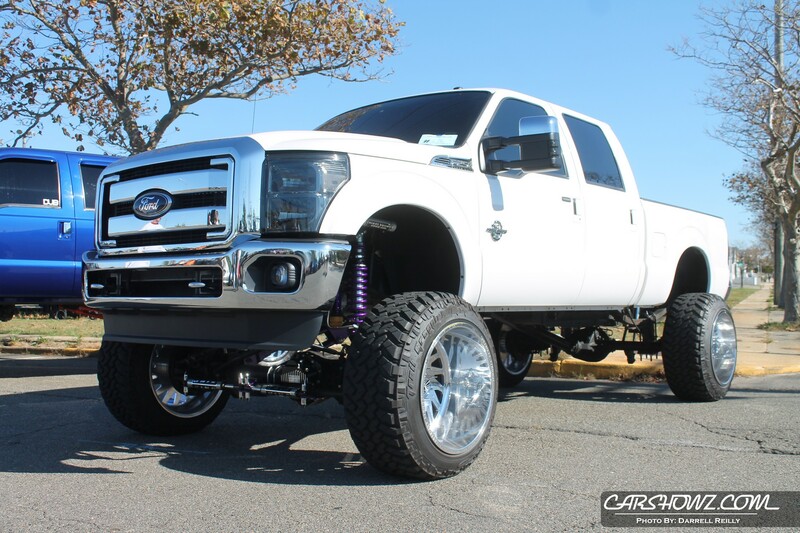 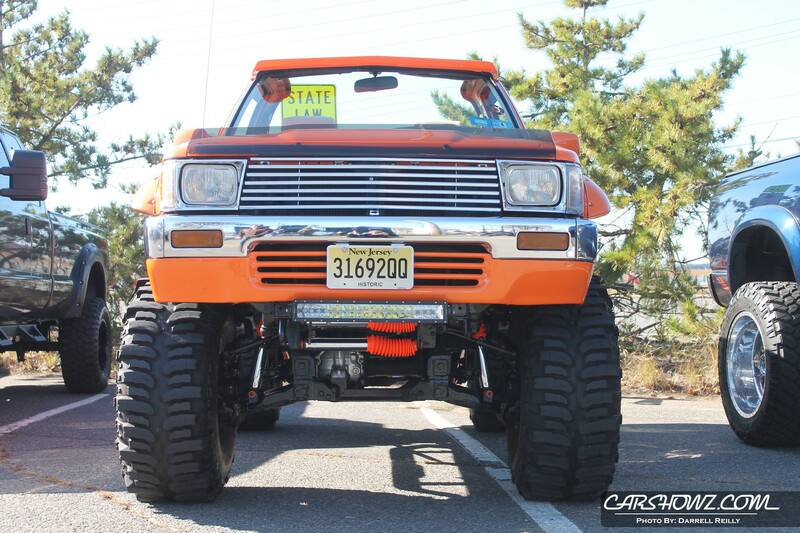 The 2016 Seaside Off Road and Truck Show kicked off its final event later than expected but had a pretty strong showing. 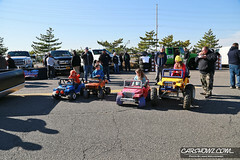 It was originally scheduled for a date in October but had to be moved to November due to impending weather conditions. 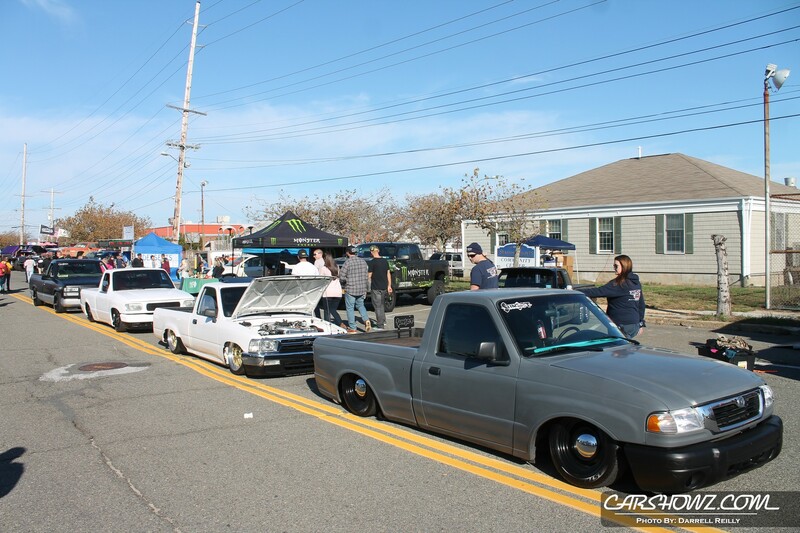 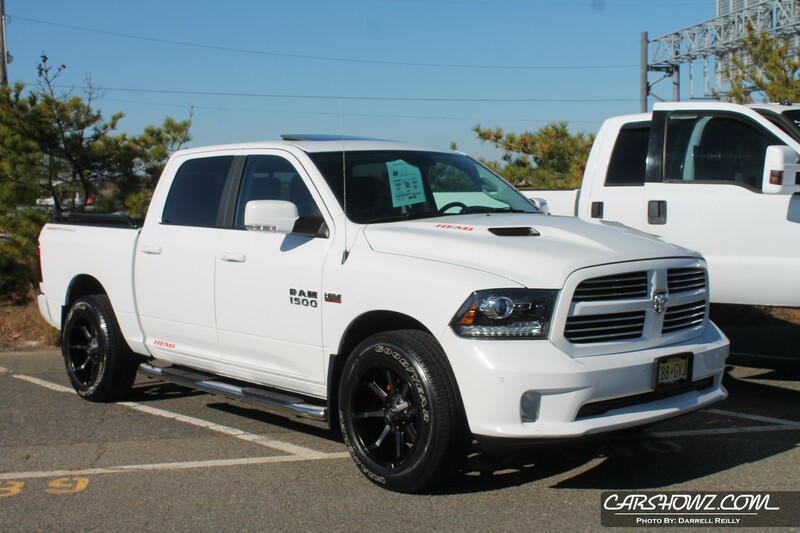 In past years the event was held by and on the beach in Seaside Park, NJ but for various reasons had to be moved to the Bay side of the beach community in Seaside Heights. 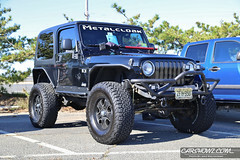 Sadly there was no Saw Mill pizza with a view of the ocean because of the new location. 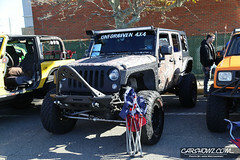 For those who do not know, the Saw Mill has massive slices that are actually pretty good. 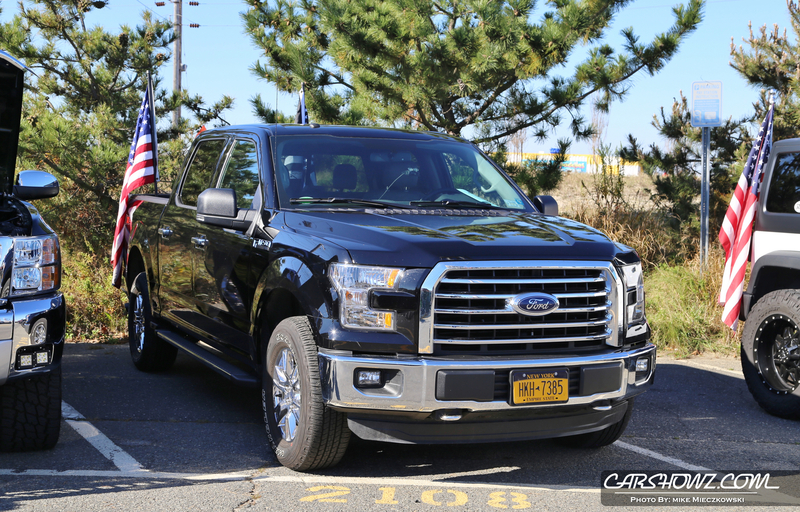 Even without the Saw Mill and sandy beaches the show drew in some really nice trucks from around the region and the long stretch of road used for the show was packed with spectators all day. 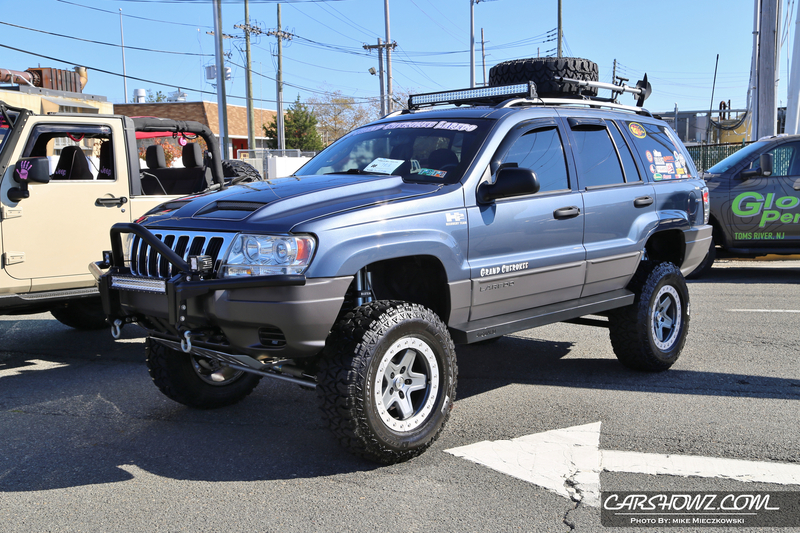 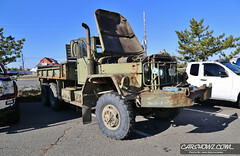 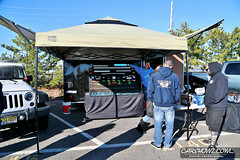 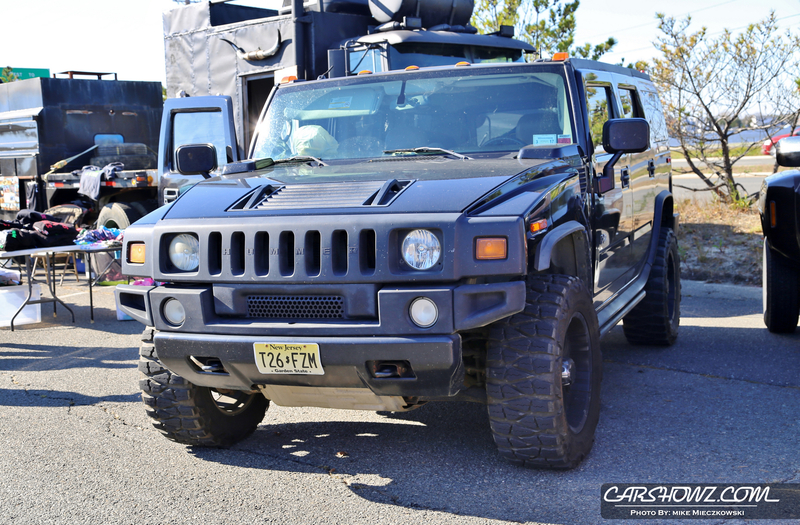 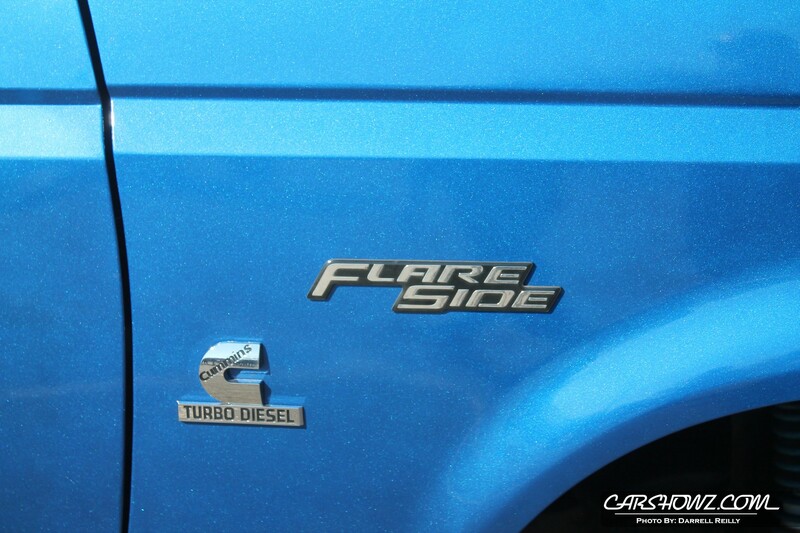 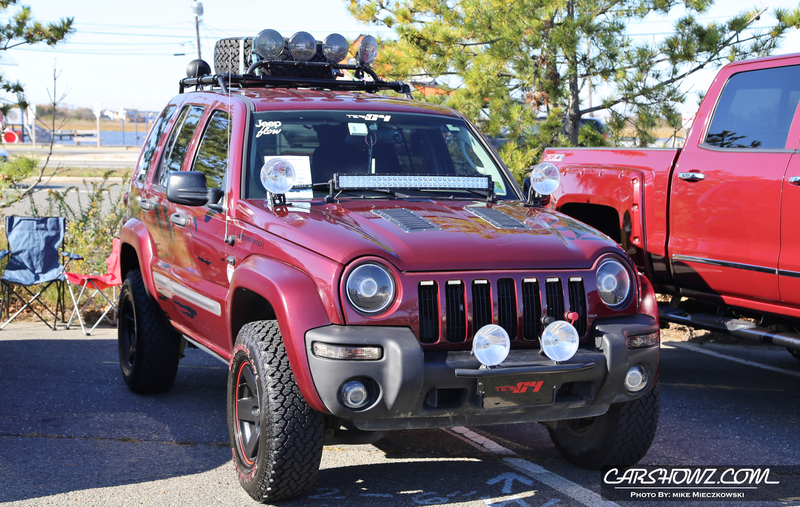 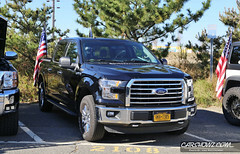 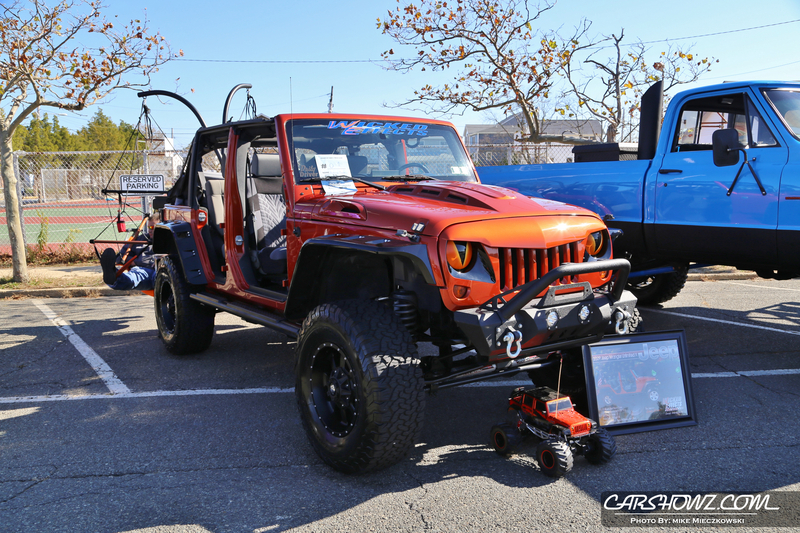 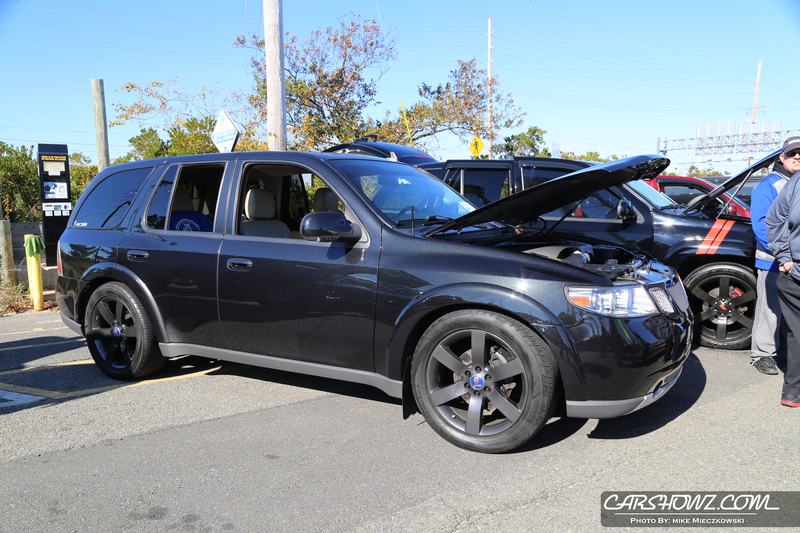 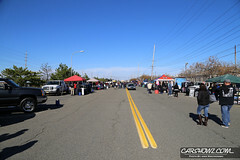 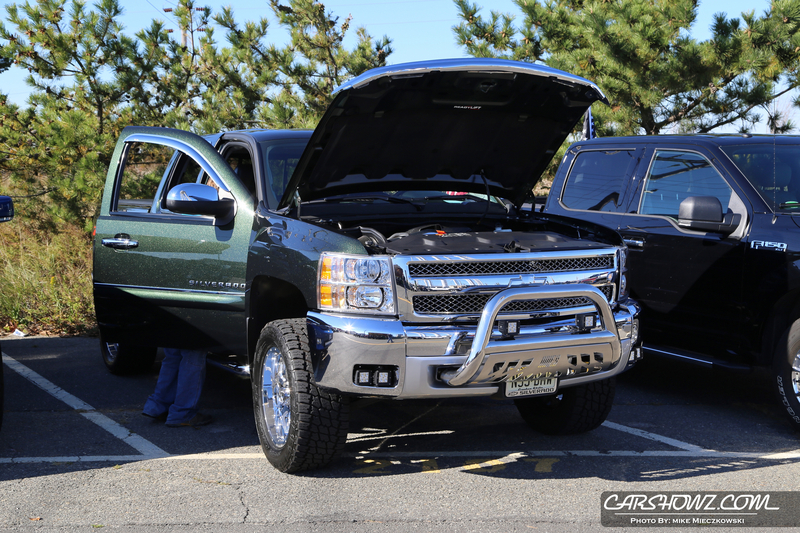 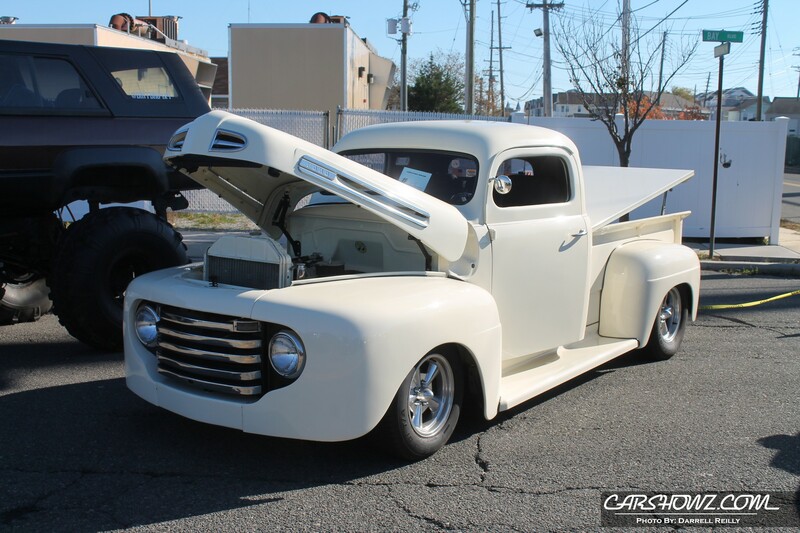 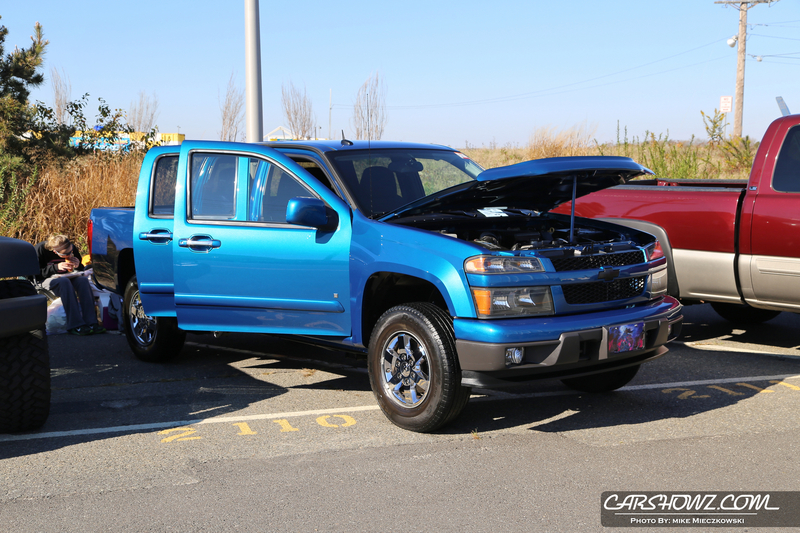 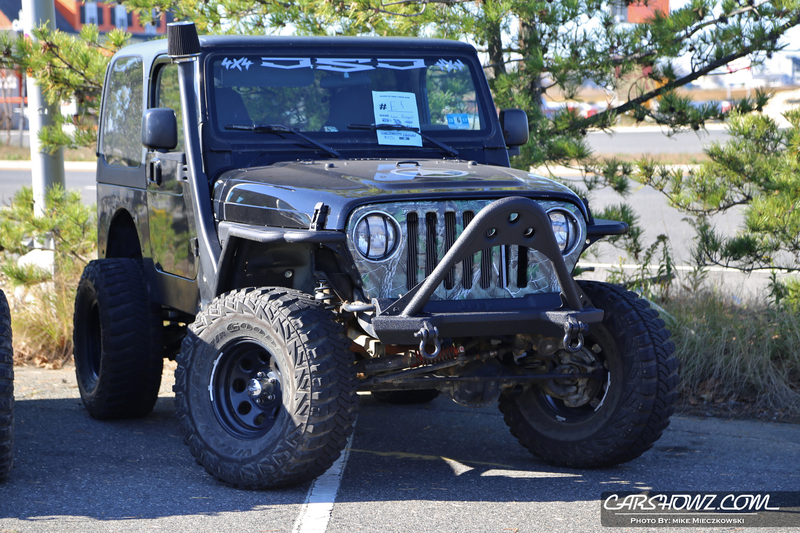 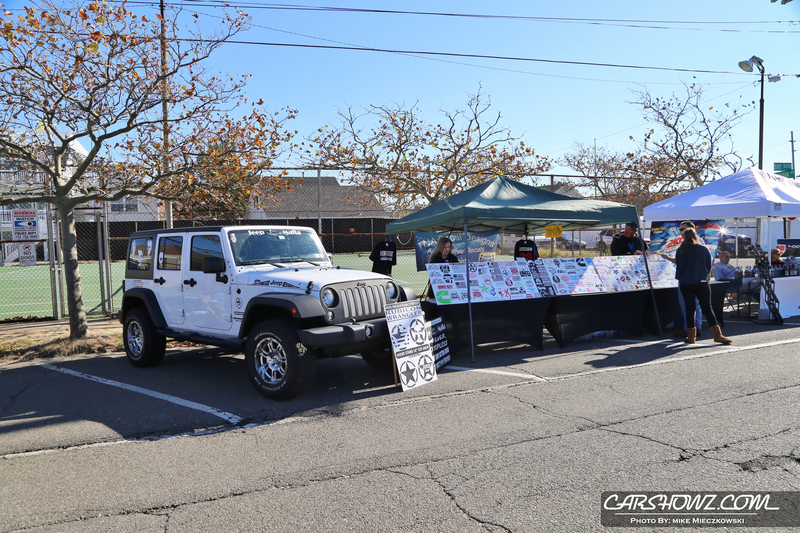 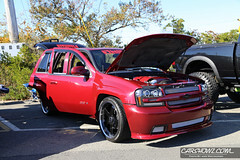 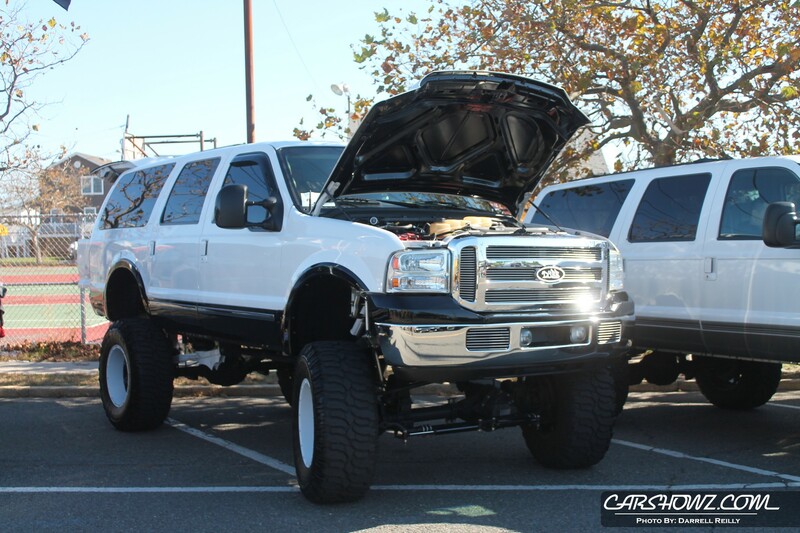 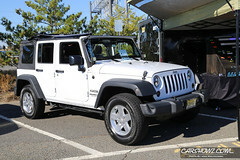 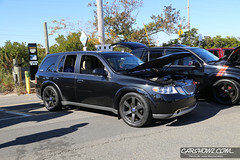 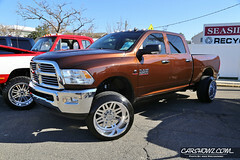 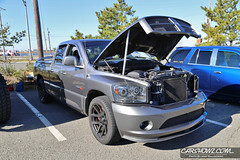 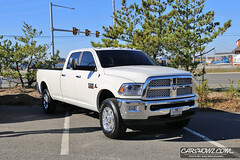 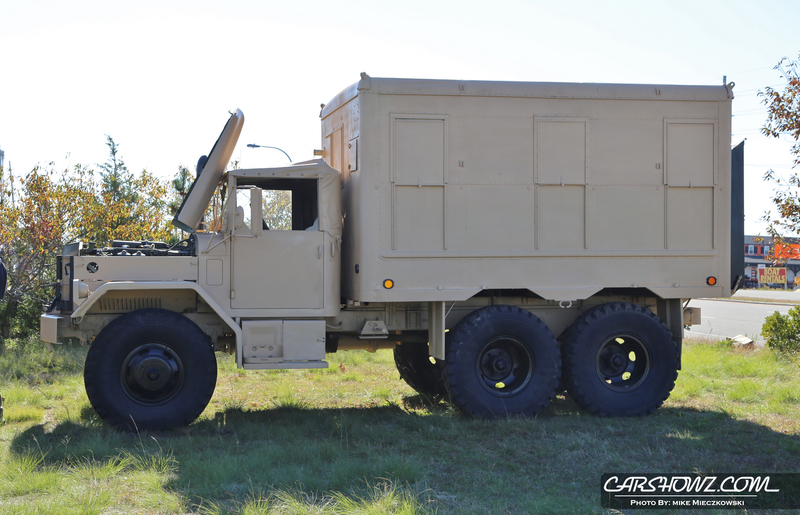 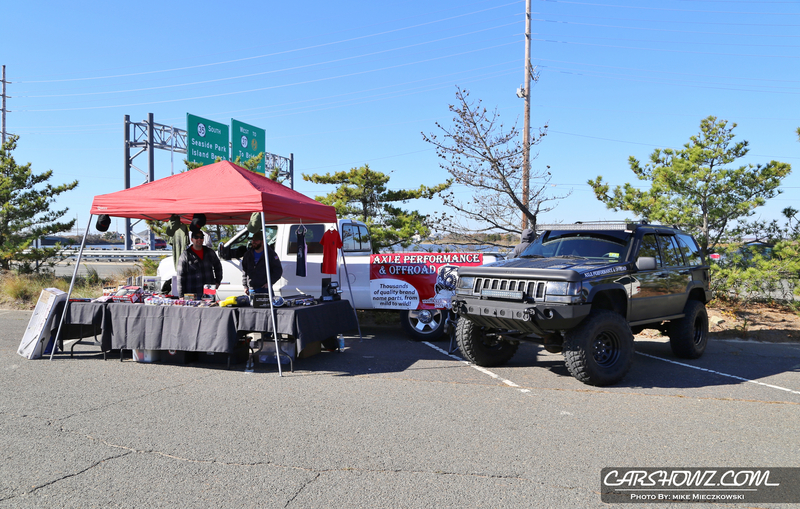 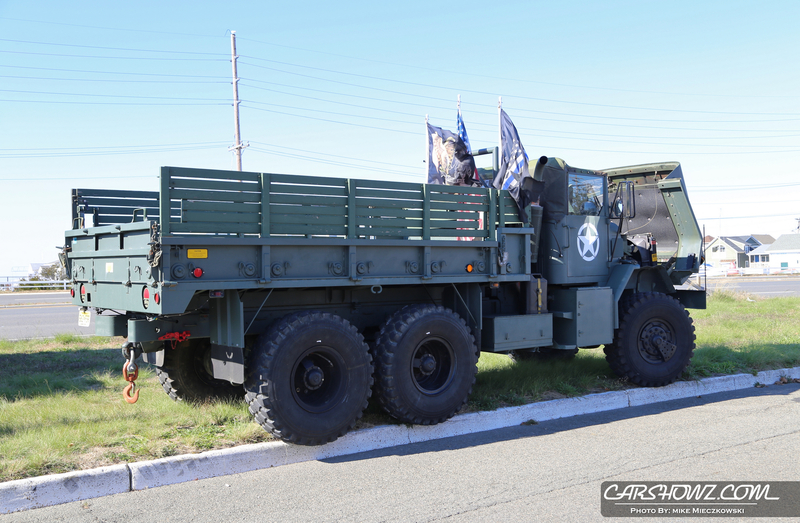 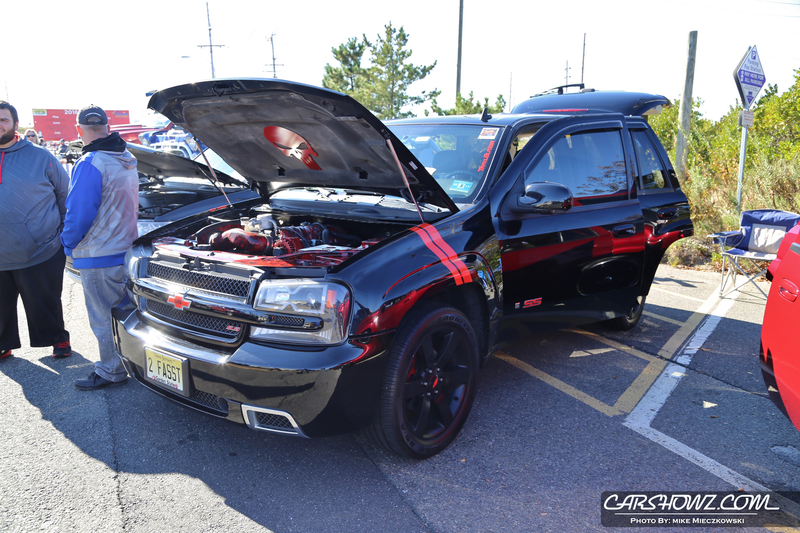 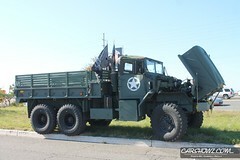 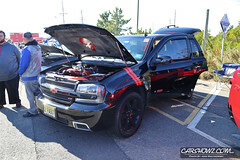 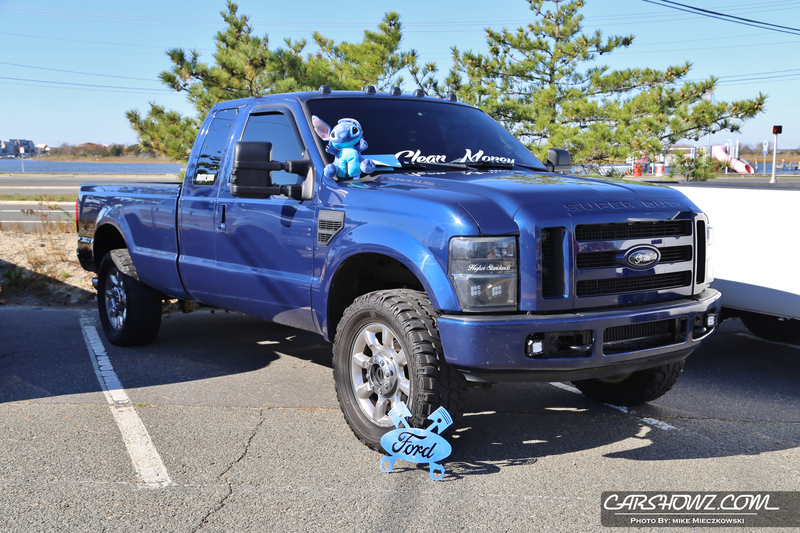 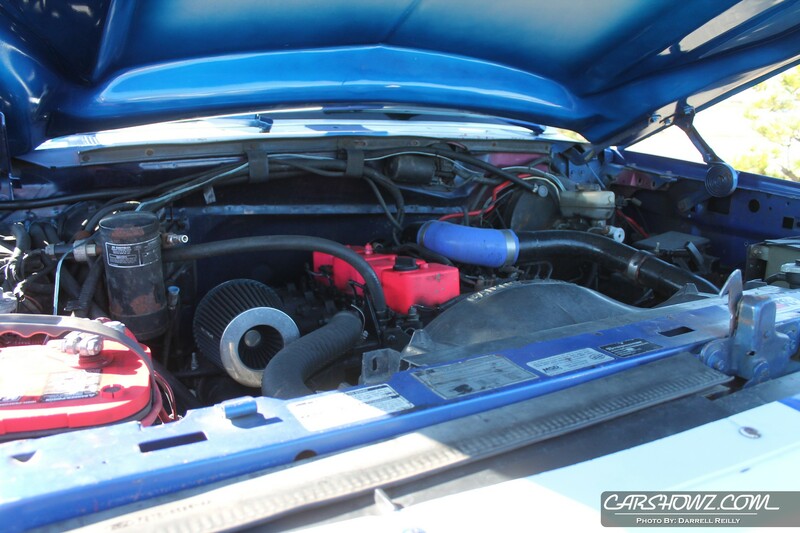 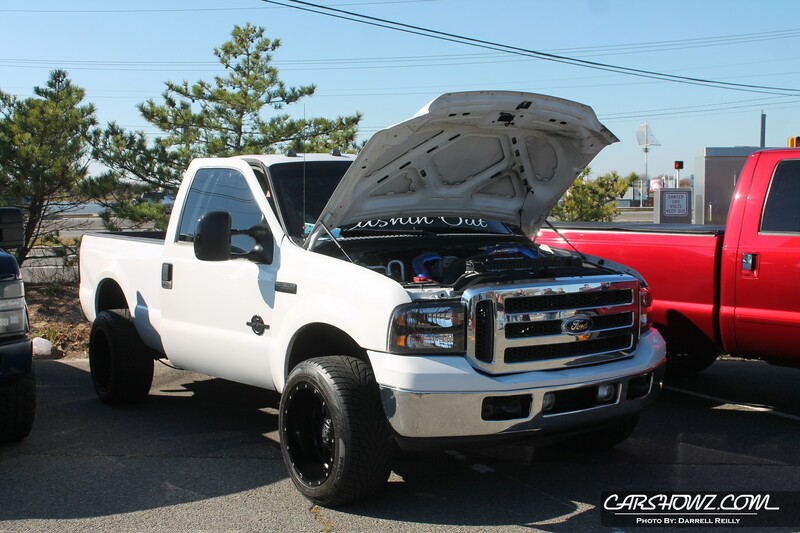 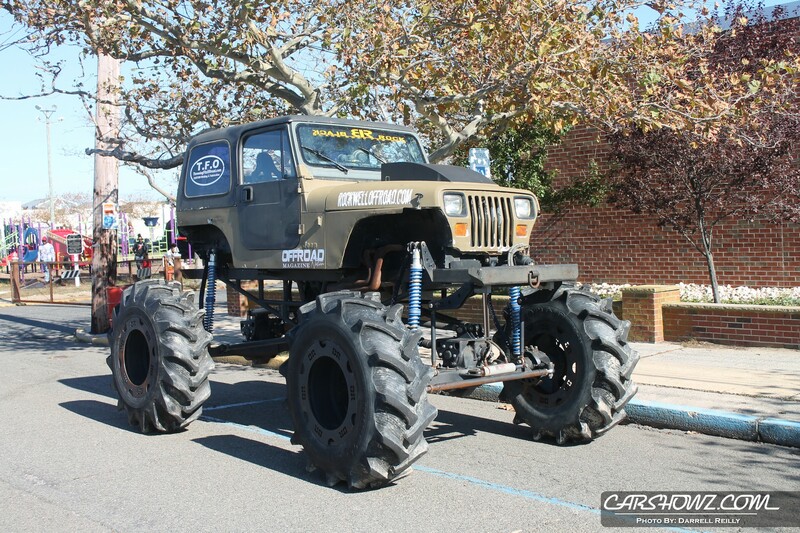 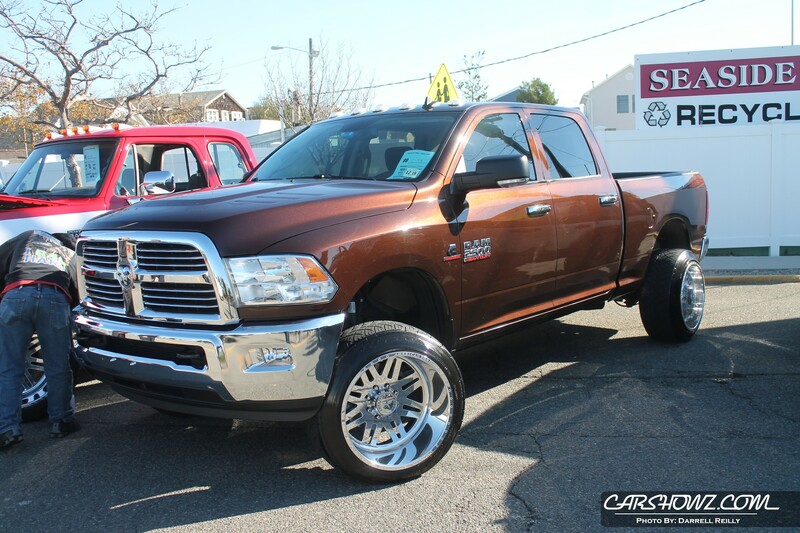 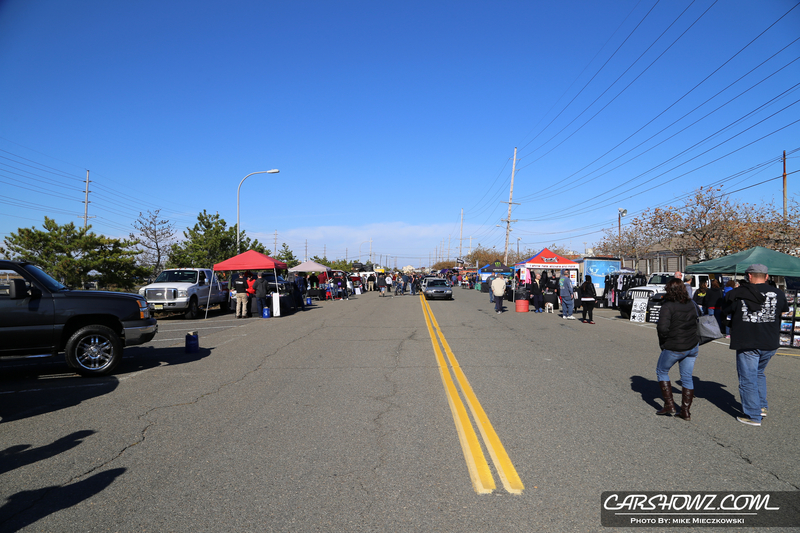 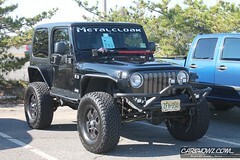 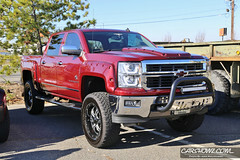 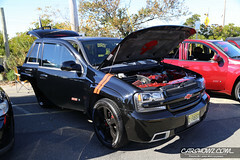 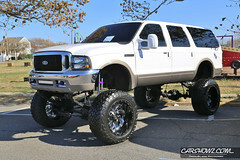 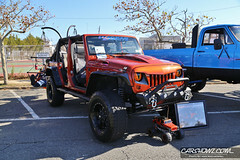 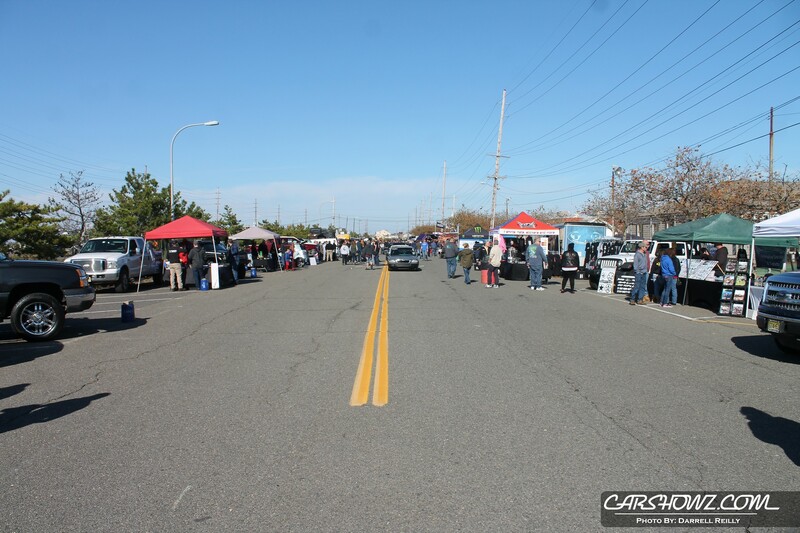 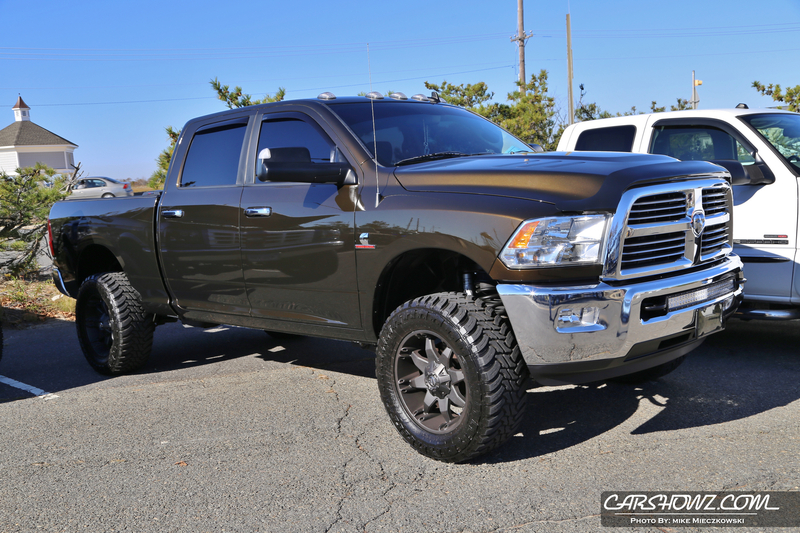 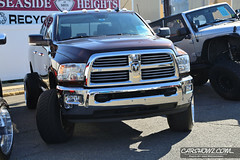 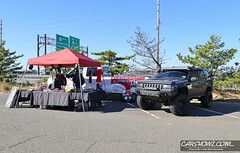 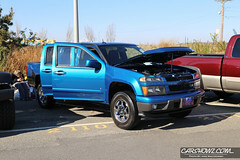 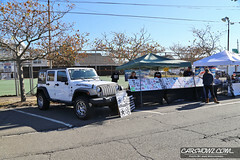 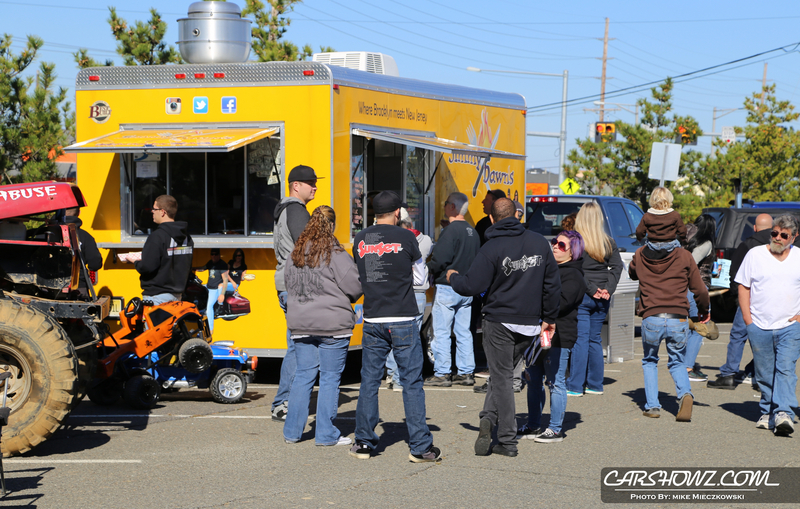 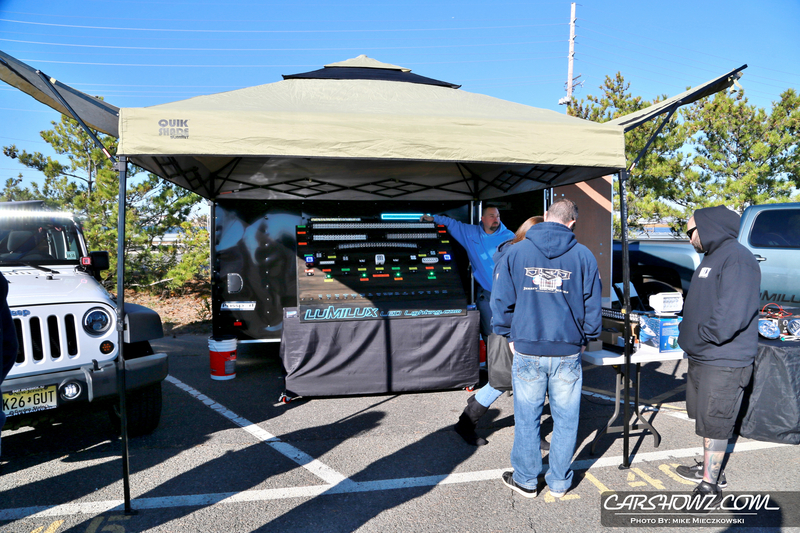 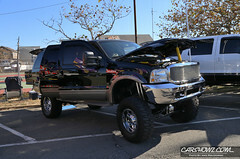 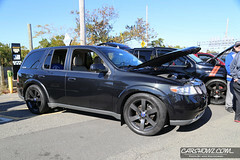 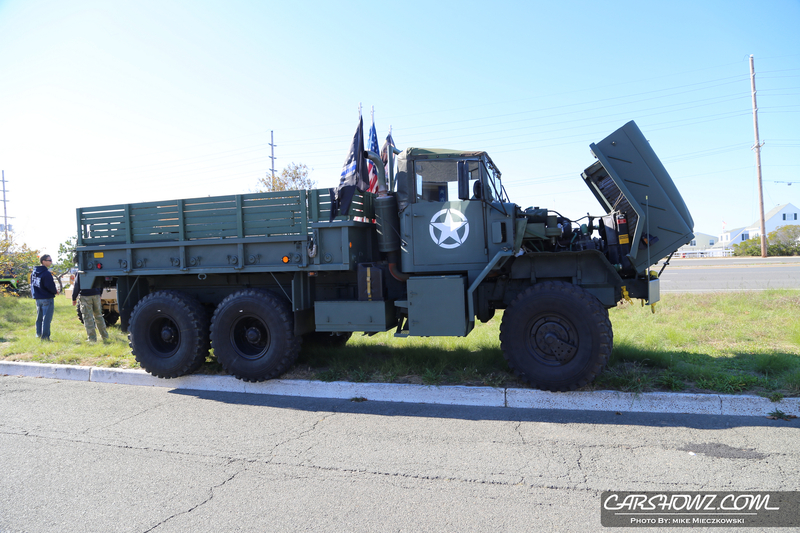 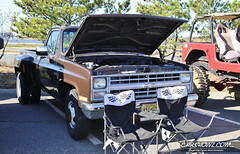 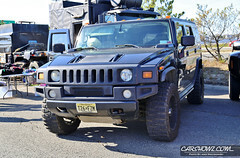 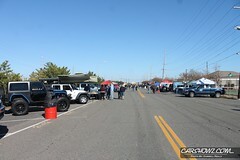 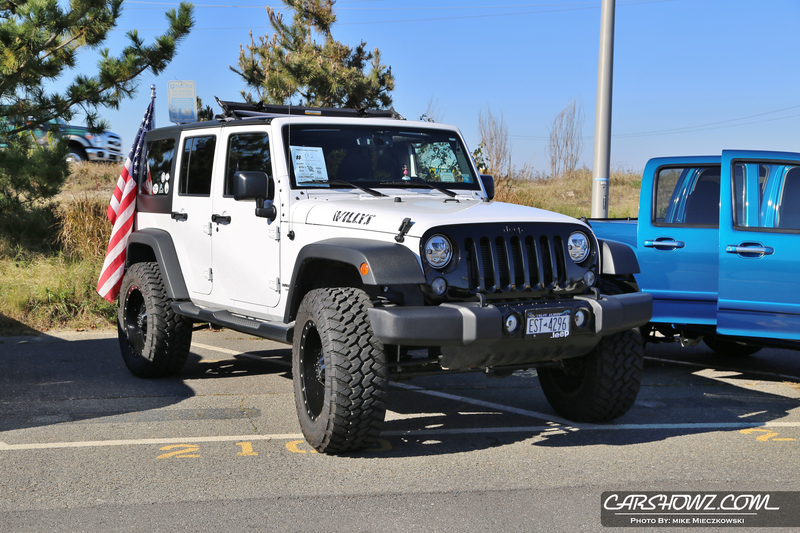 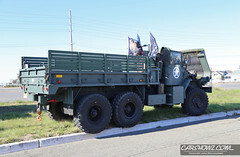 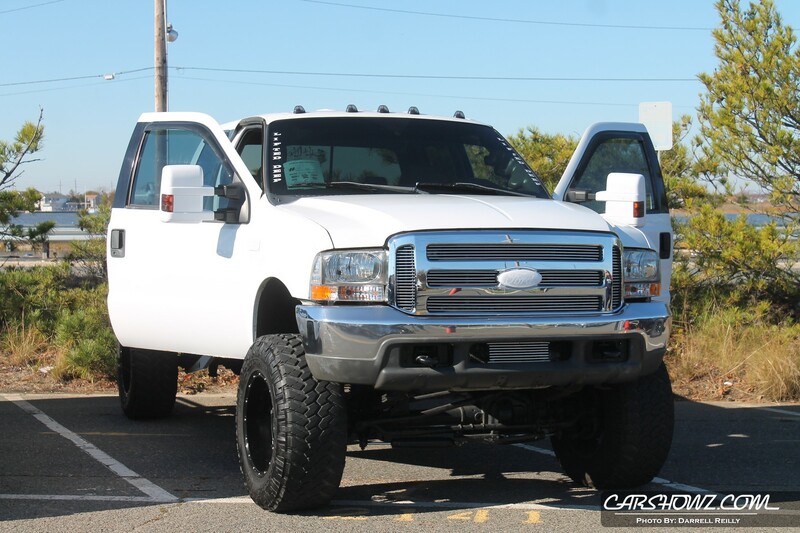 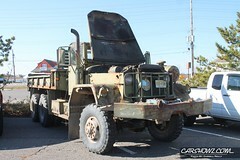 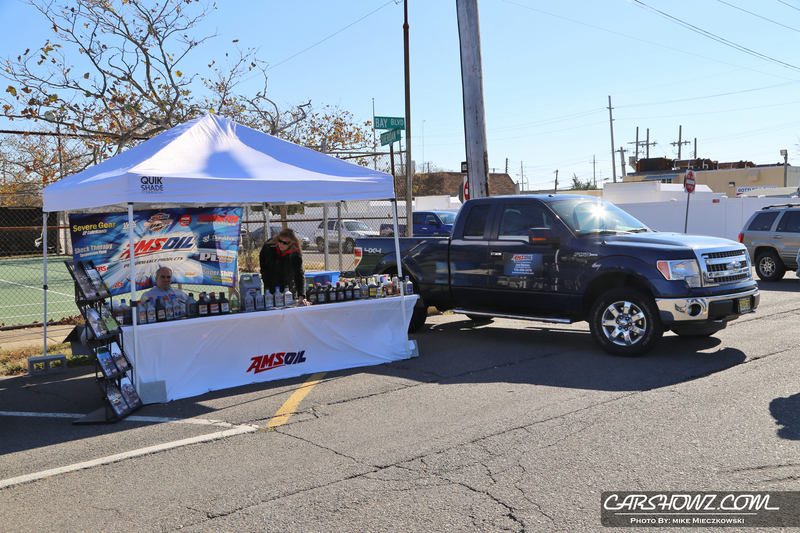 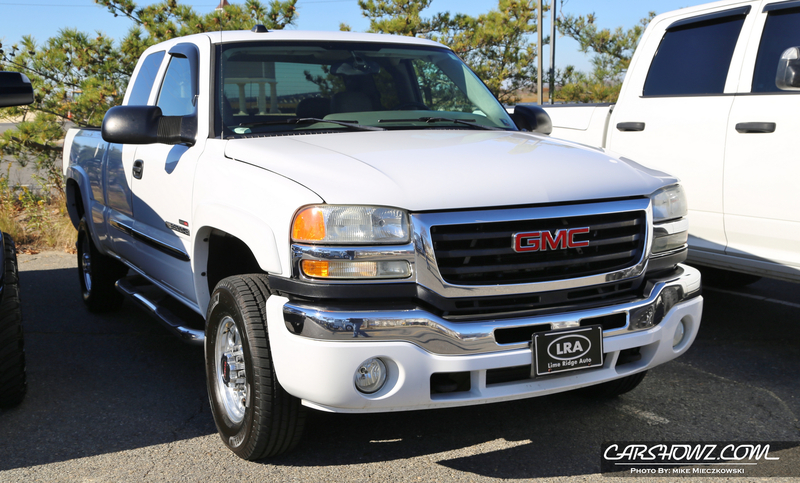 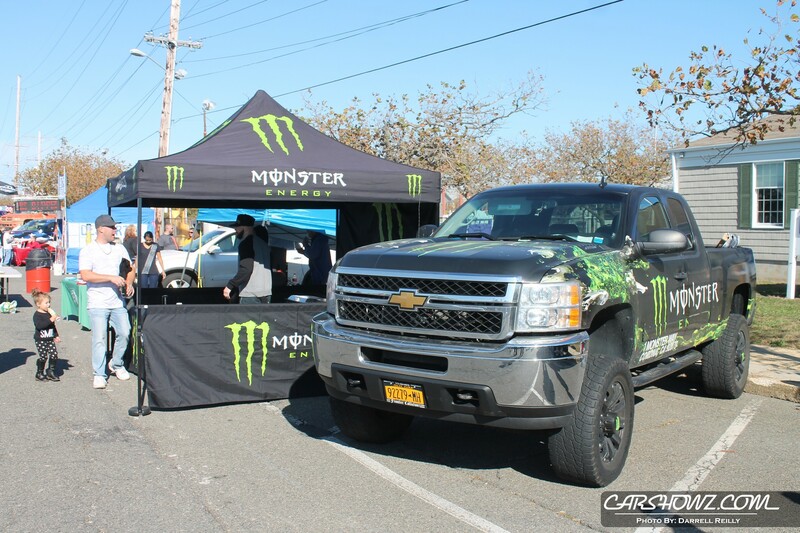 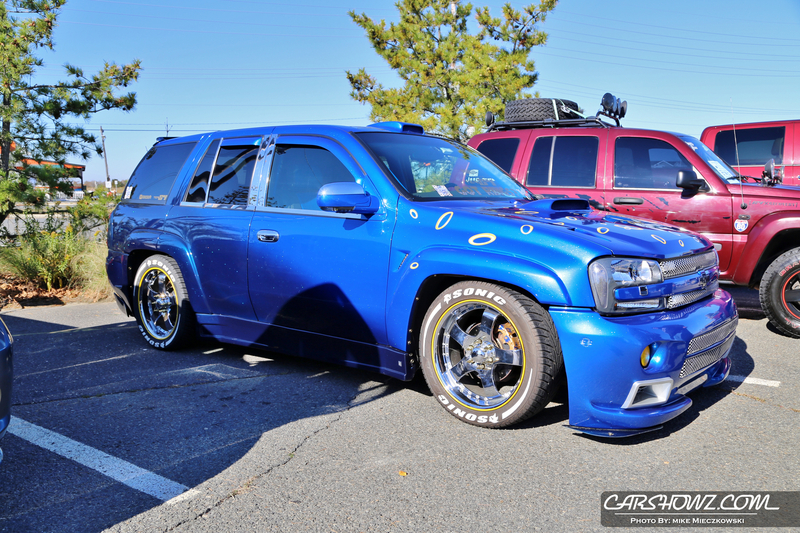 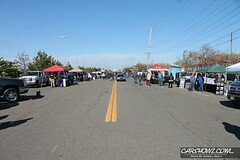 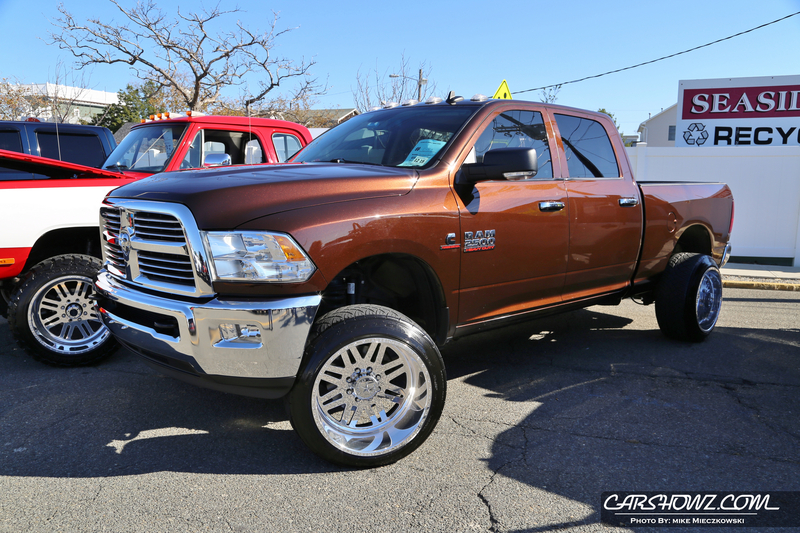 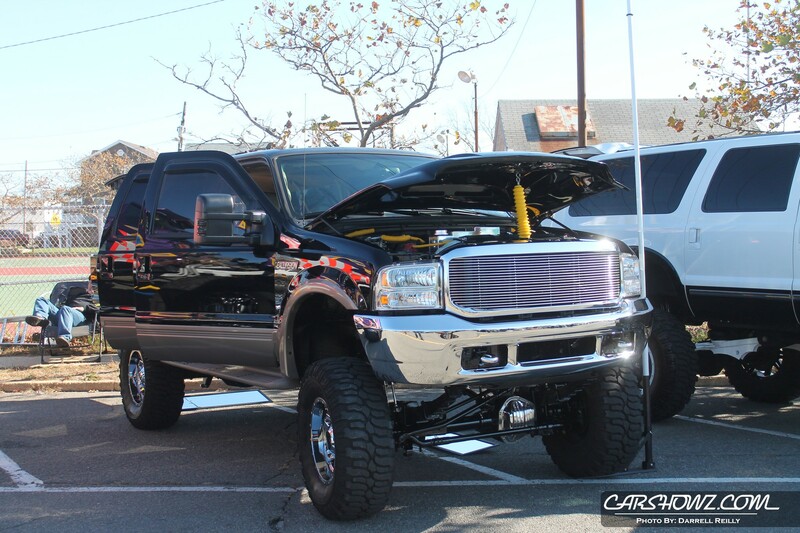 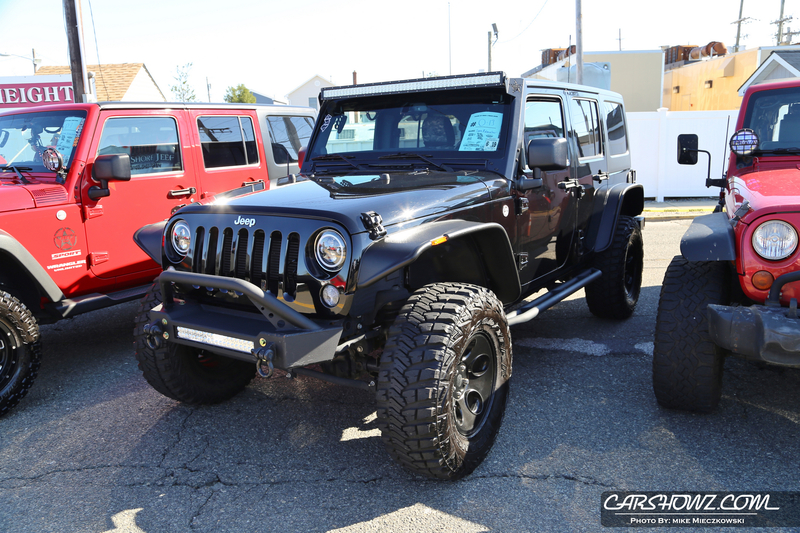 Lots of vendors were in attendance with everything from food to clothing and accessories for Jeeps and trucks. 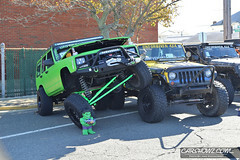 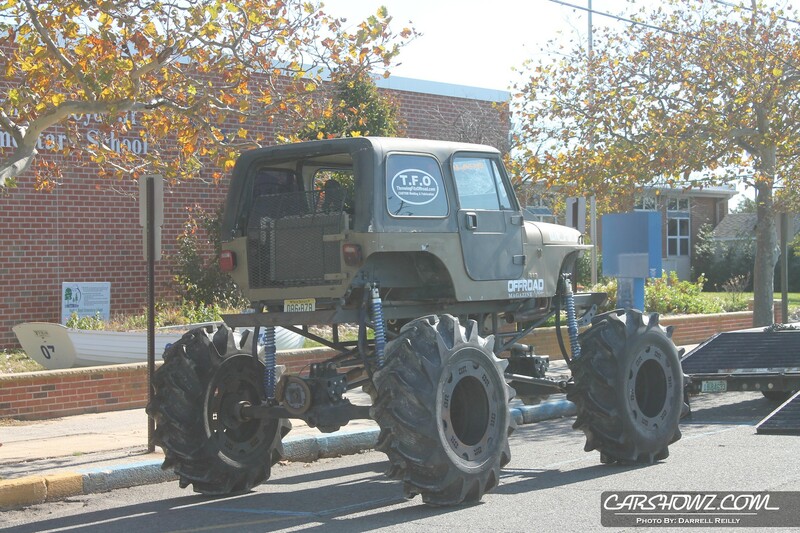 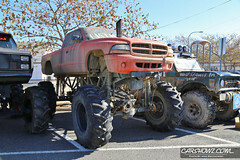 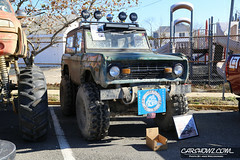 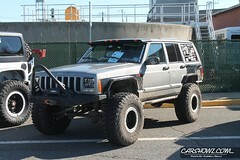 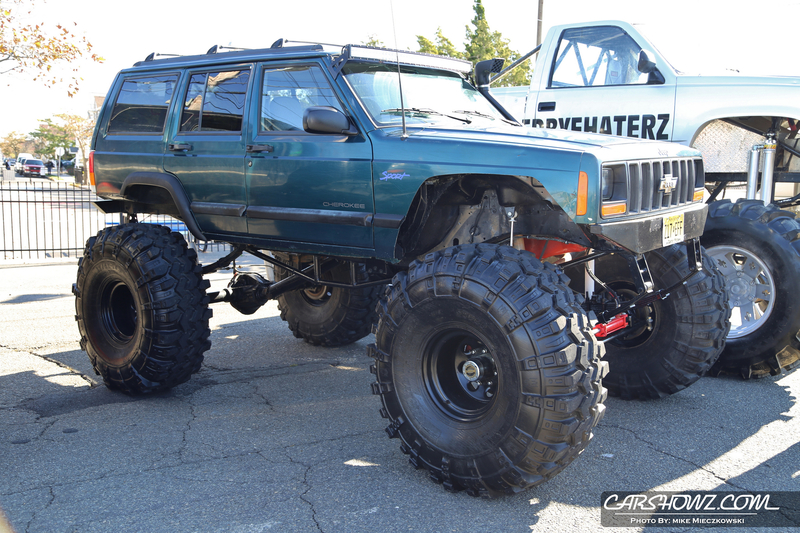 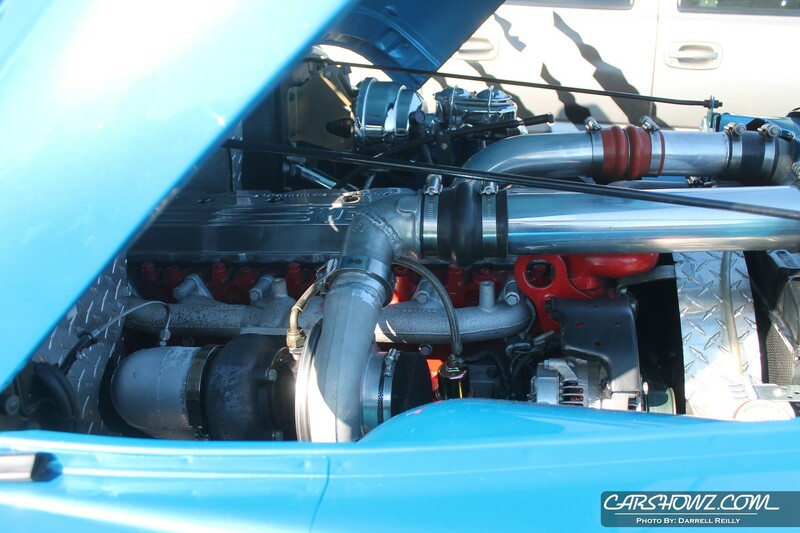 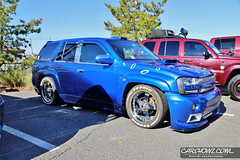 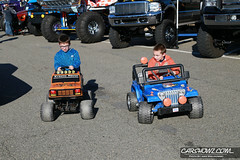 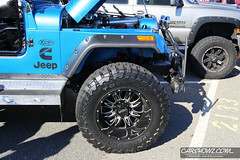 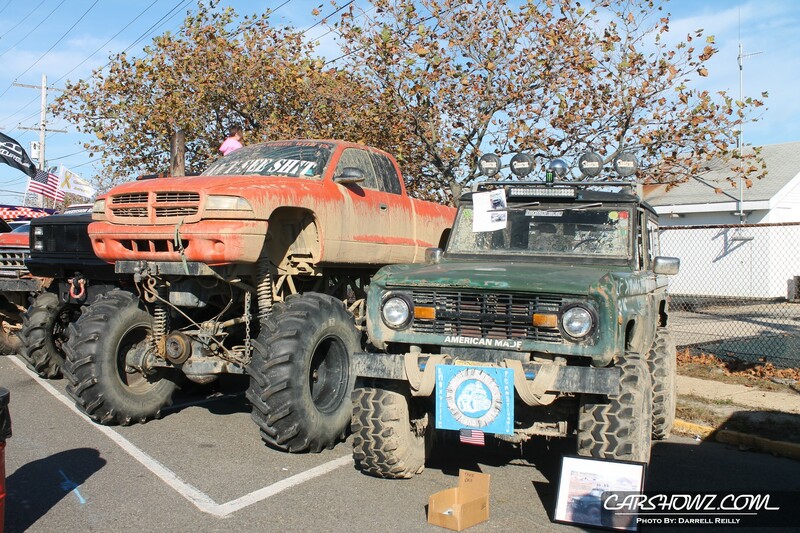 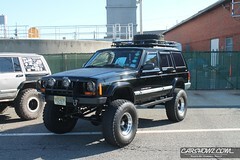 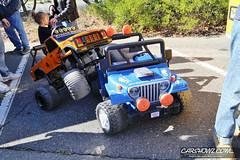 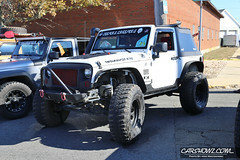 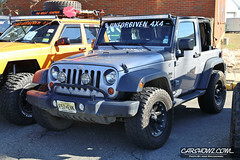 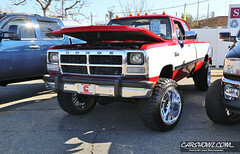 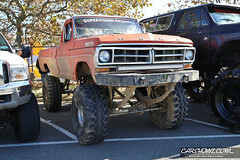 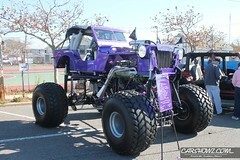 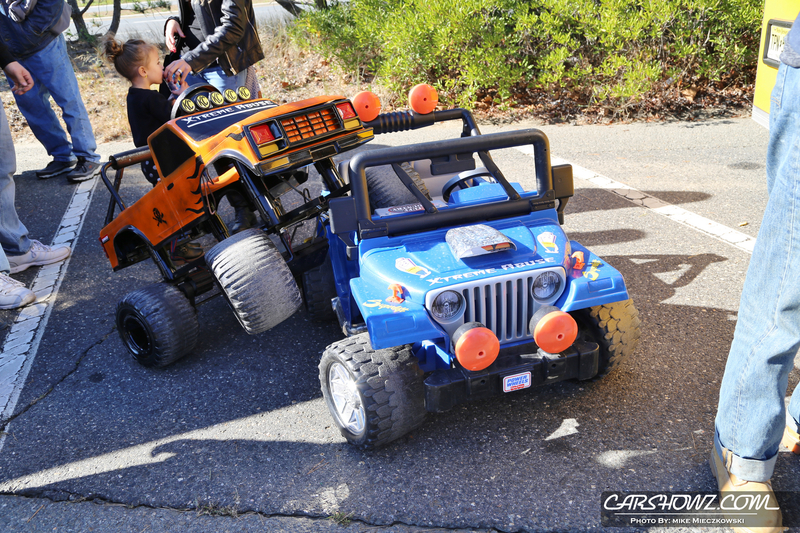 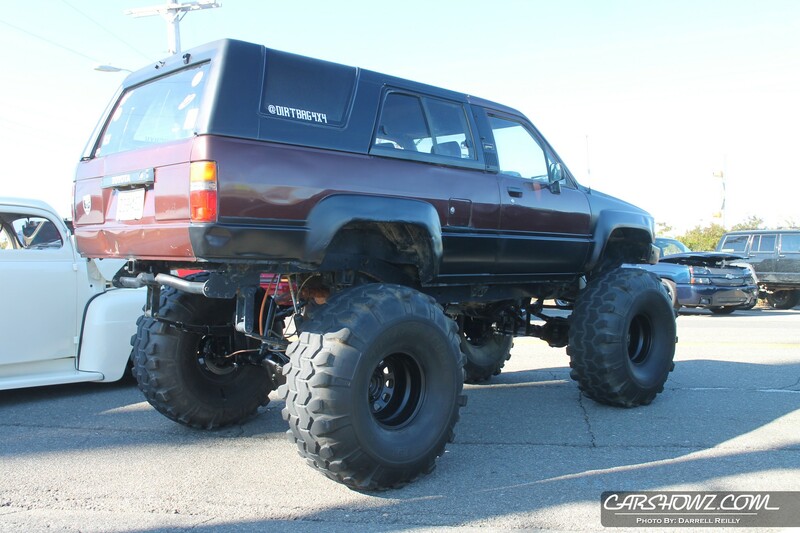 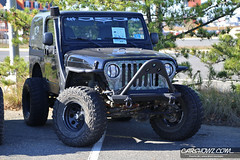 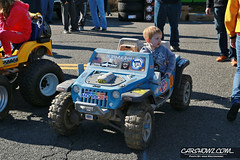 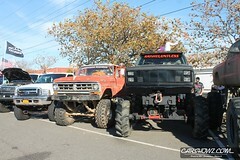 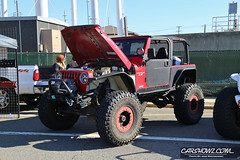 The Show had a very wide variety of Jeeps and trucks. 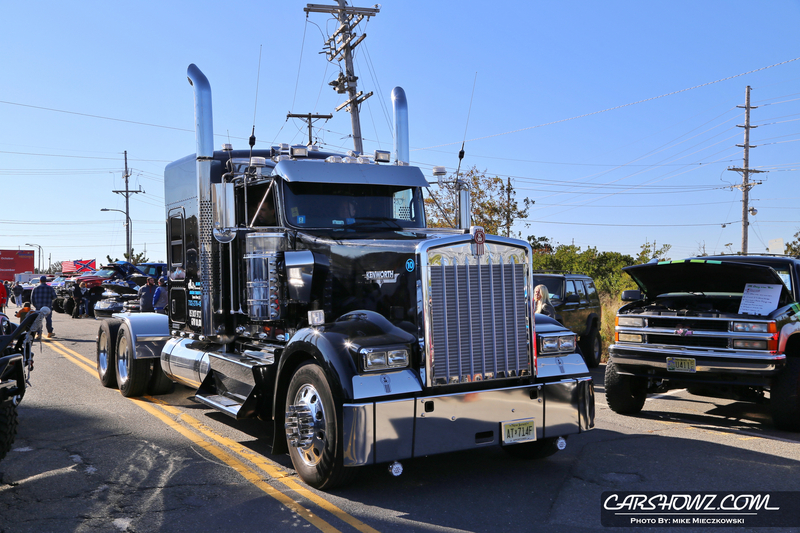 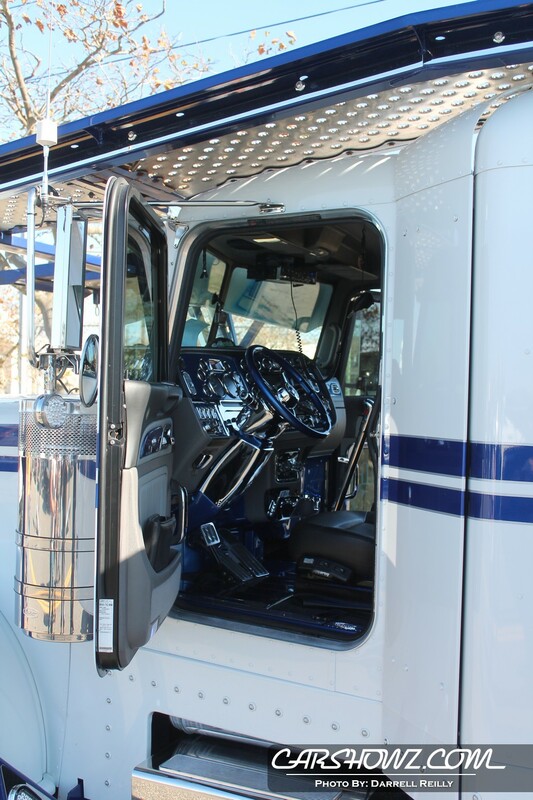 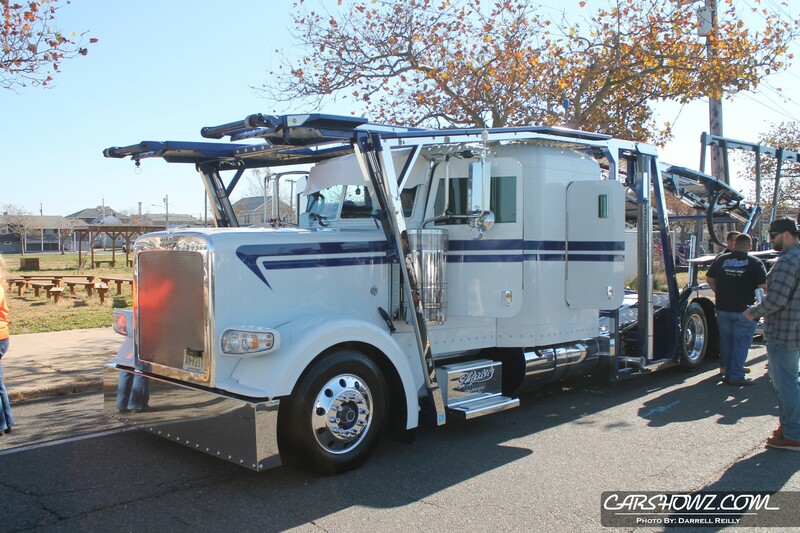 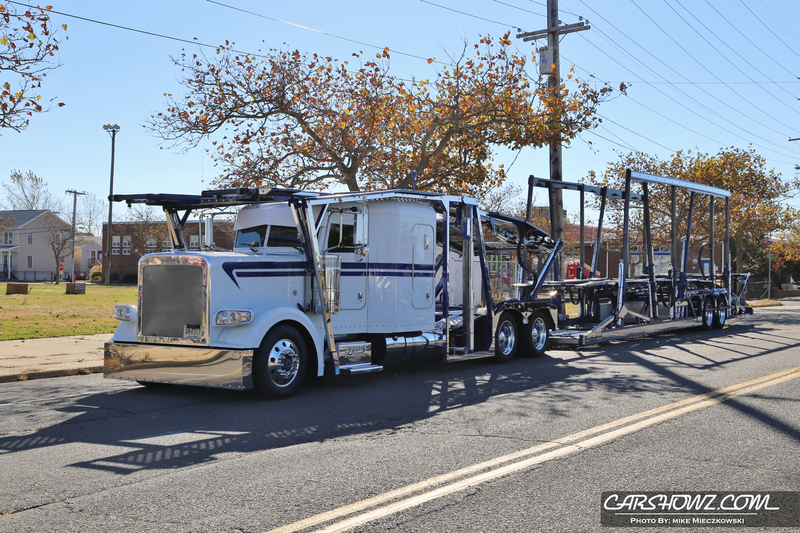 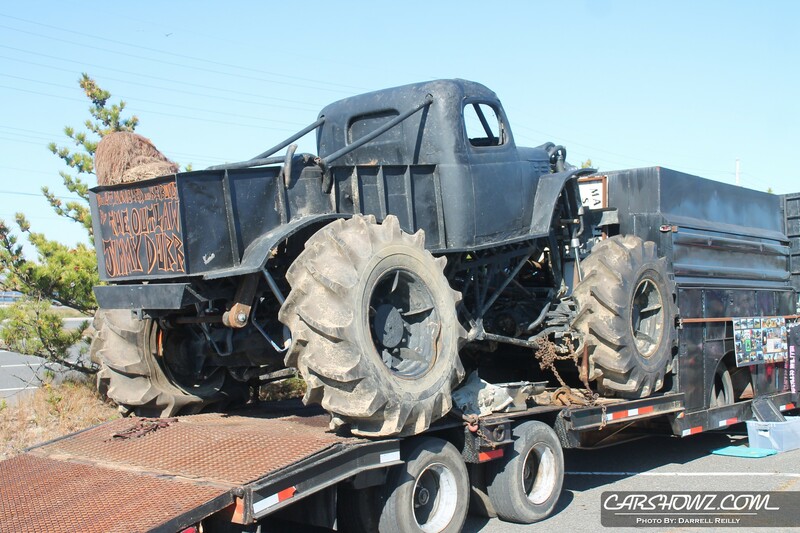 You could find anything from mud trucks that sat as high as the roofs of the tractor trailers on hand to full blown show trucks normally found at indoor events. 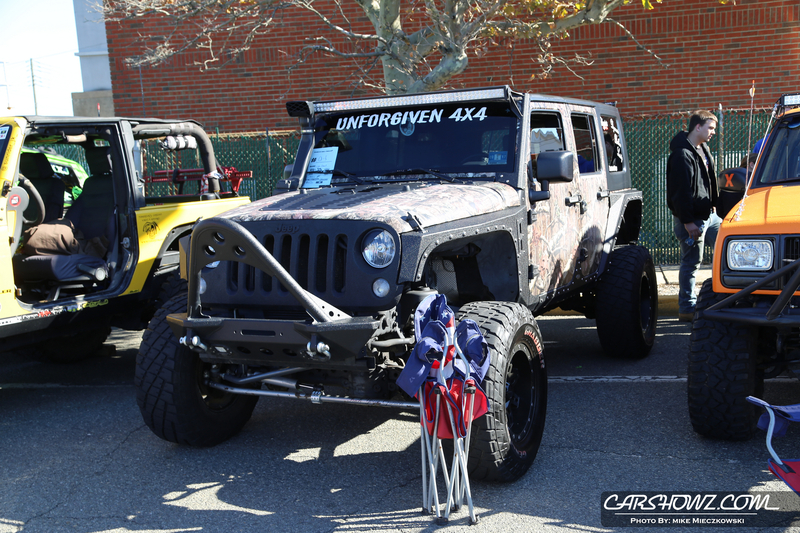 There was something for everyone’s taste. 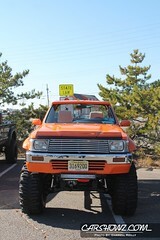 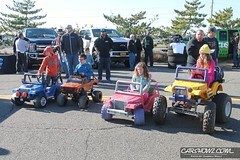 Sunset New jersey had a good showing of mini trucks as well as few others minis not in that club. Shows like this are where friends with common interests get to meet and enjoy catching up on whats going on in life. 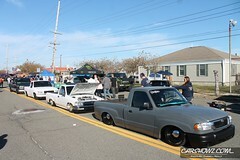 It was nice walking around getting coverage and seeing someone I know every few trucks. It was a long day with trophies starting around 4pm but the weather was nice and the sun was out all day. 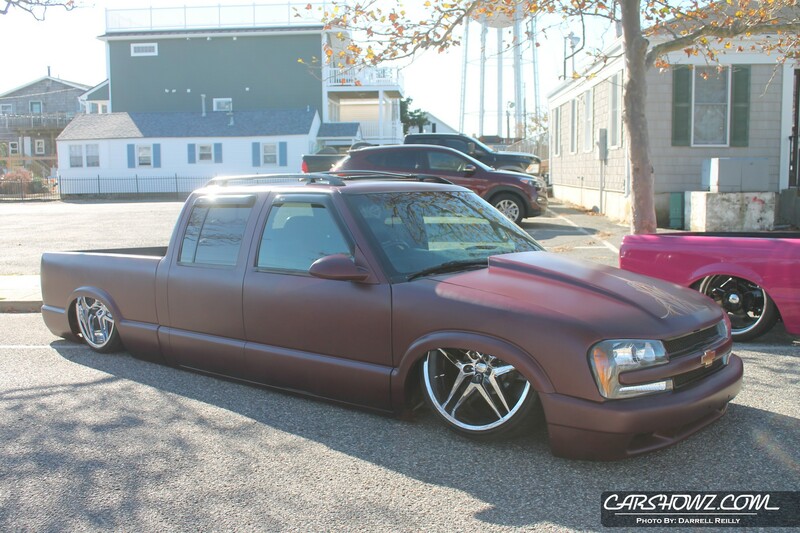 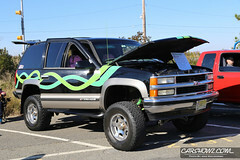 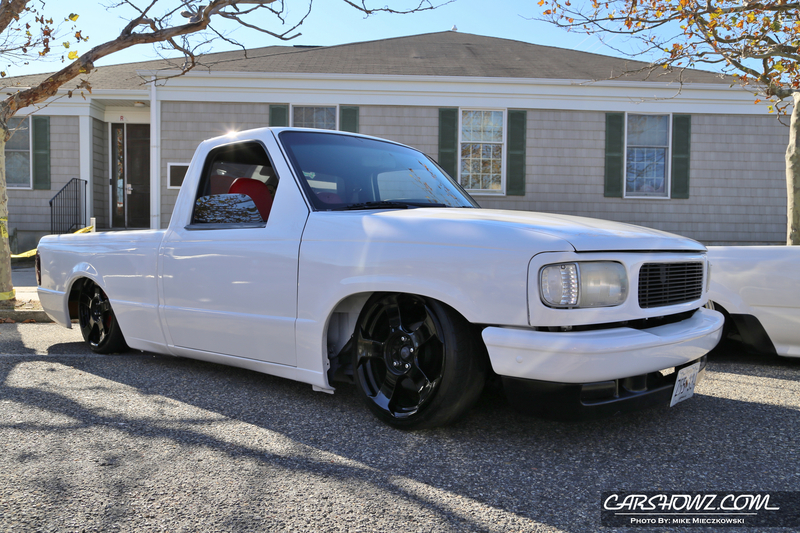 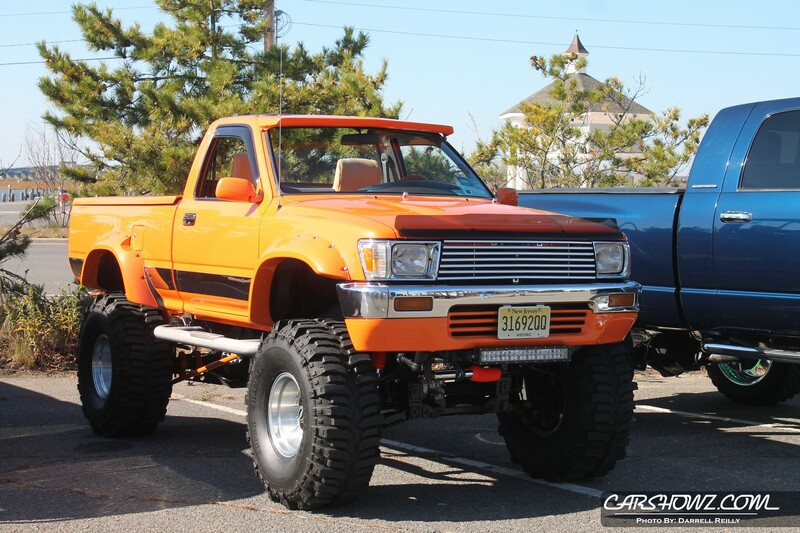 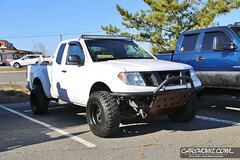 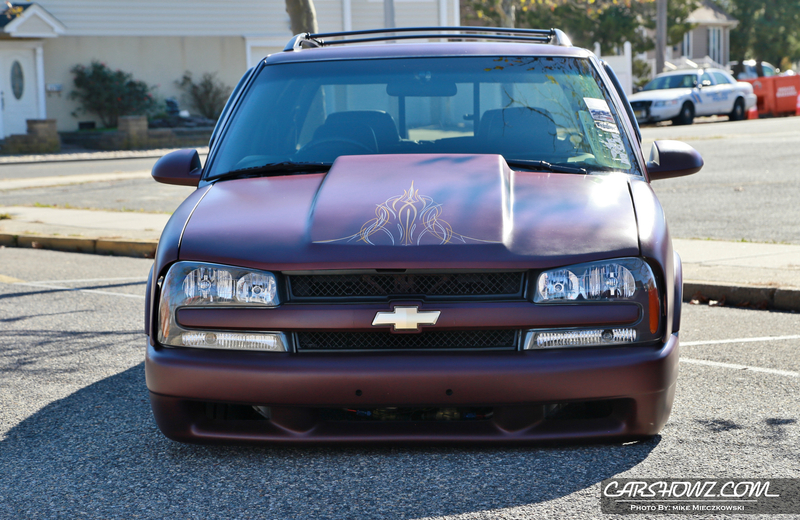 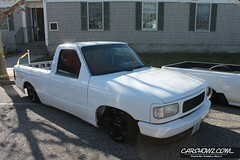 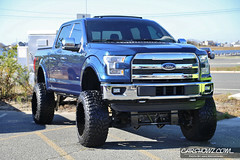 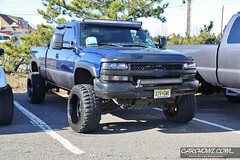 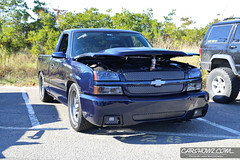 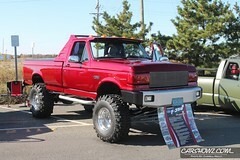 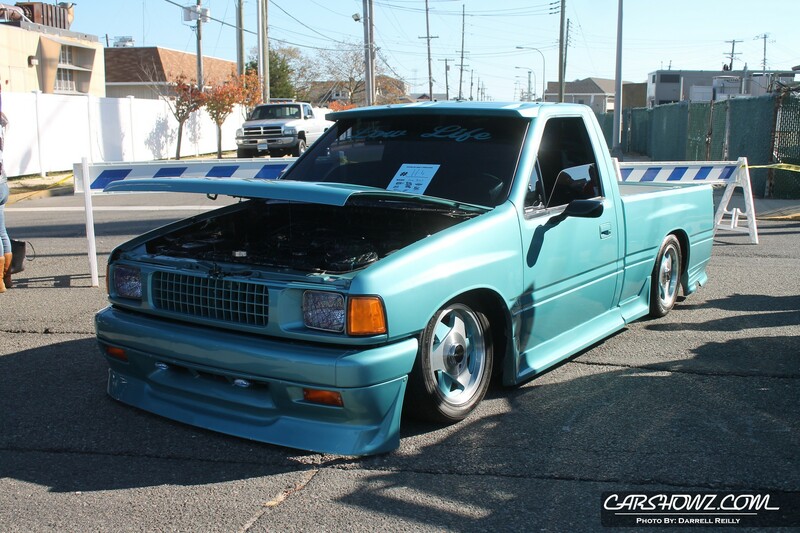 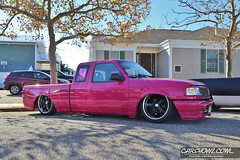 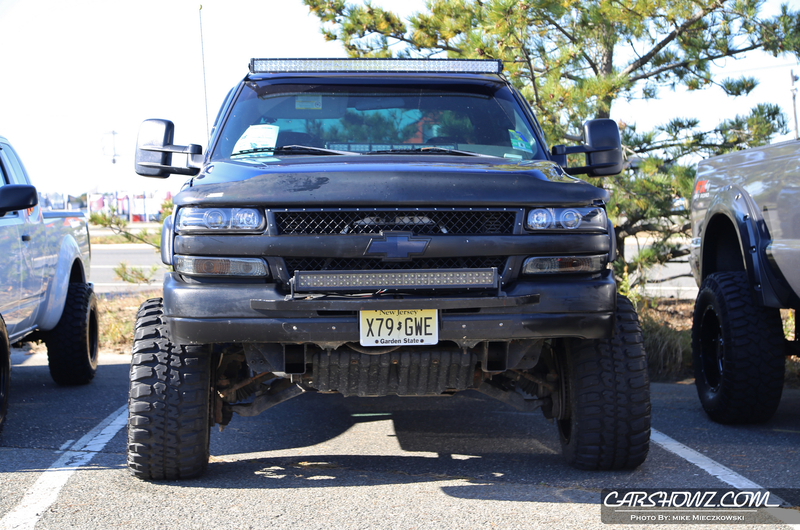 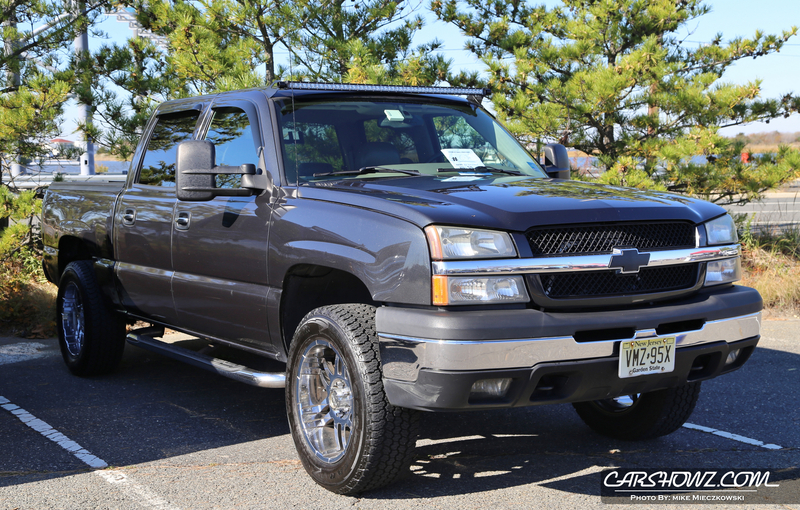 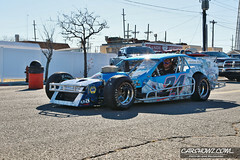 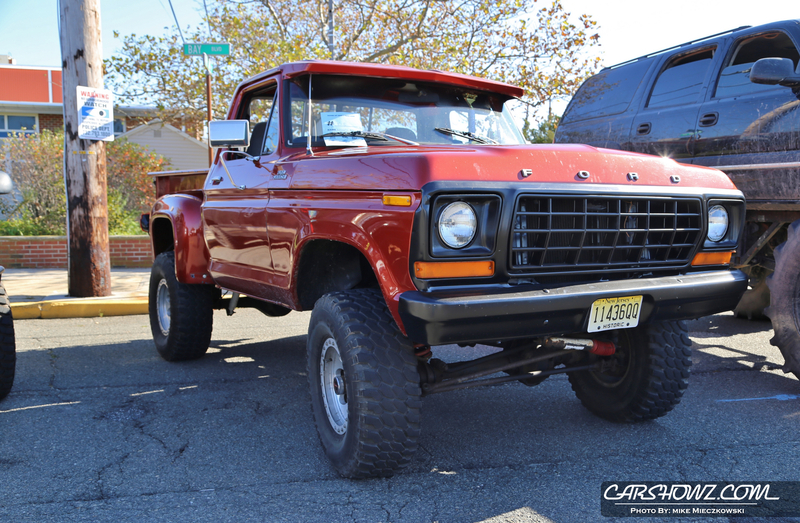 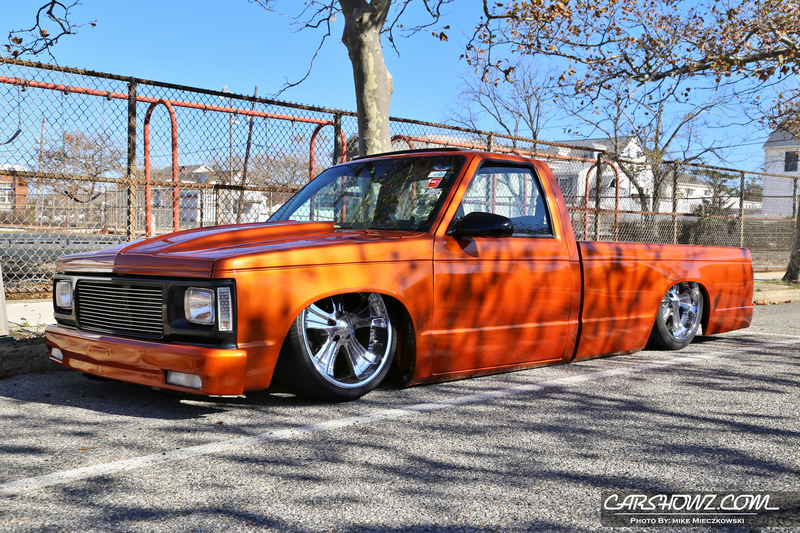 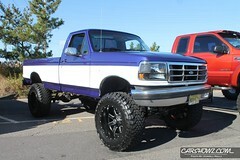 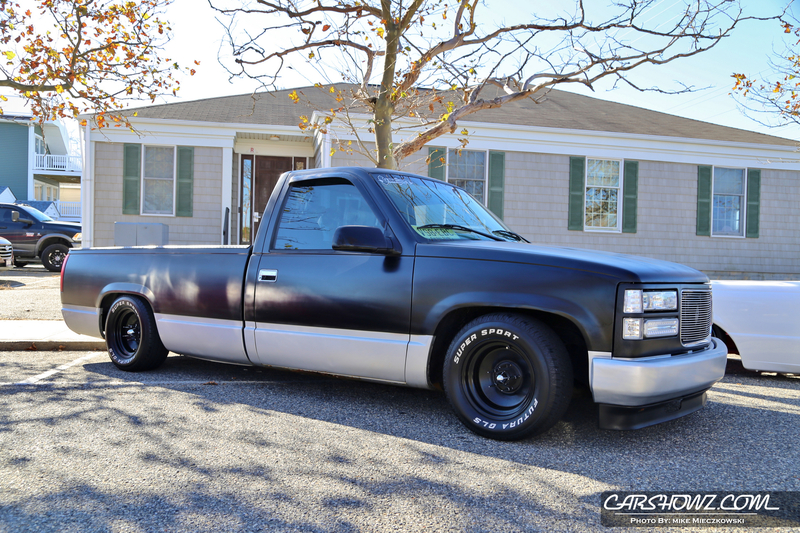 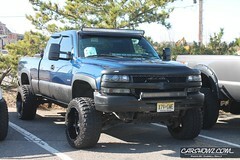 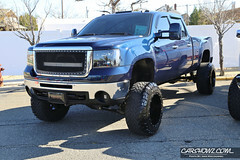 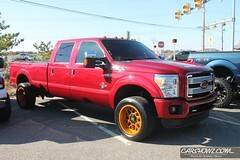 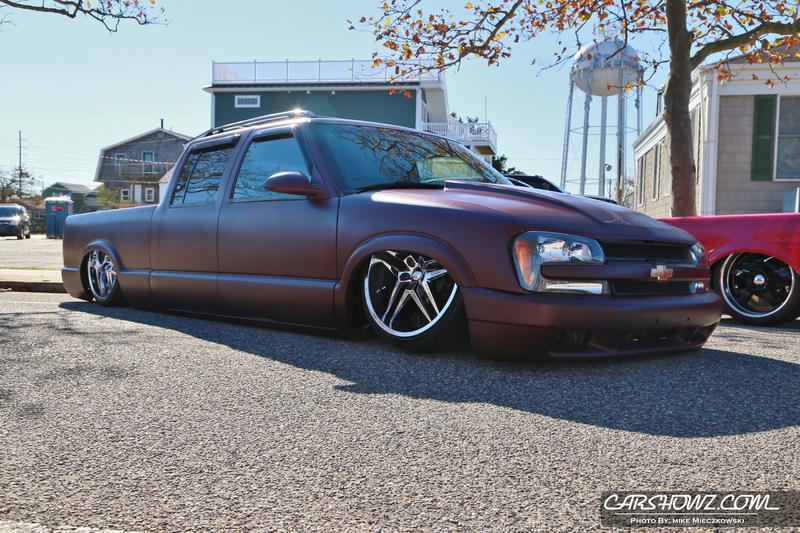 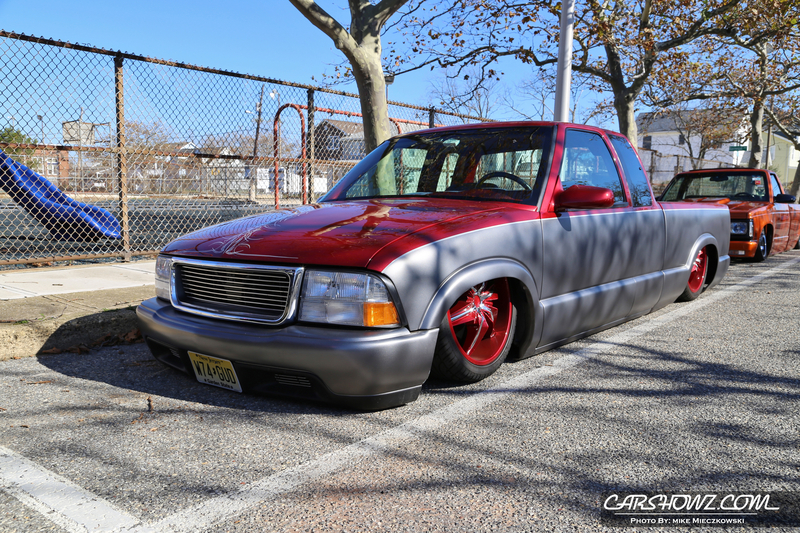 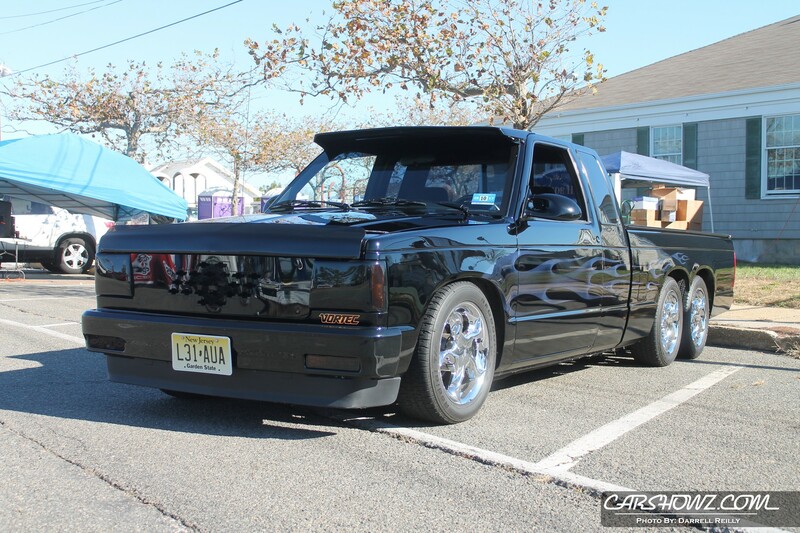 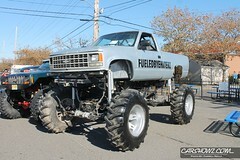 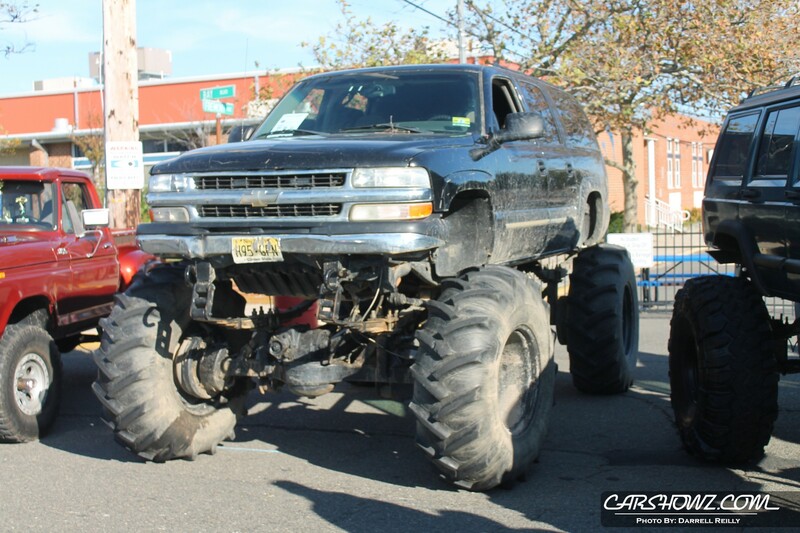 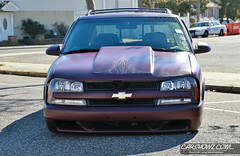 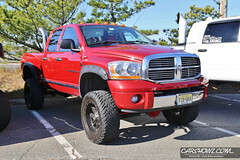 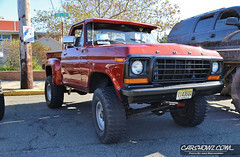 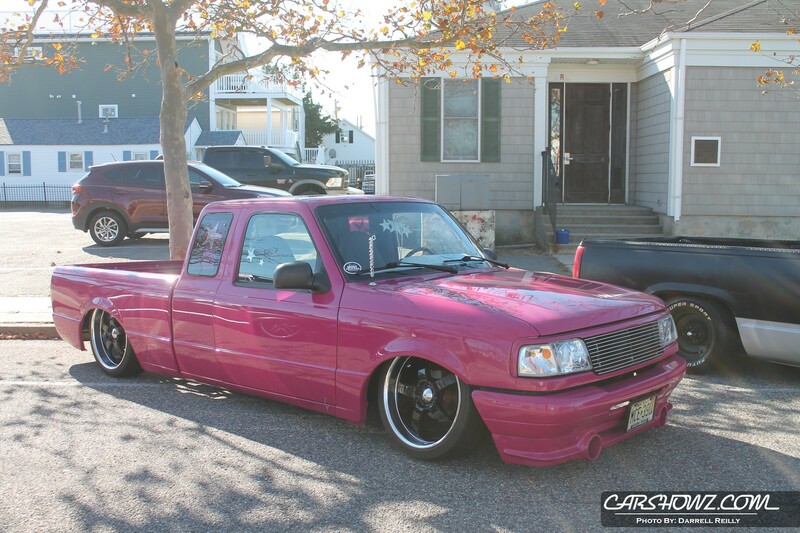 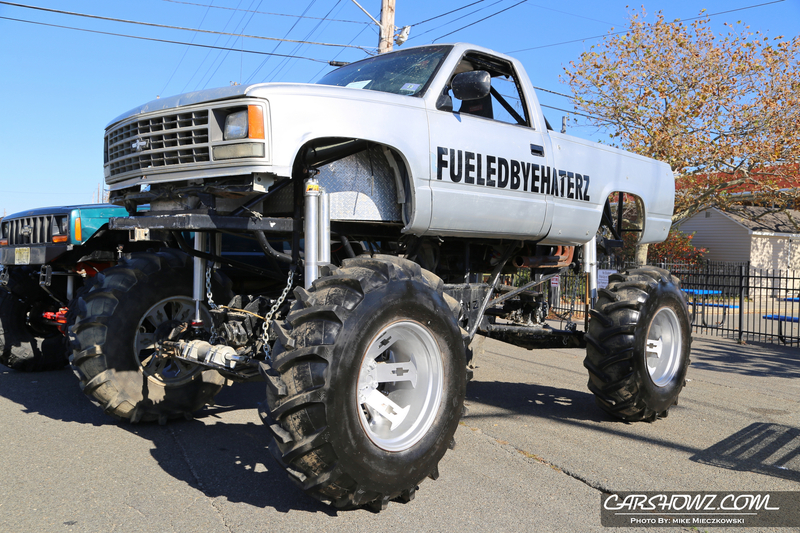 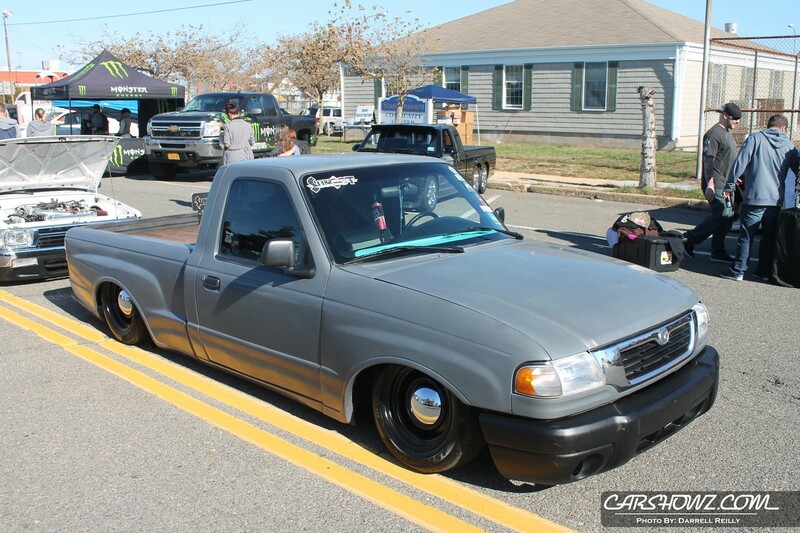 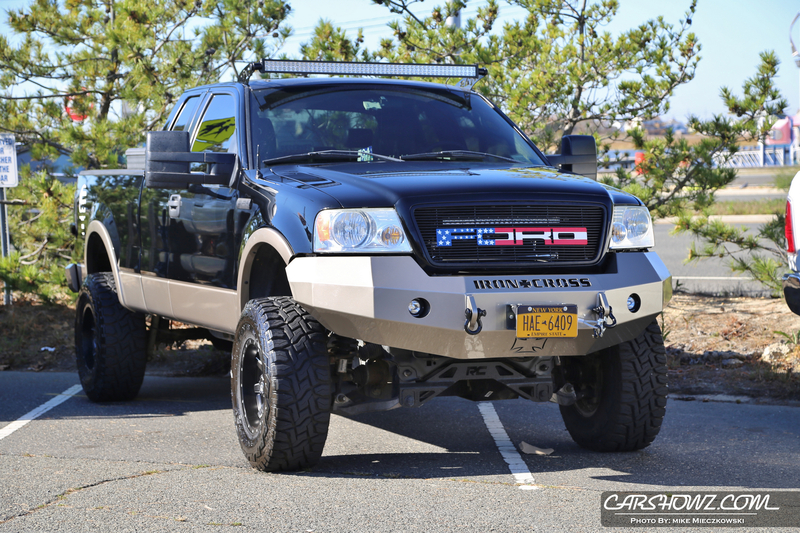 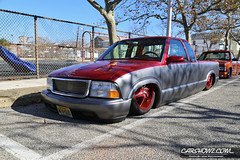 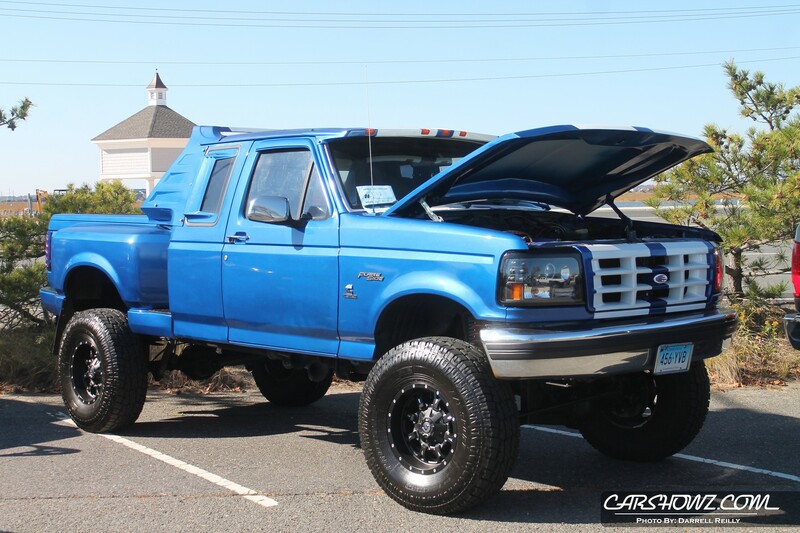 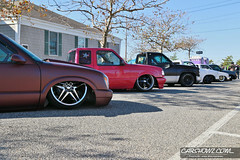 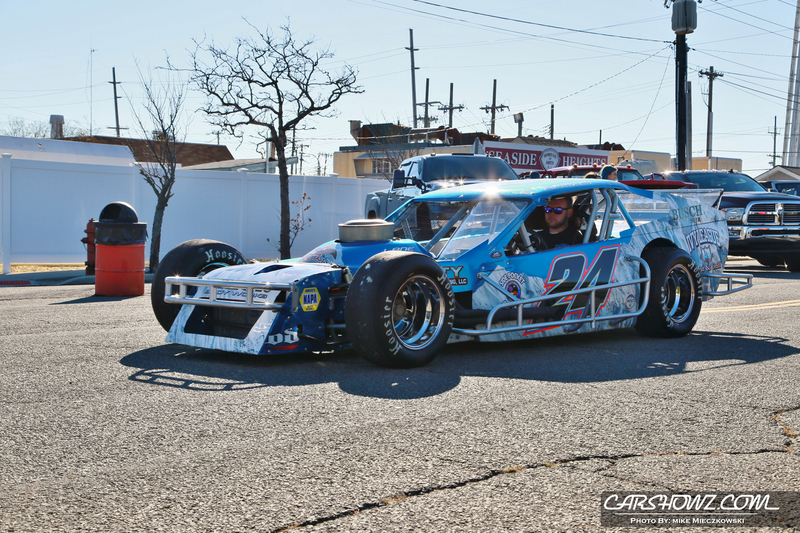 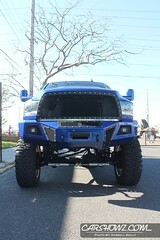 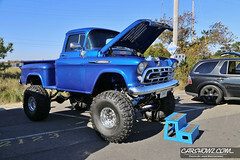 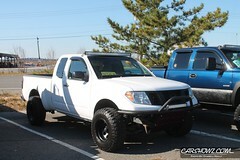 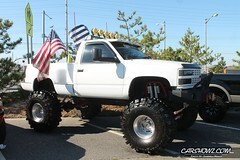 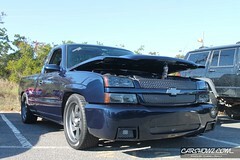 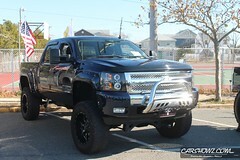 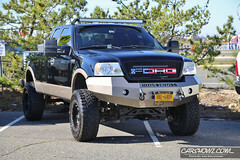 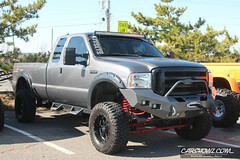 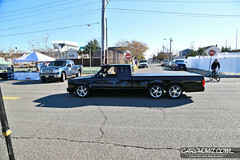 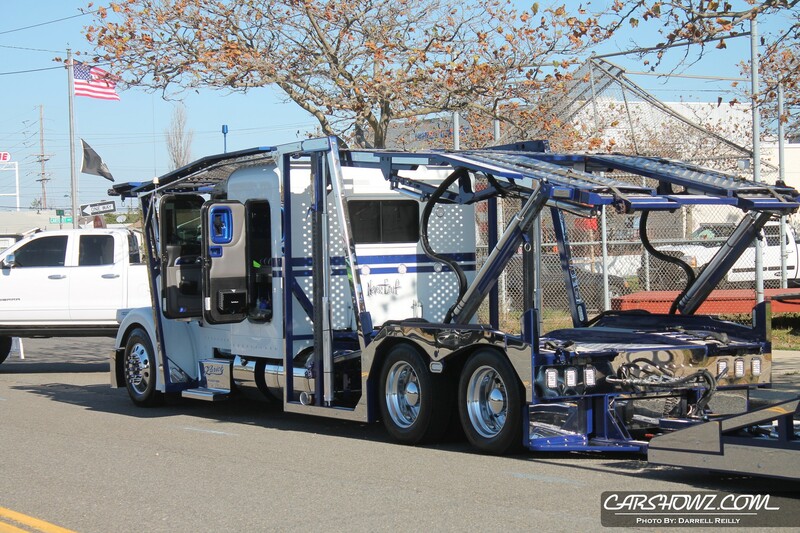 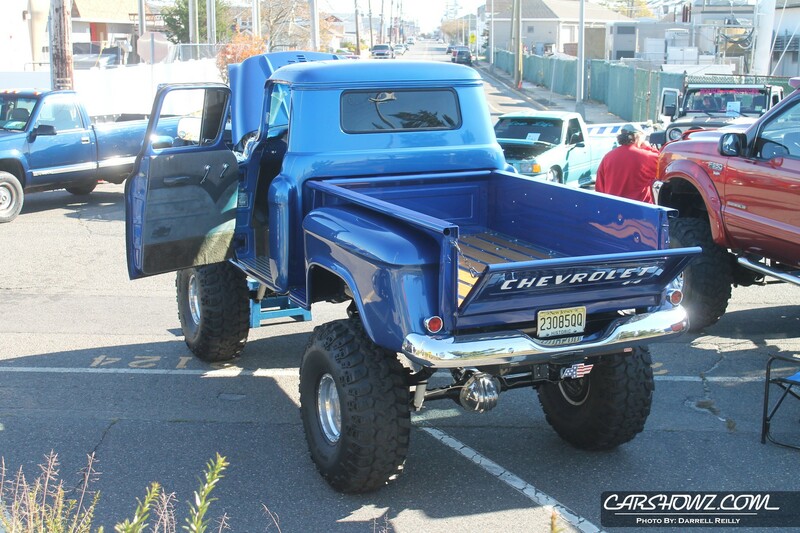 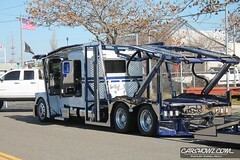 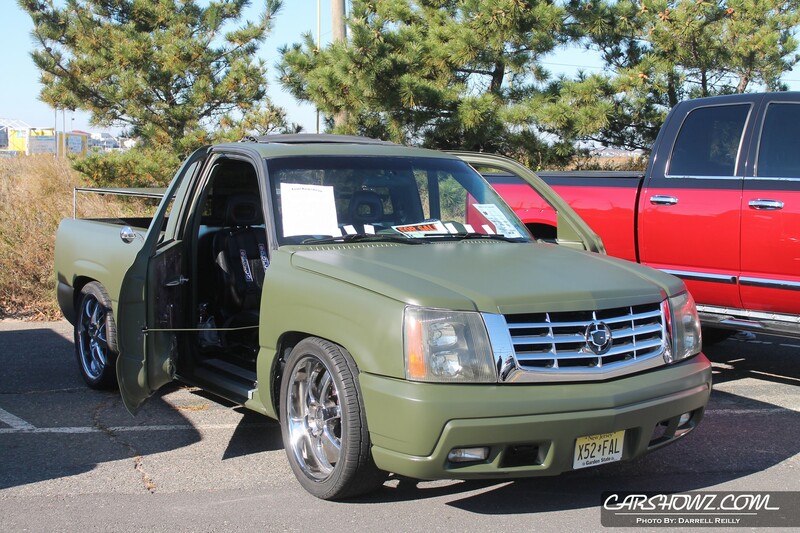 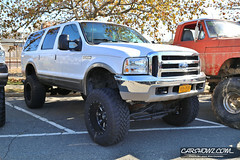 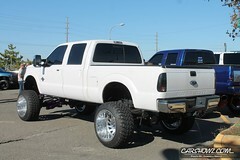 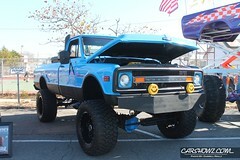 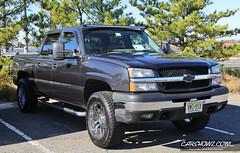 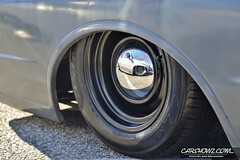 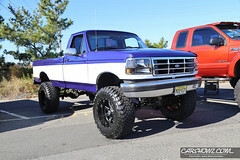 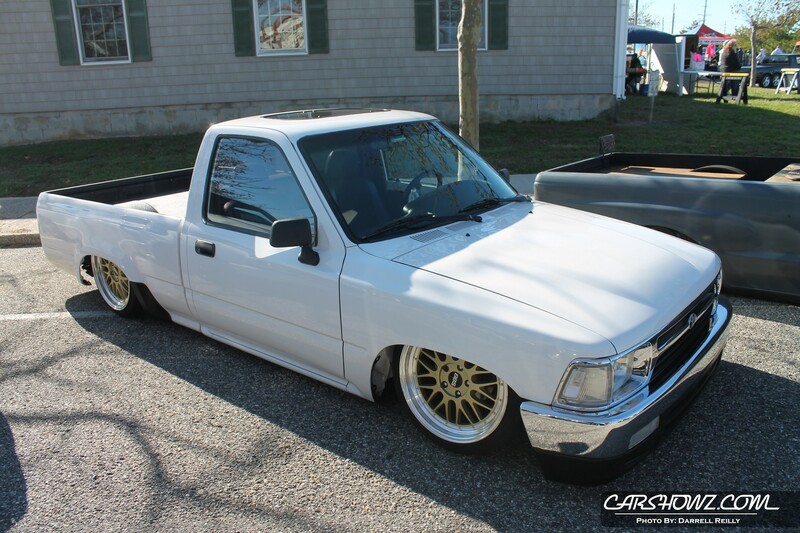 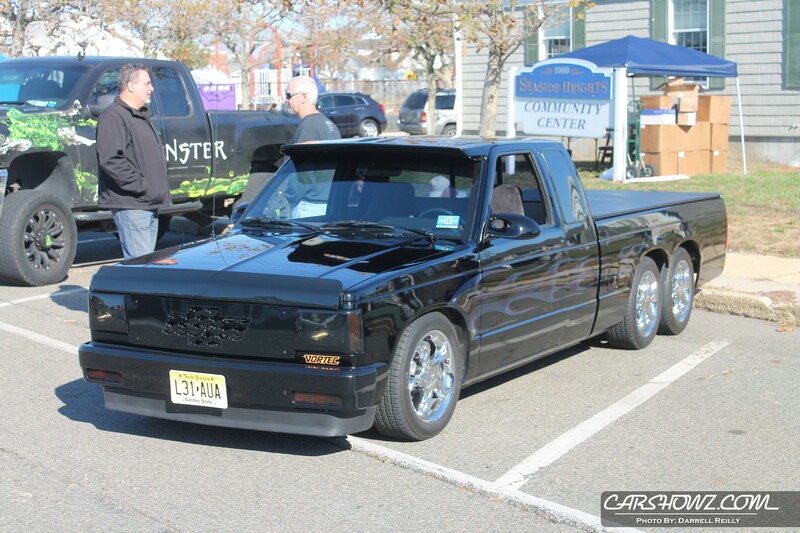 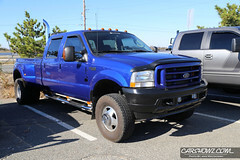 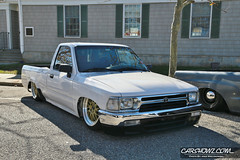 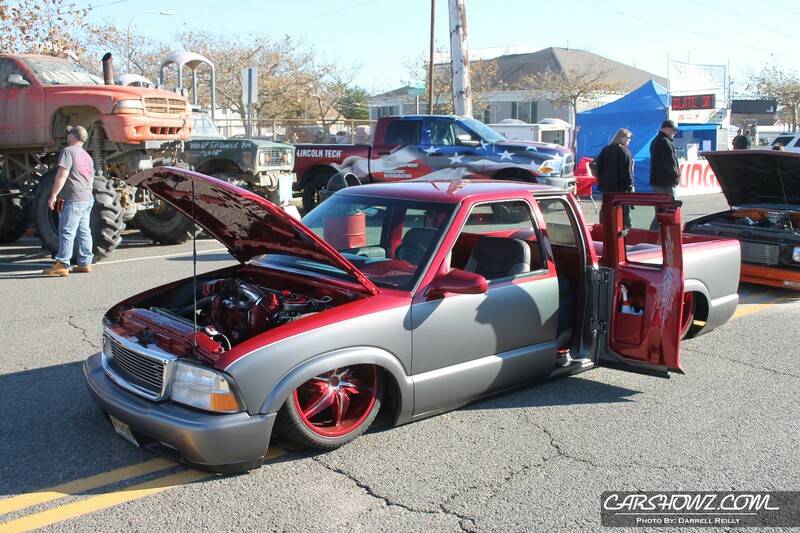 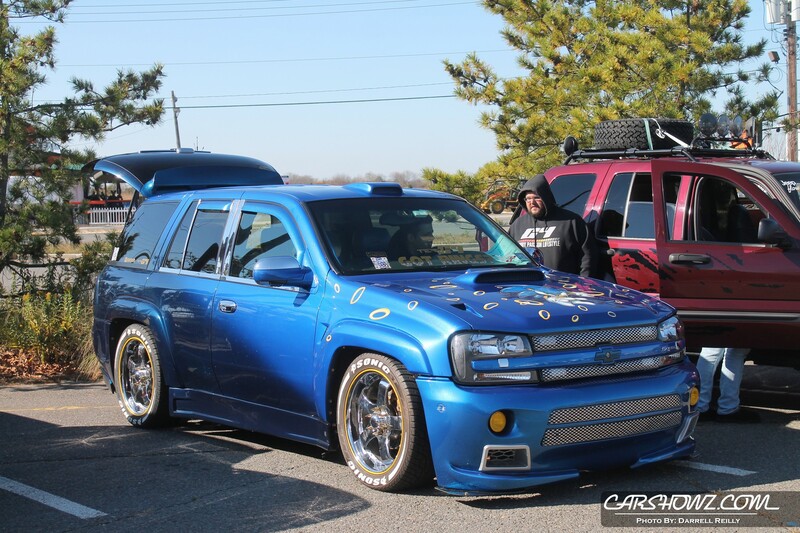 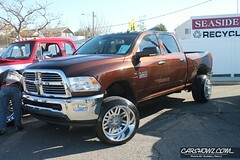 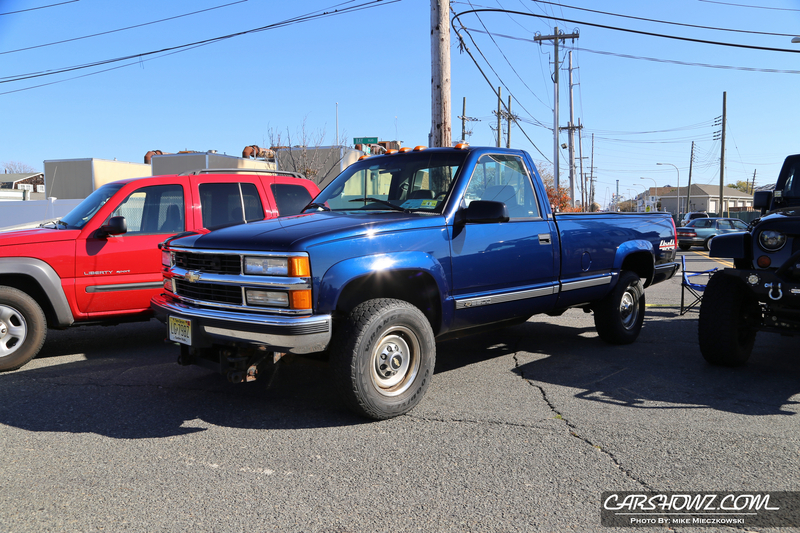 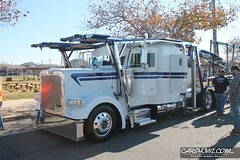 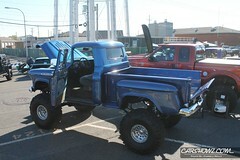 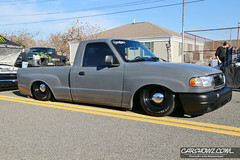 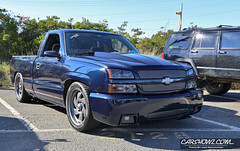 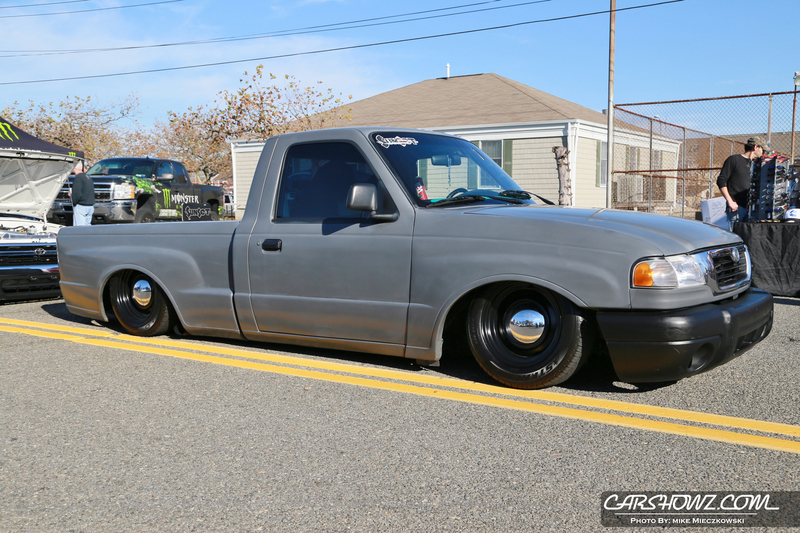 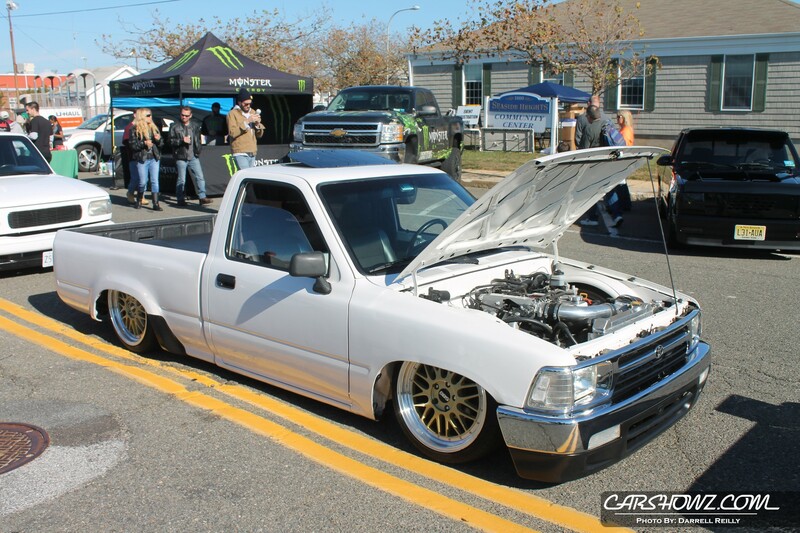 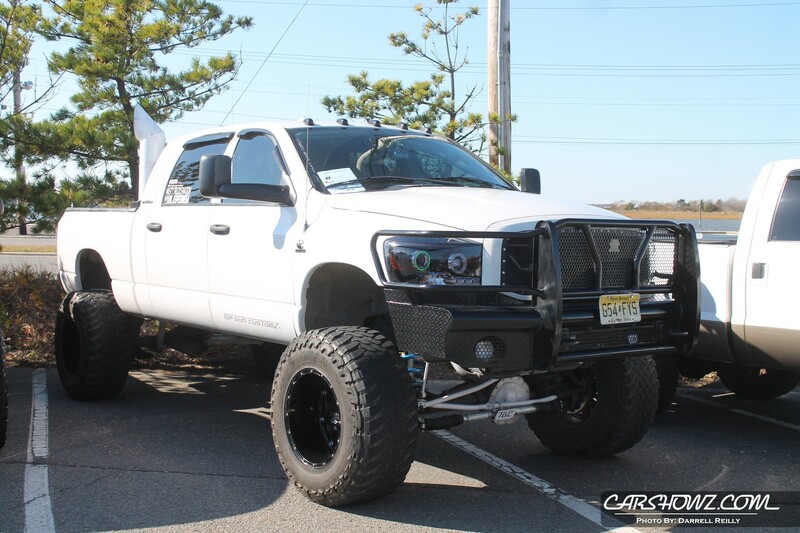 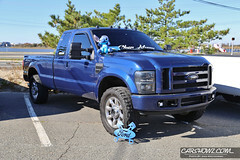 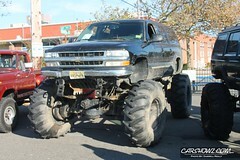 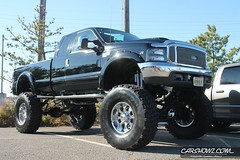 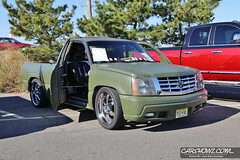 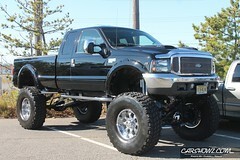 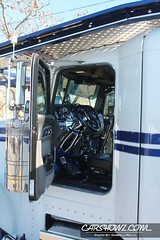 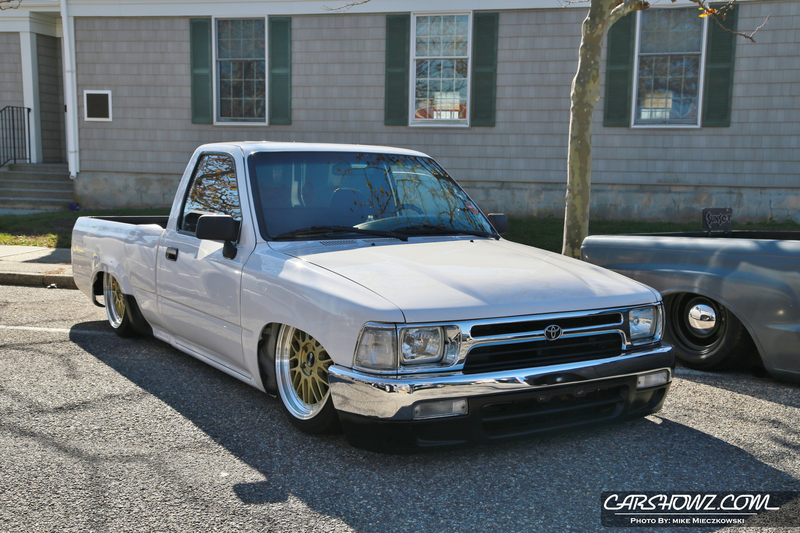 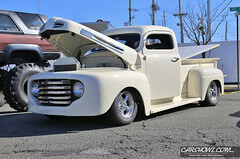 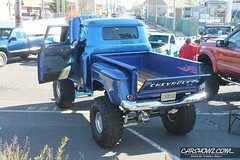 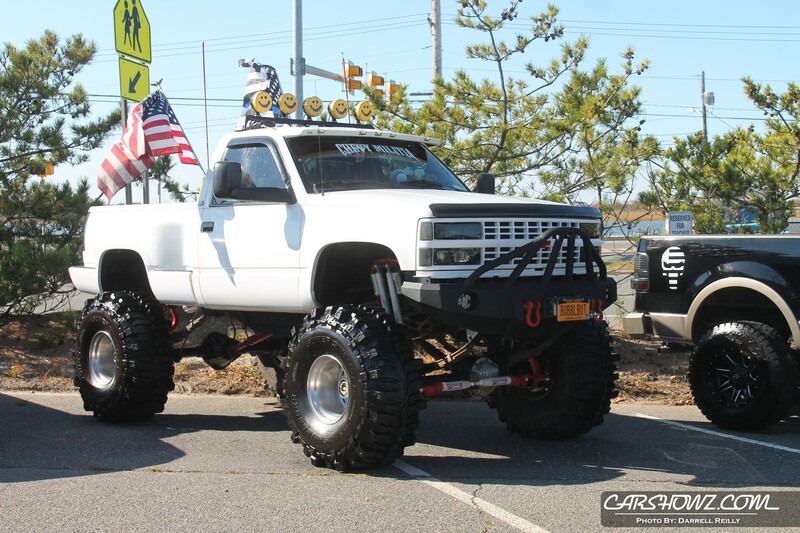 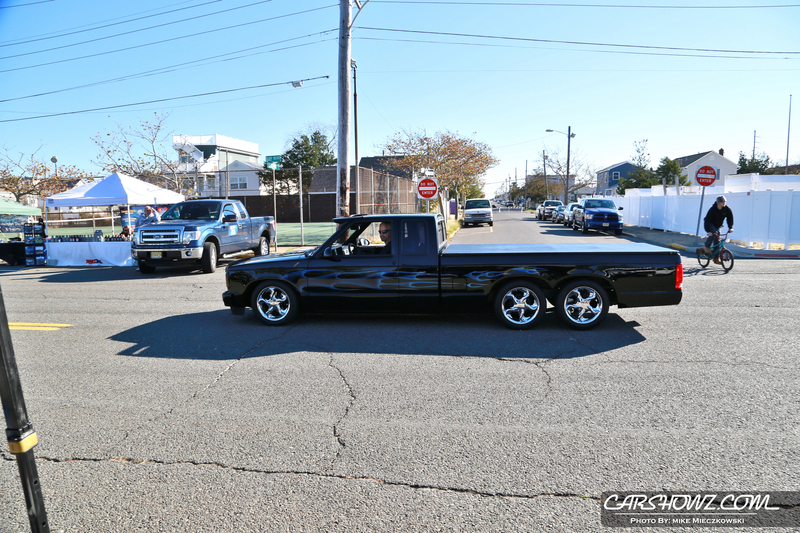 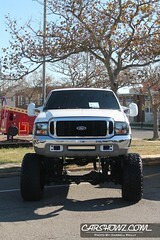 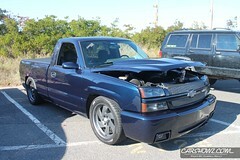 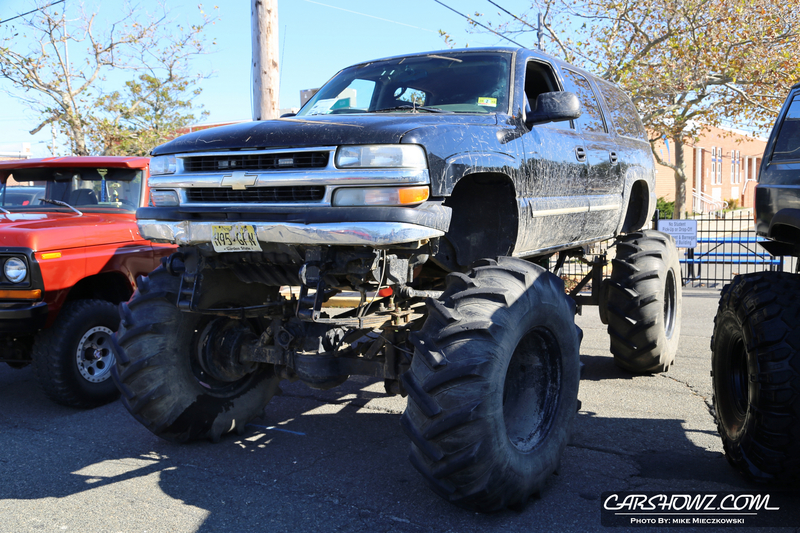 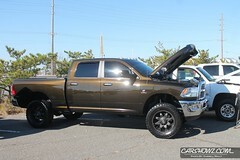 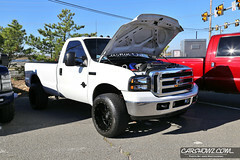 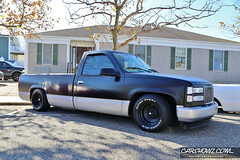 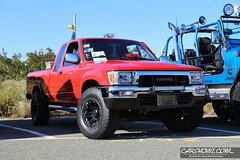 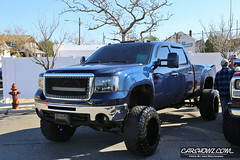 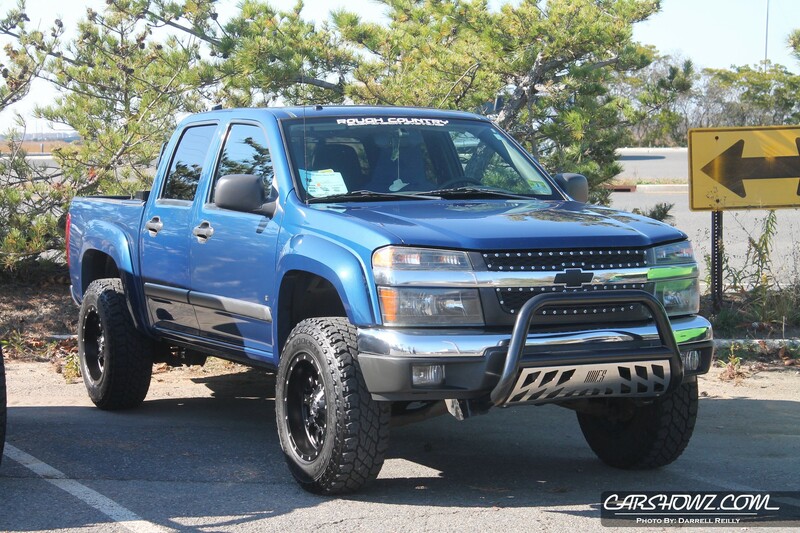 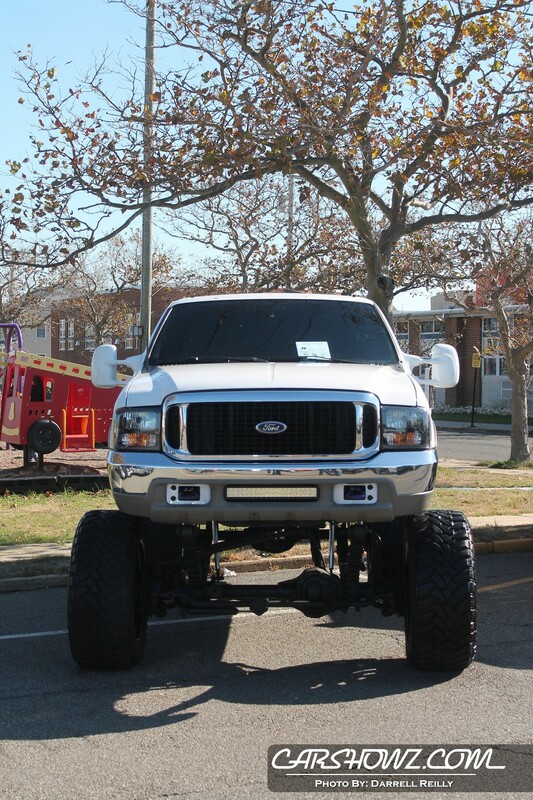 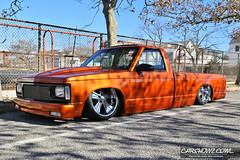 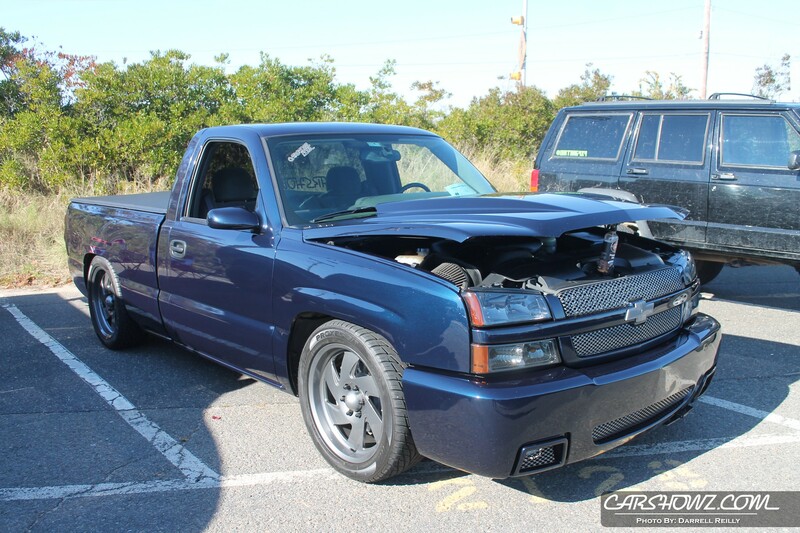 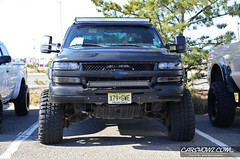 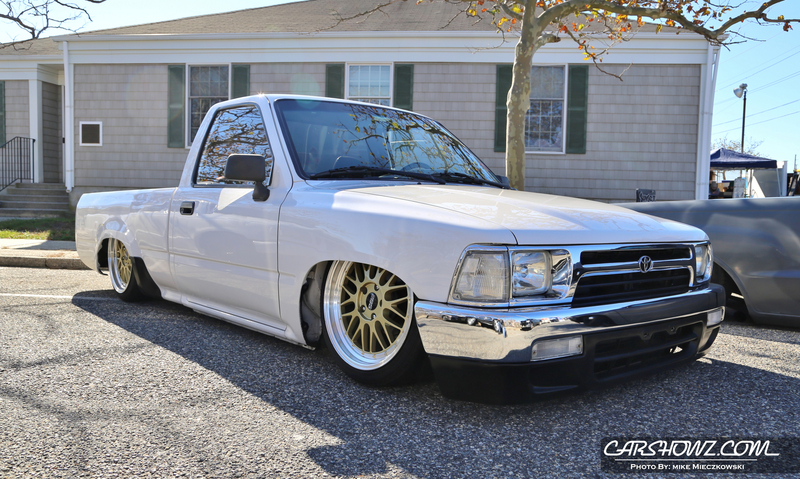 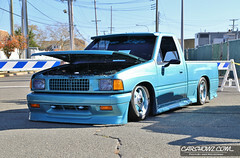 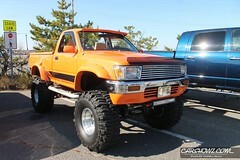 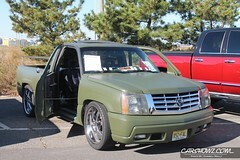 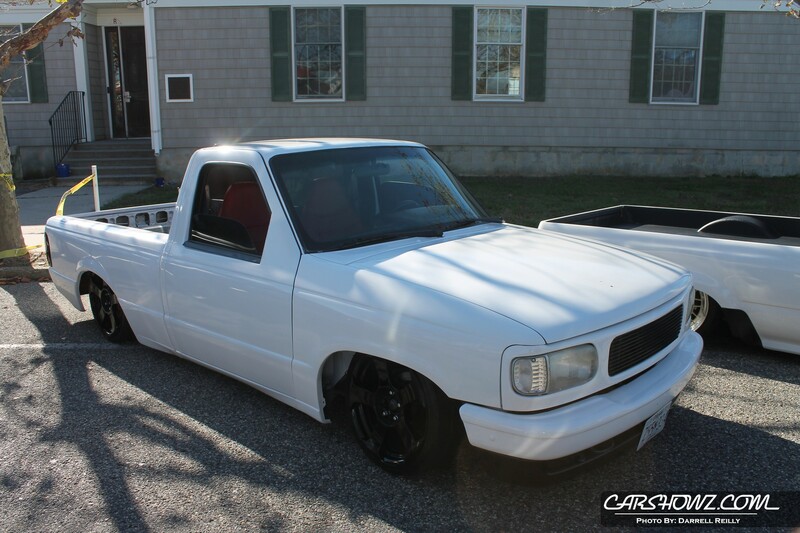 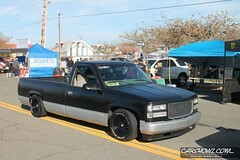 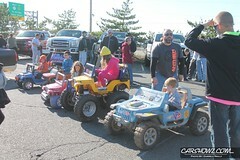 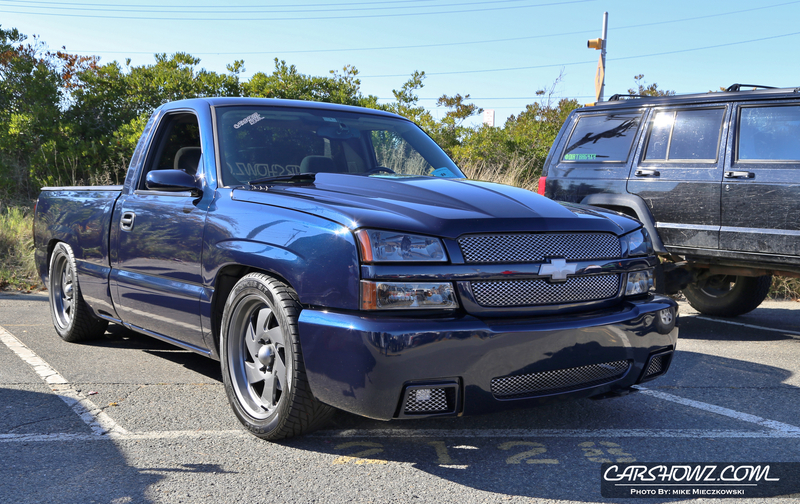 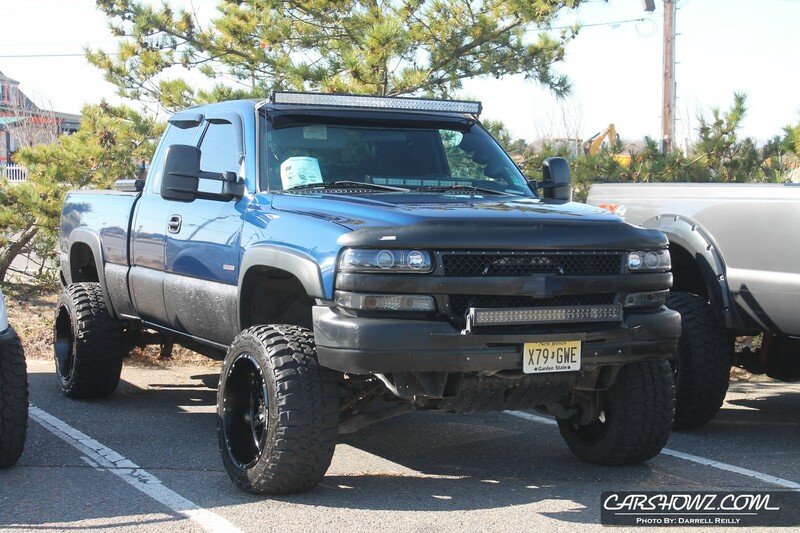 The show will be missed by many, myself included as there really aren’t make trucks shows “down the shore”. 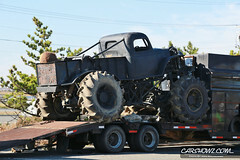 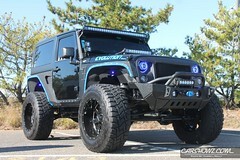 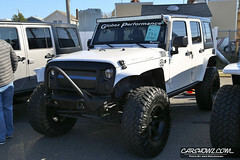 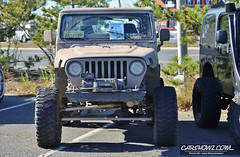 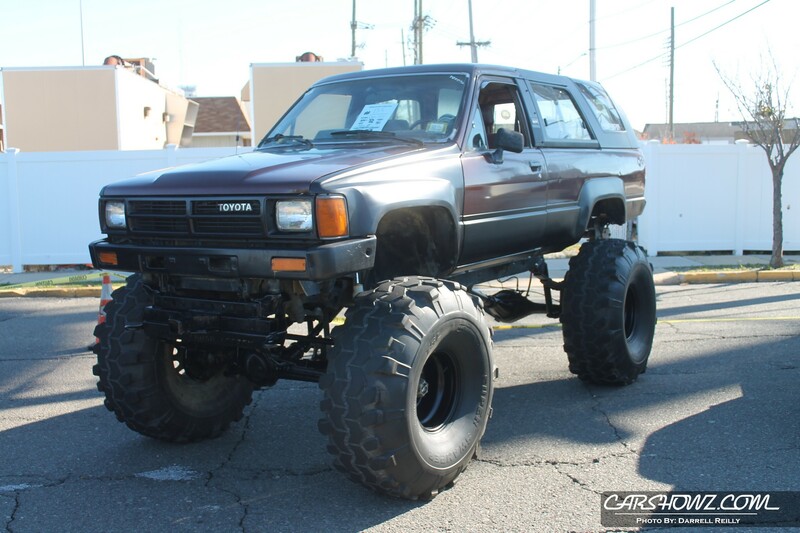 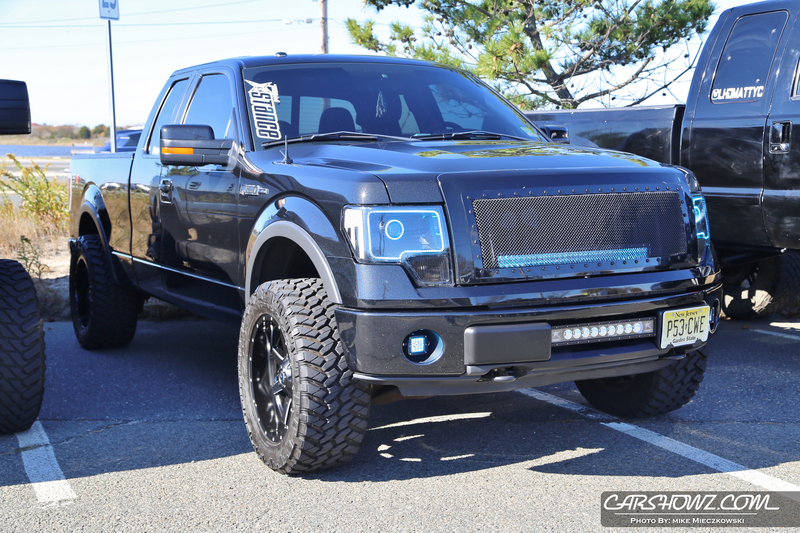 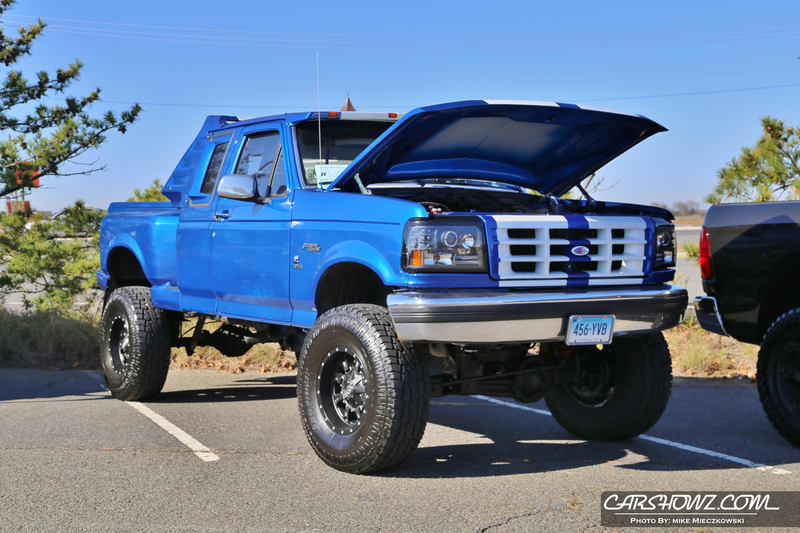 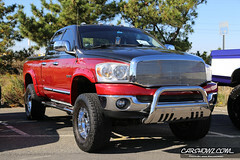 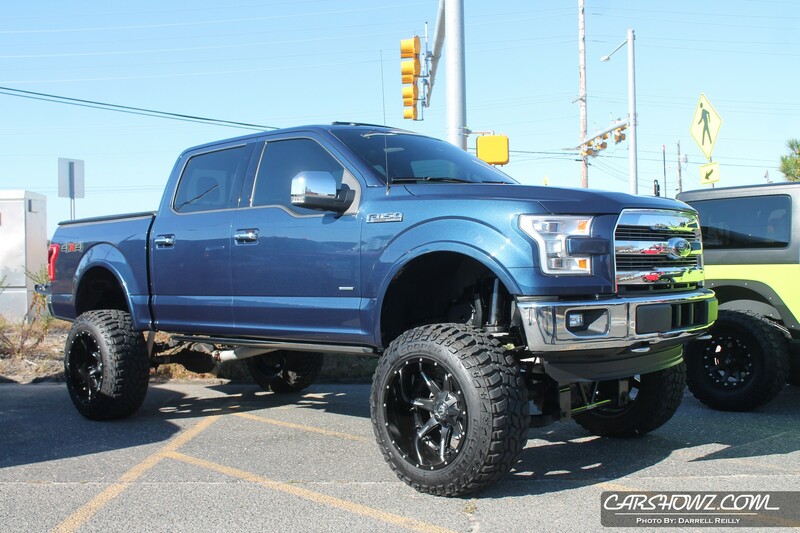 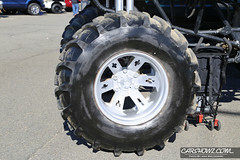 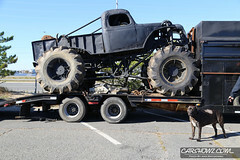 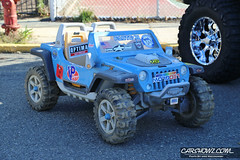 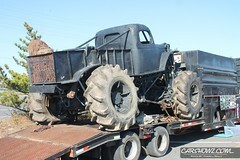 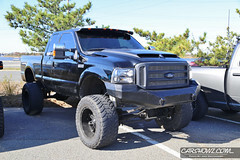 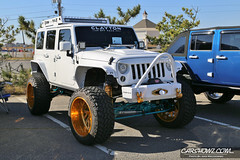 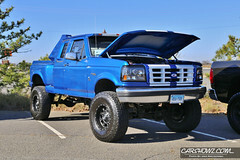 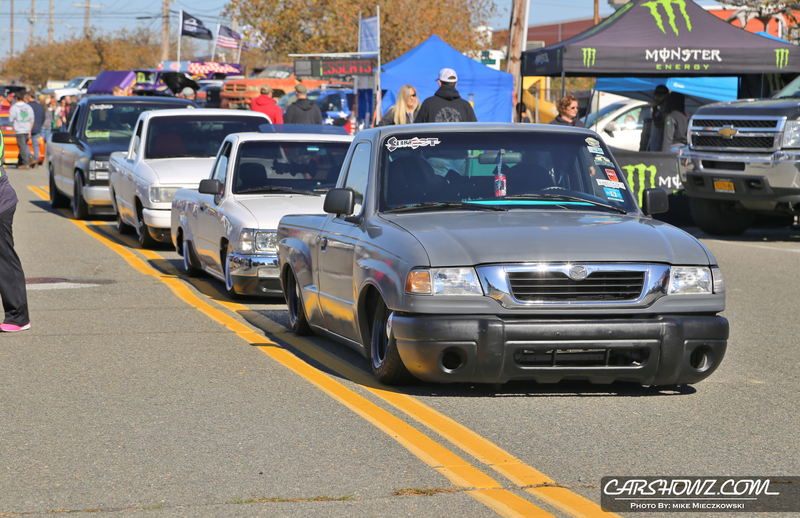 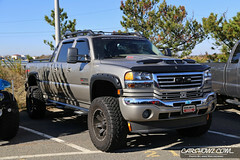 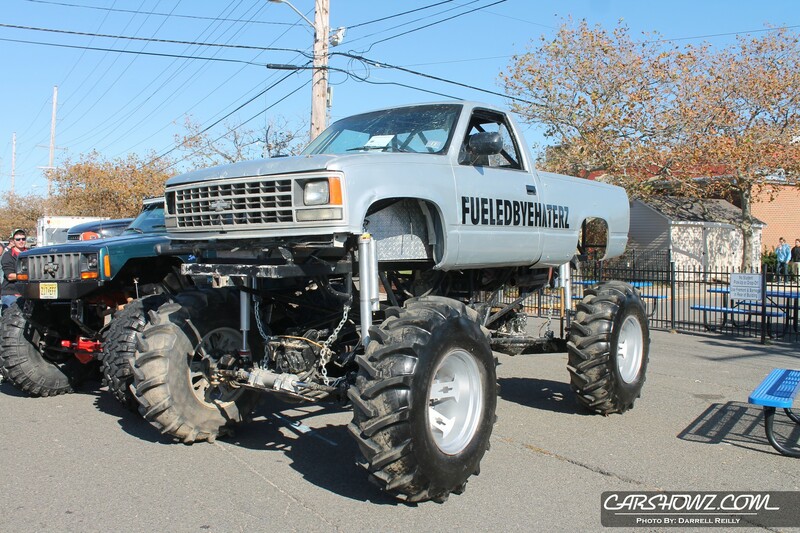 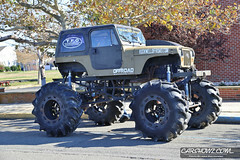 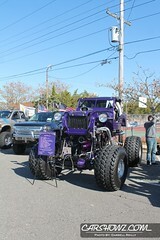 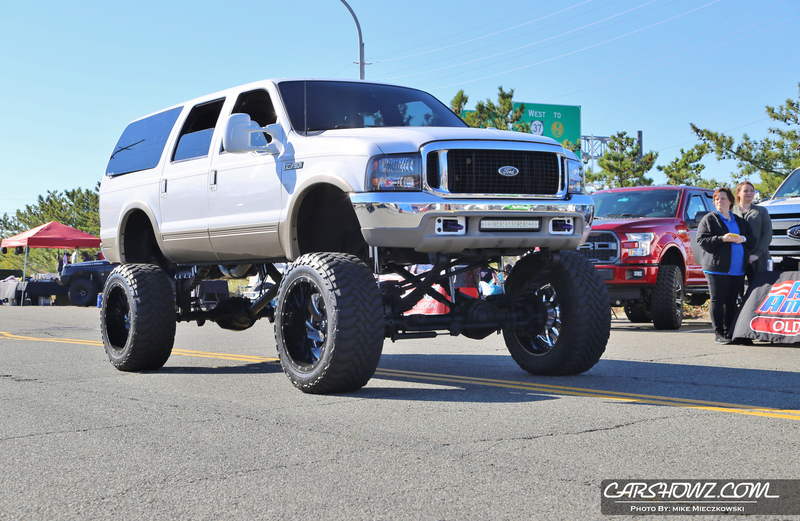 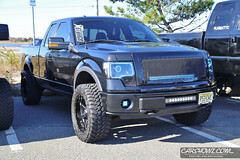 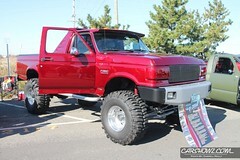 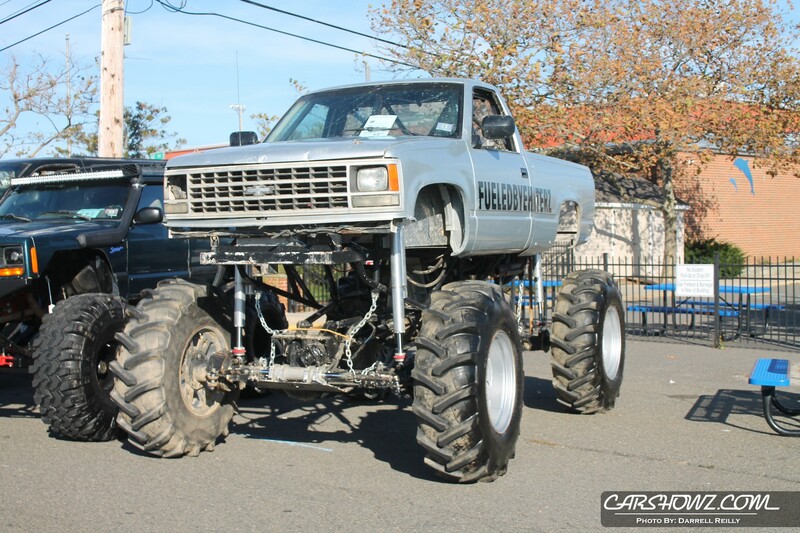 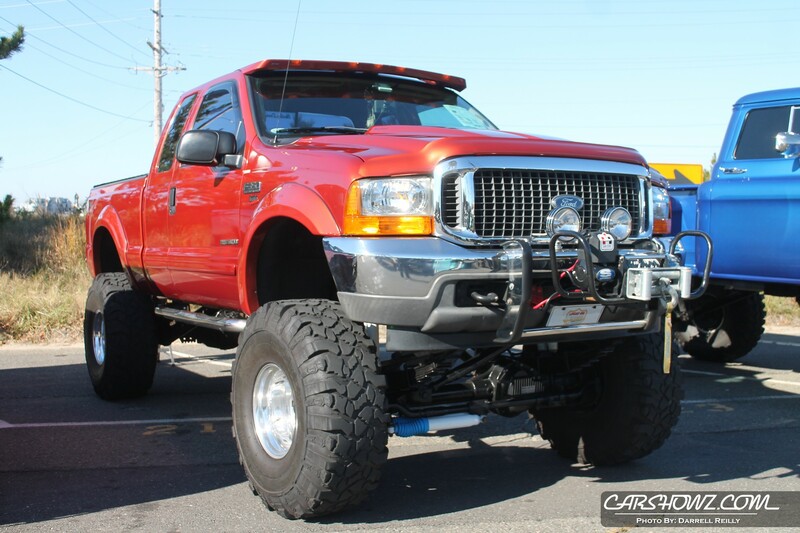 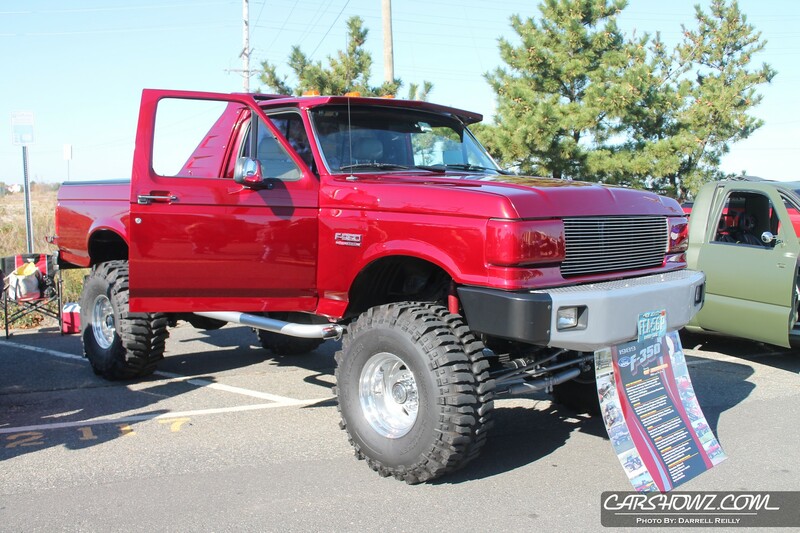 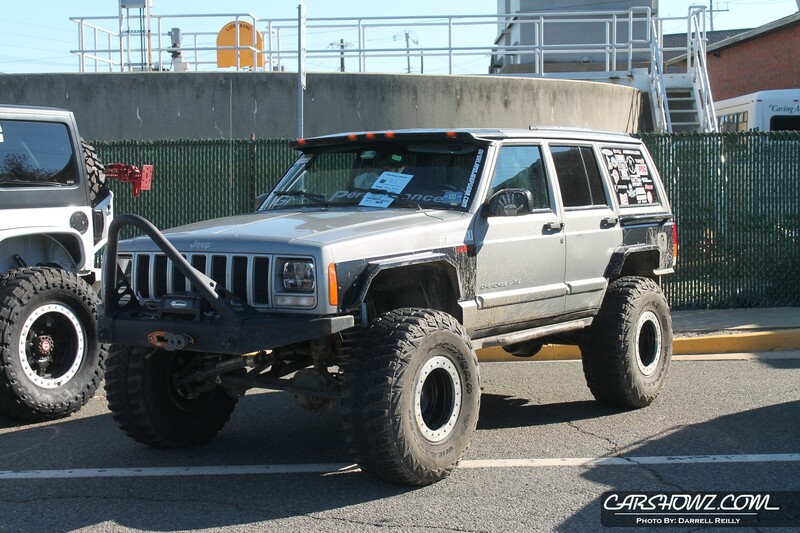 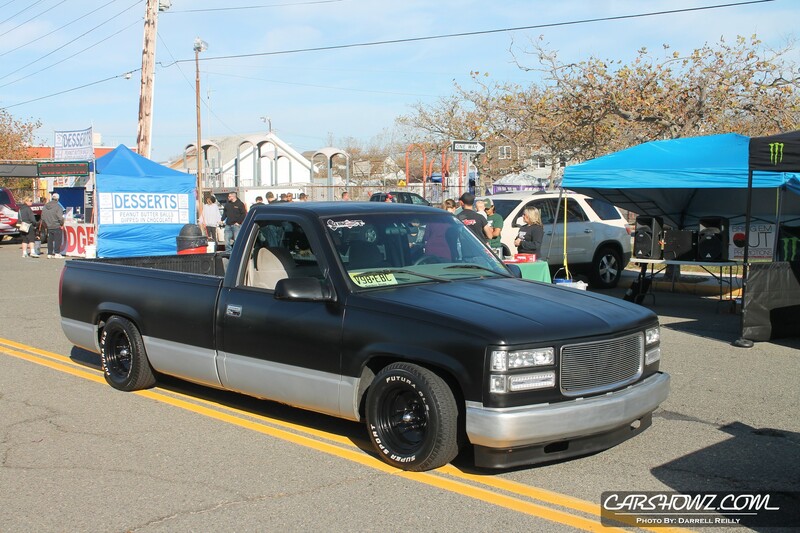 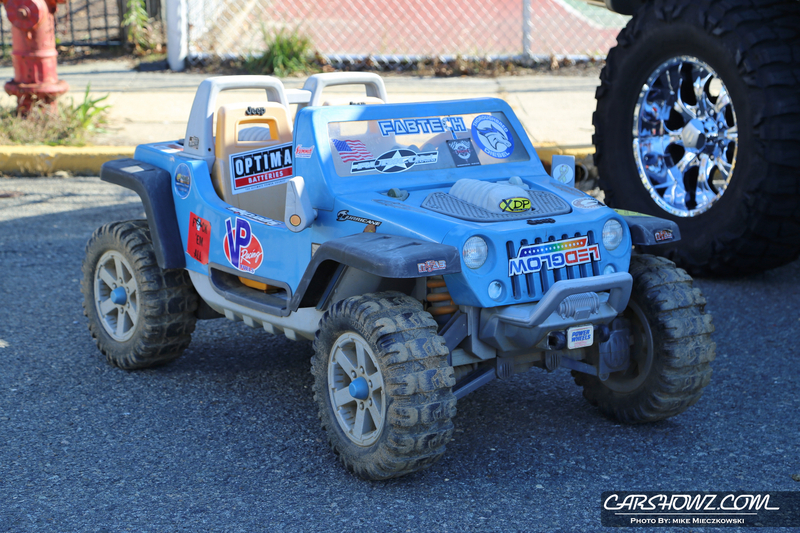 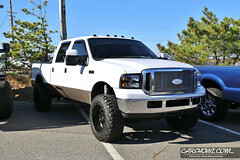 The show promoter already has more shows lined up for the Off Road and Truck community, just not in Seaside. I wish I could say I am looking forward to next year’s show but that is not the case.